Despite some relatively quiet days, July was an interesting month for movements which included a first of type visit by the Sukhoi Superjet, another flydubai 737-800 on delivery, Textron`s AT-6C Texan II and their unique E530 Scorpion jet. 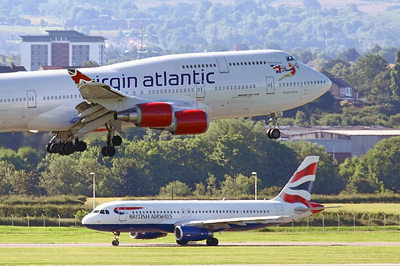 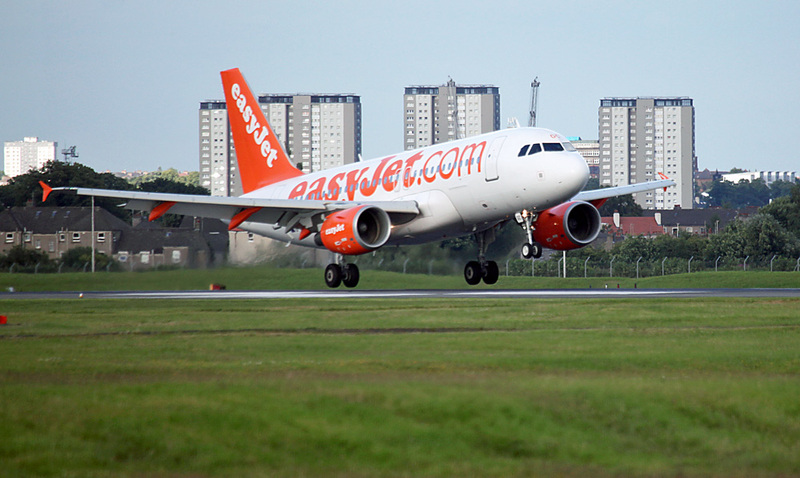 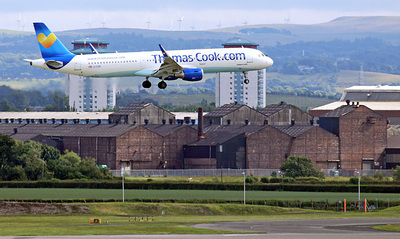 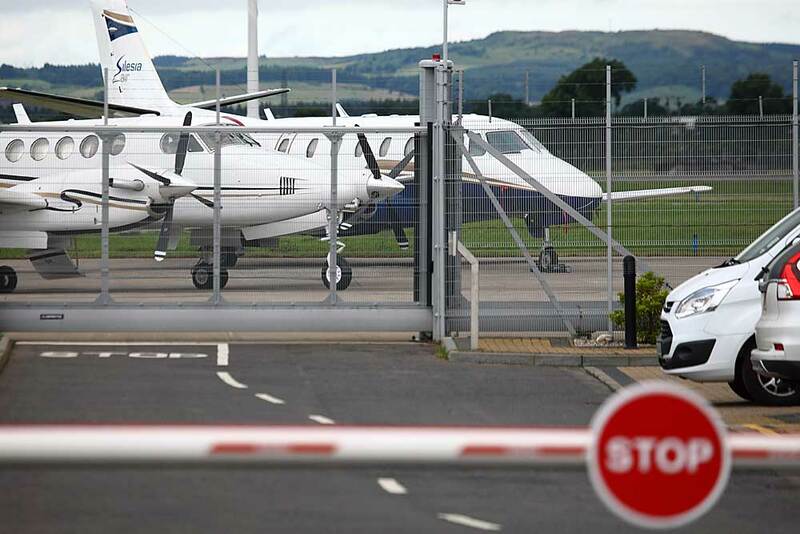 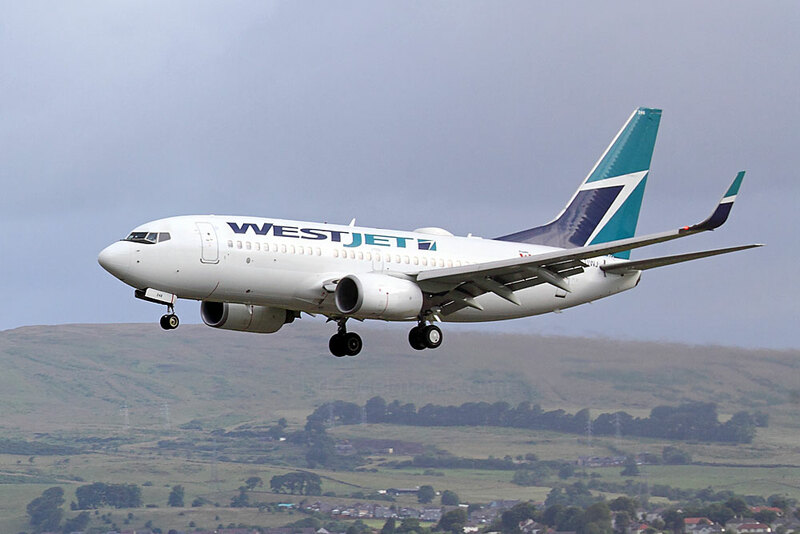 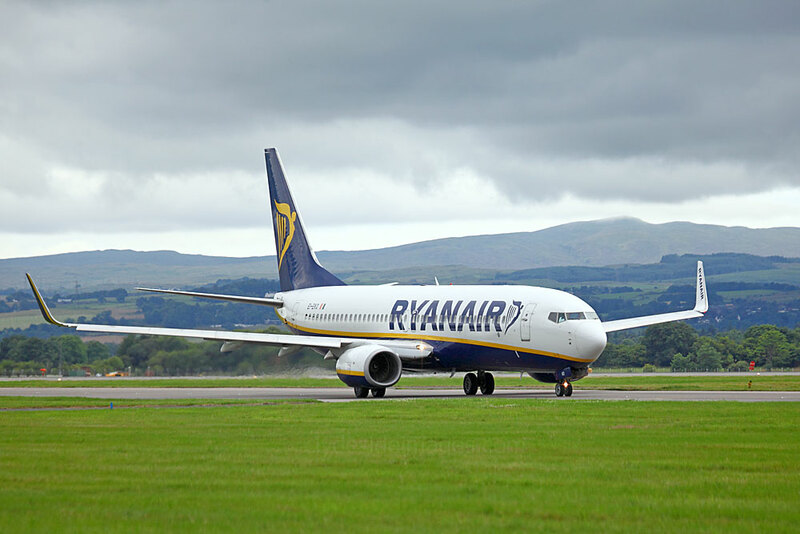 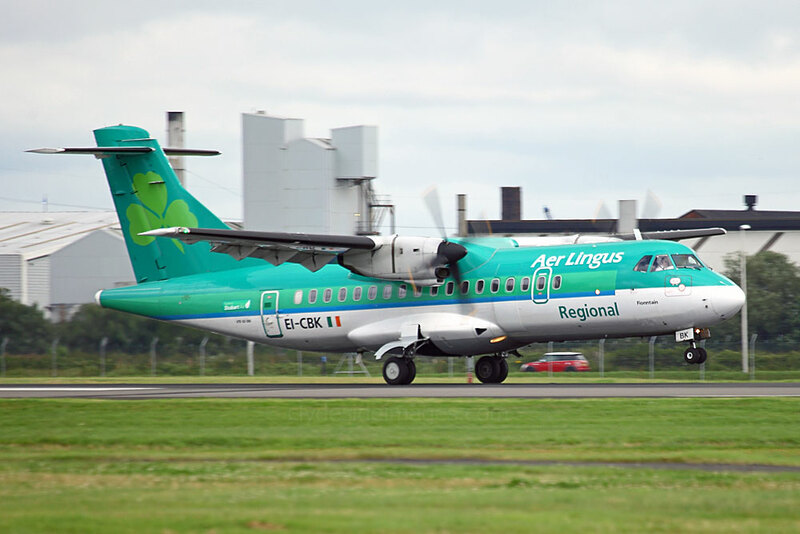 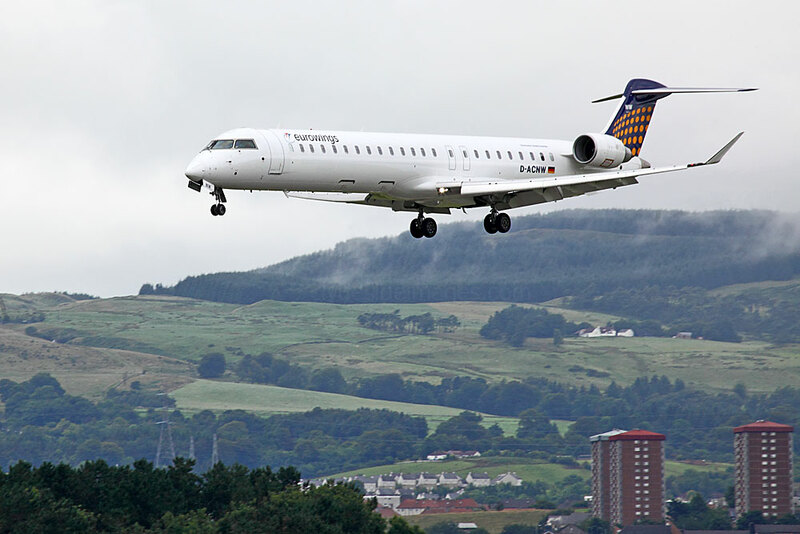 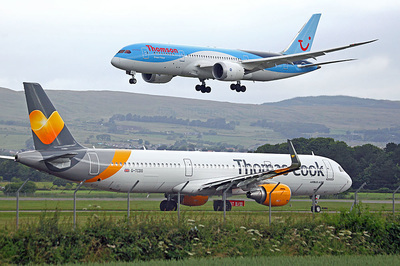 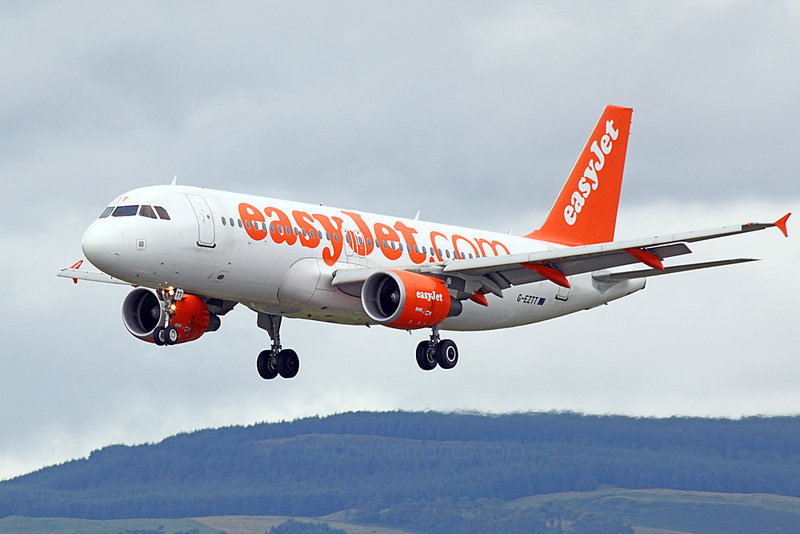 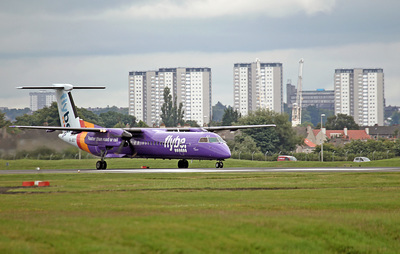 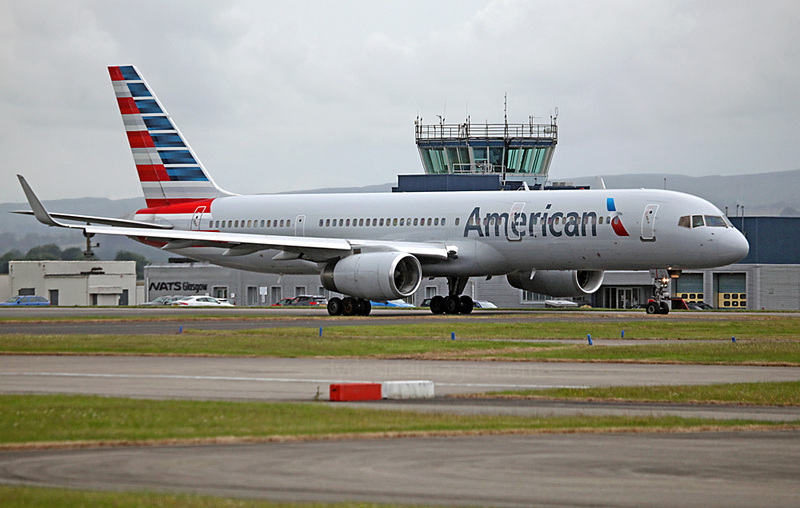 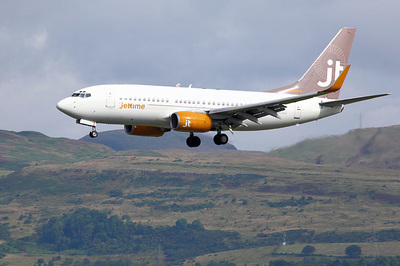 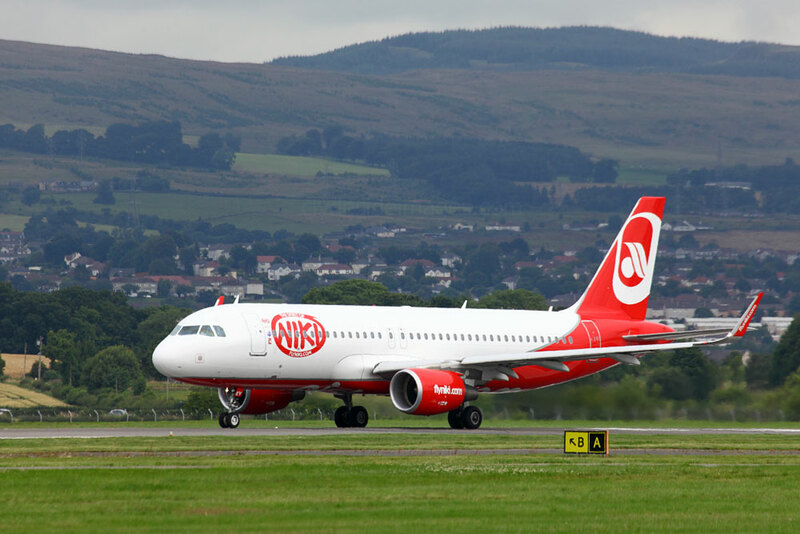 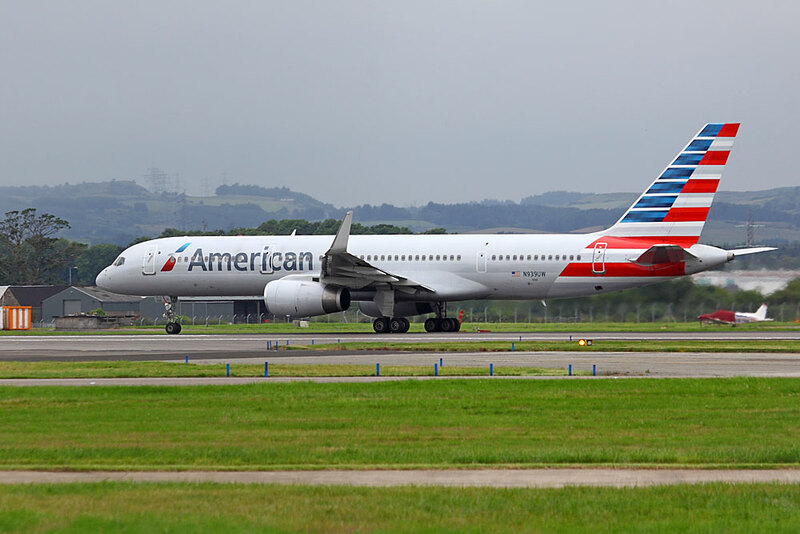 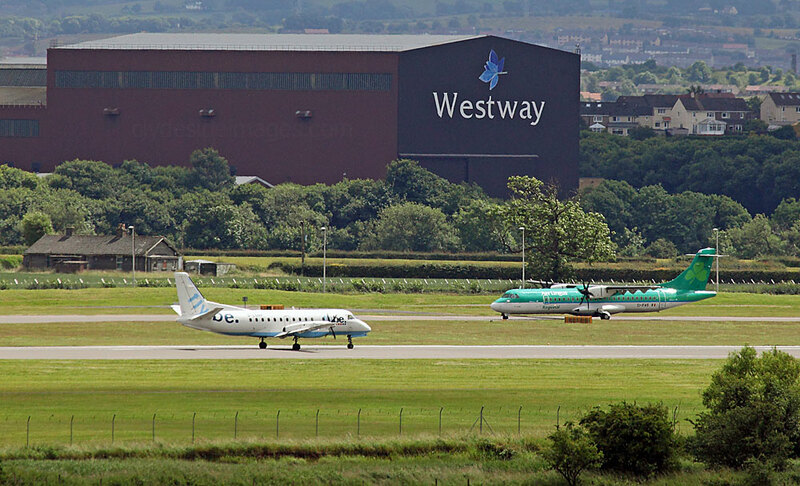 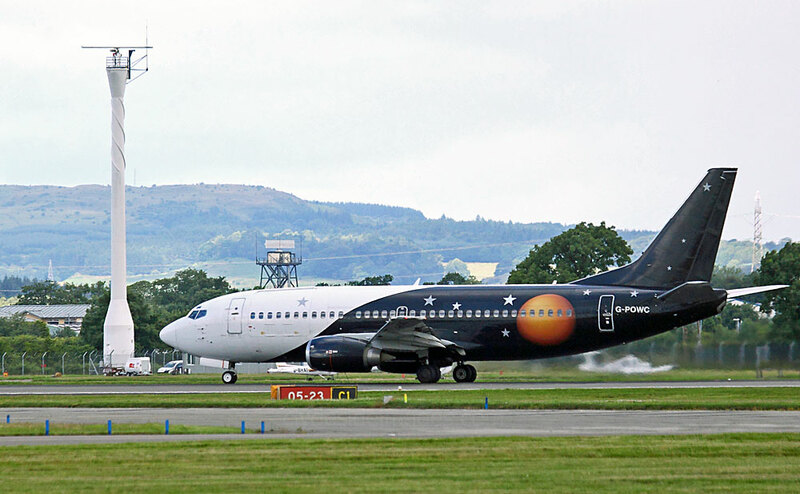 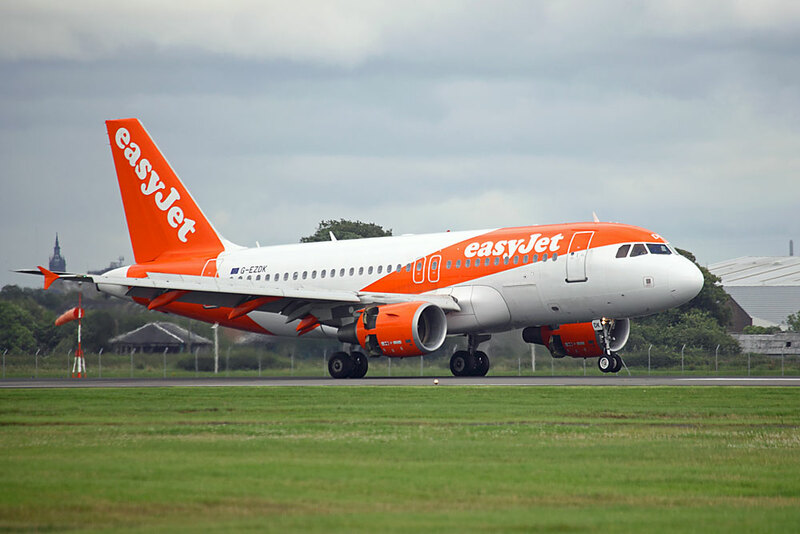 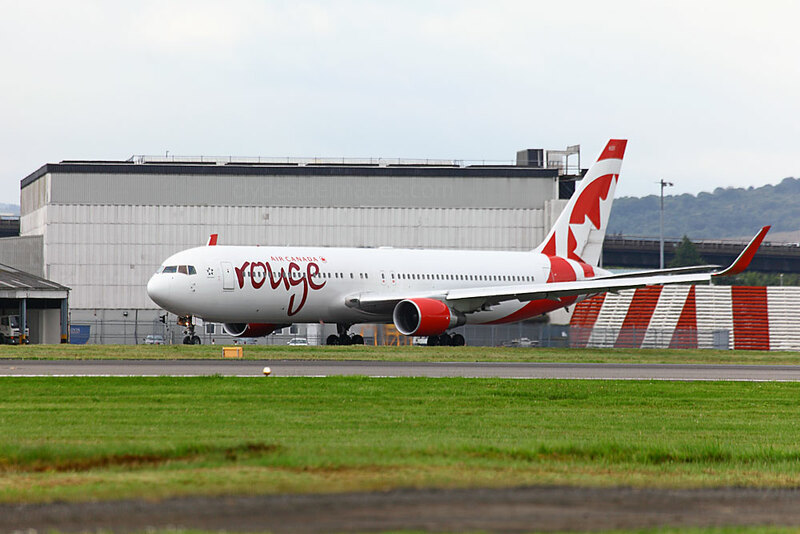 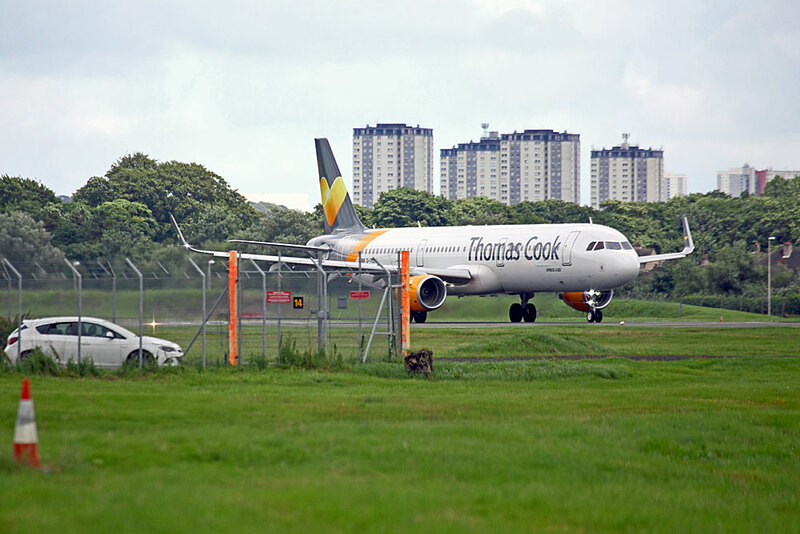 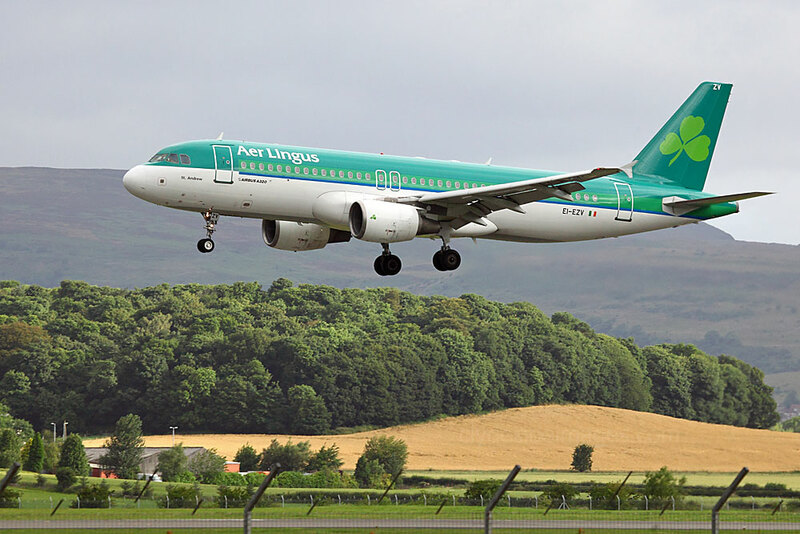 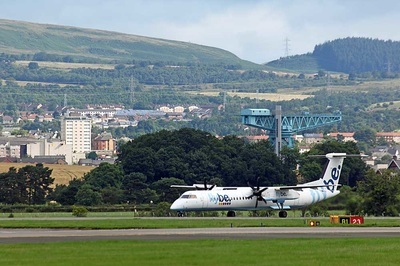 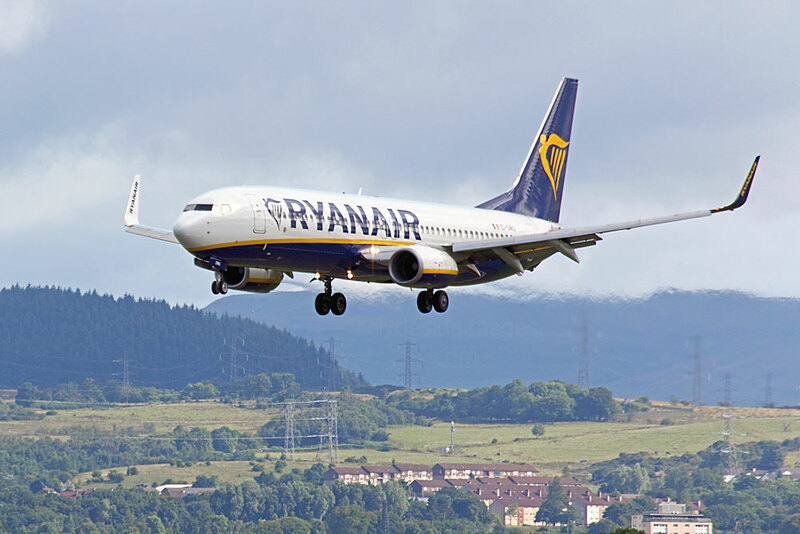 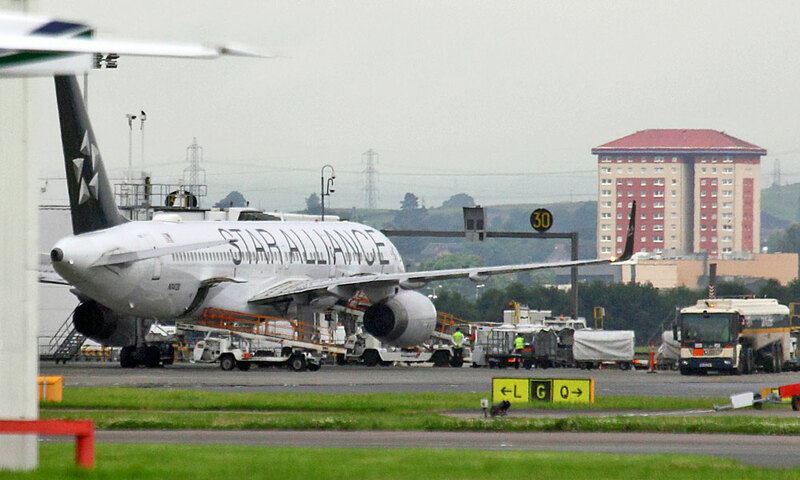 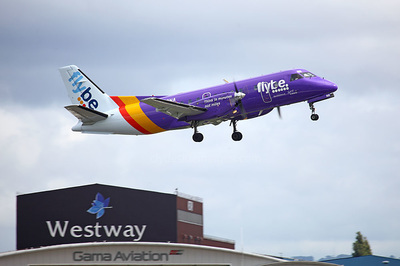 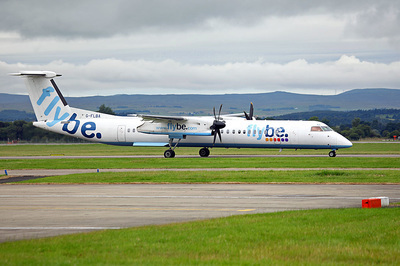 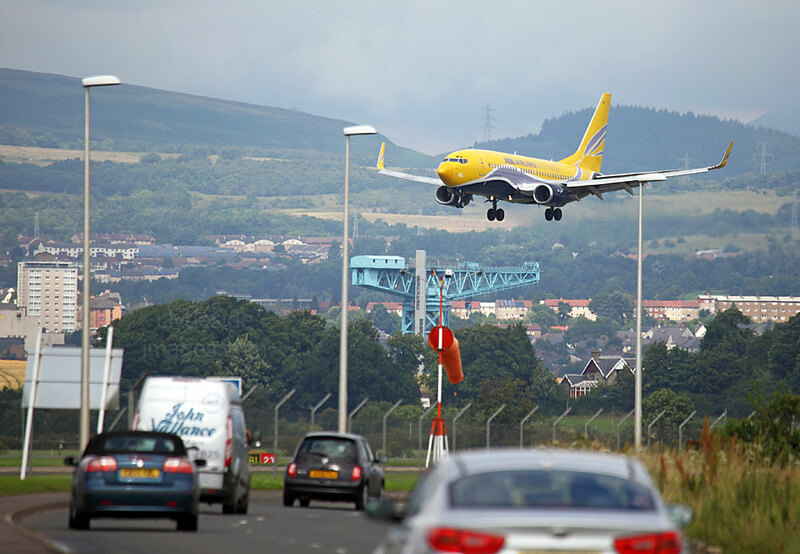 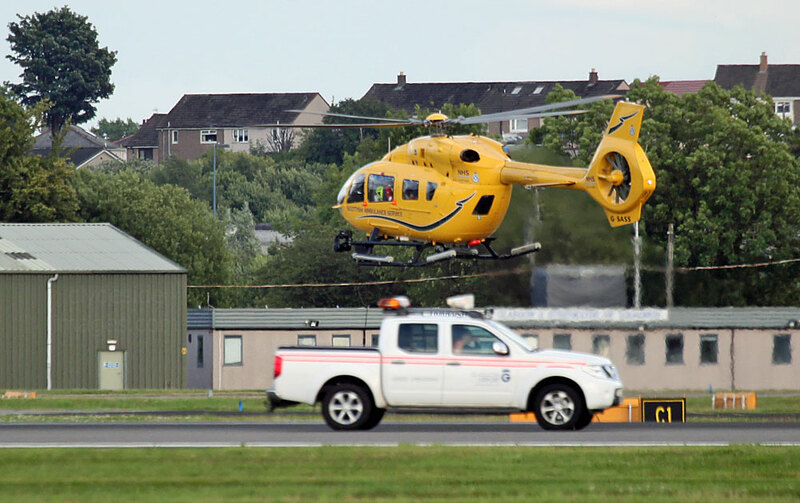 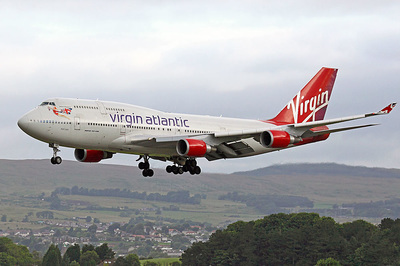 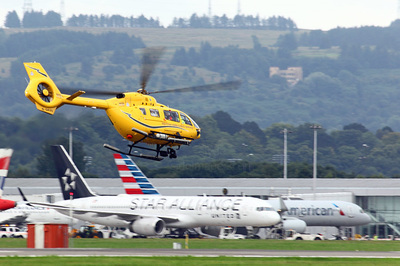 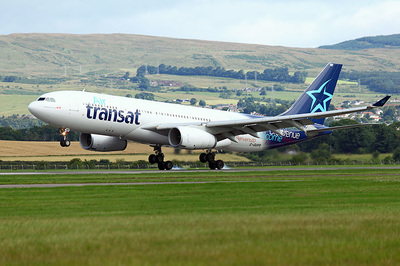 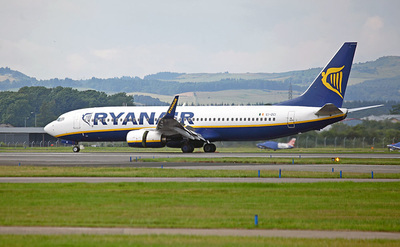 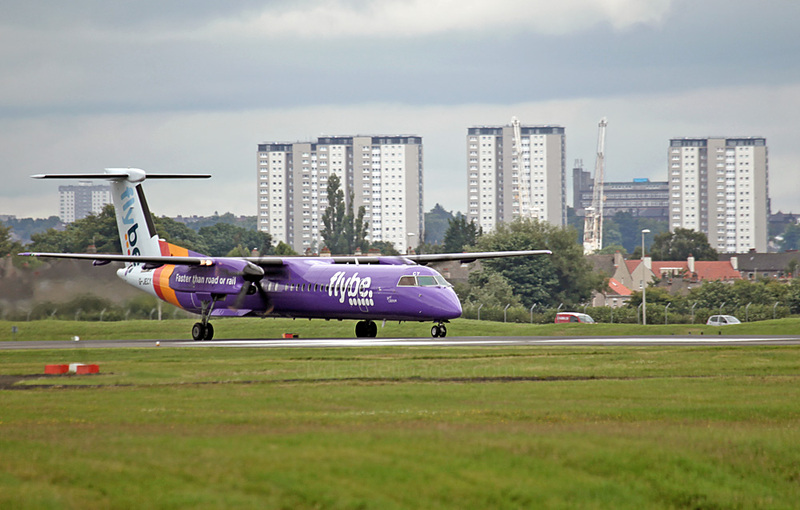 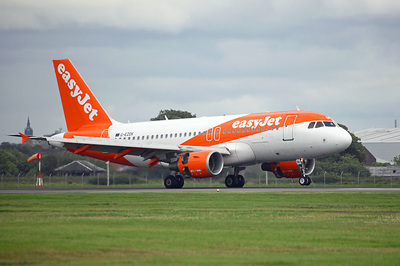 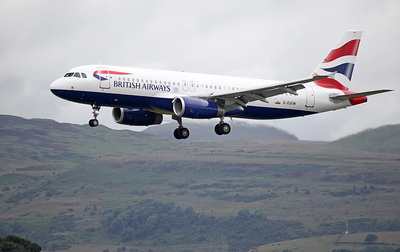 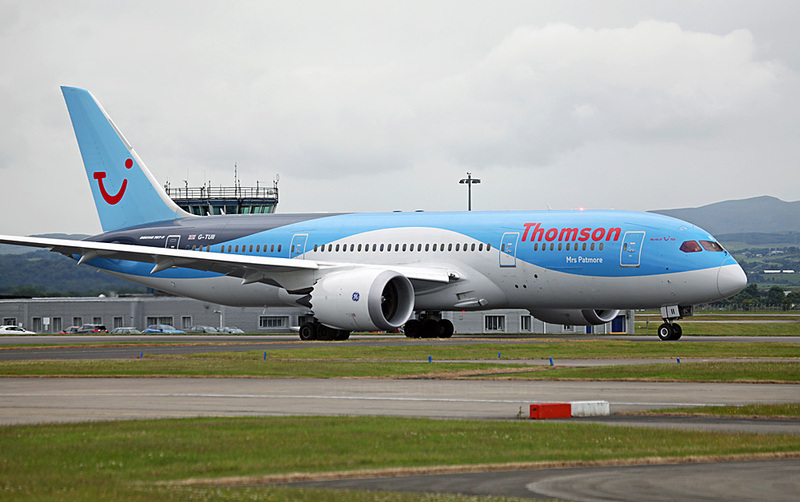 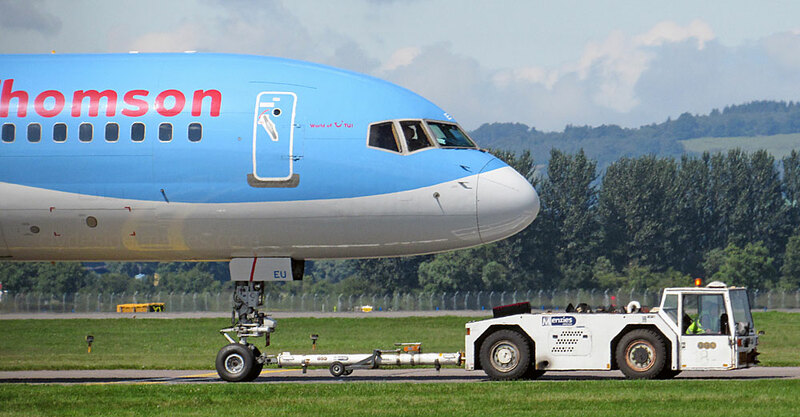 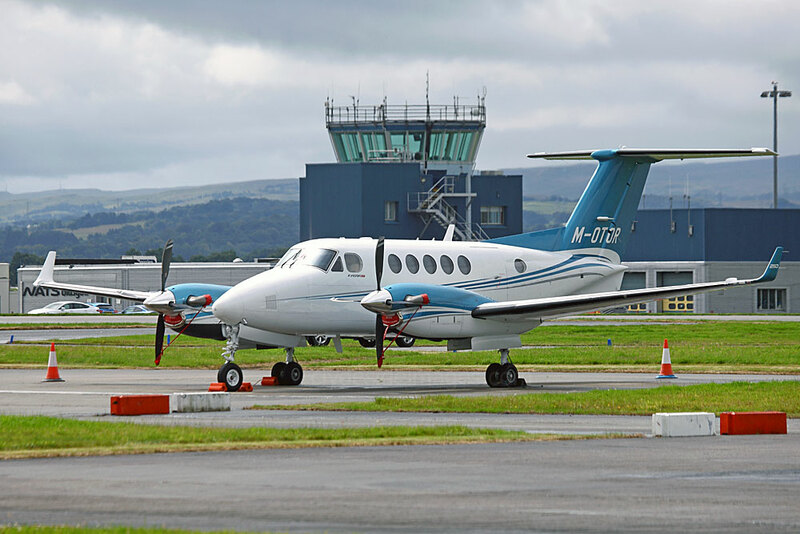 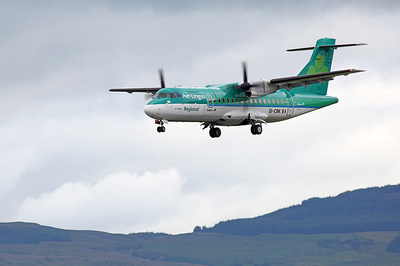 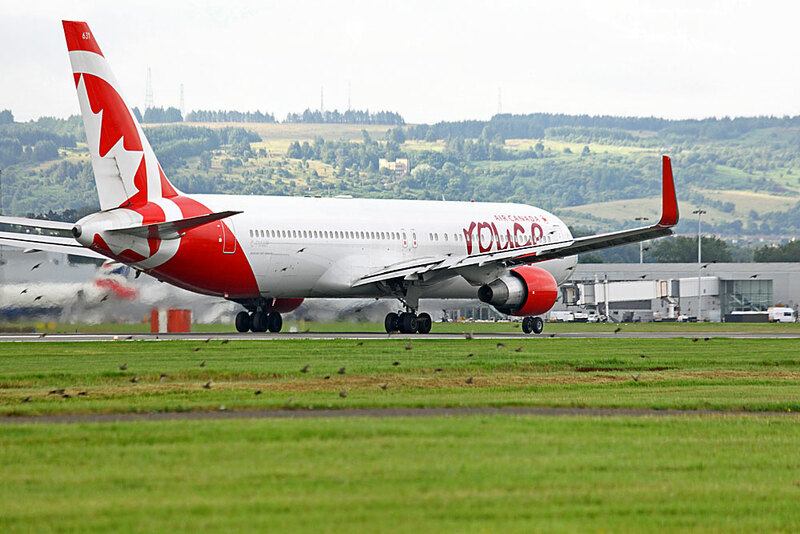 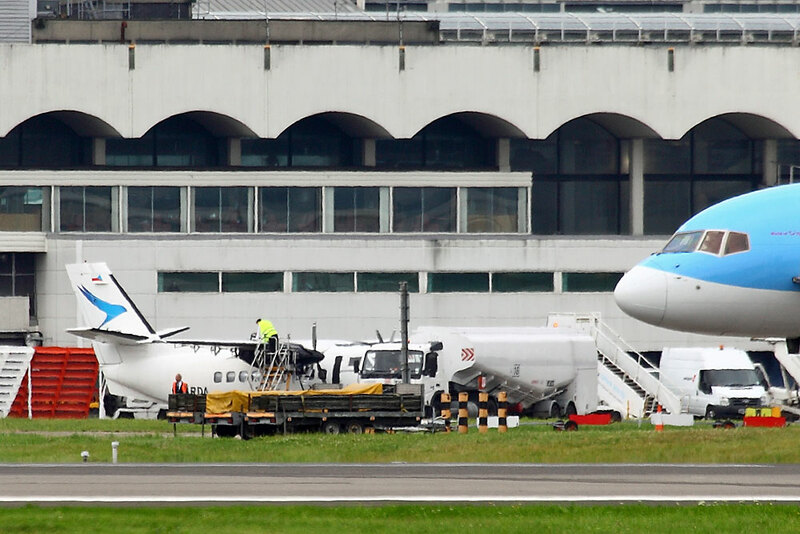 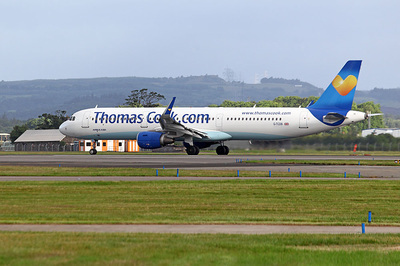 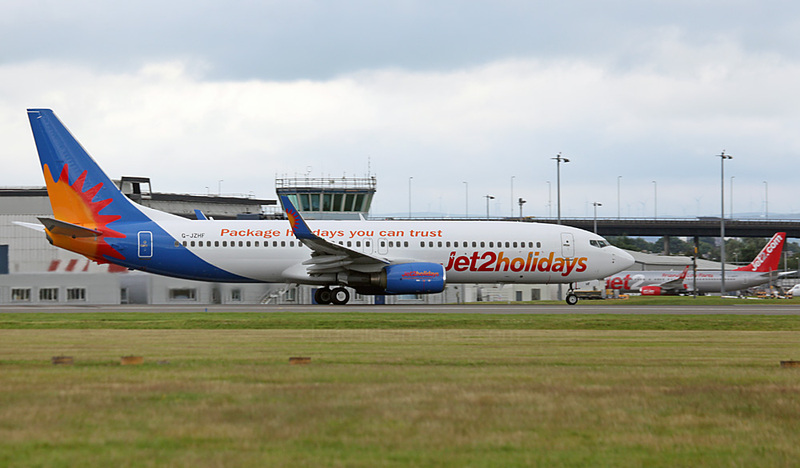 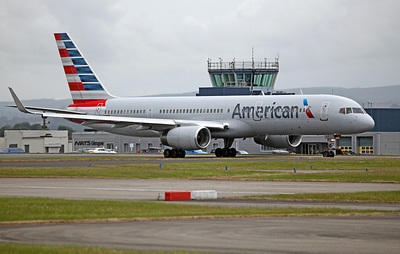 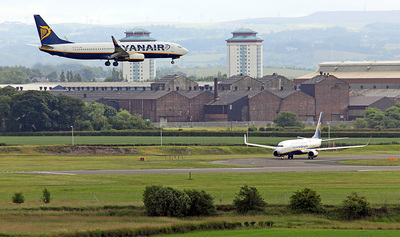 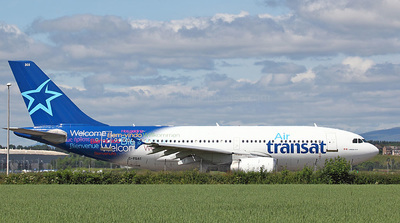 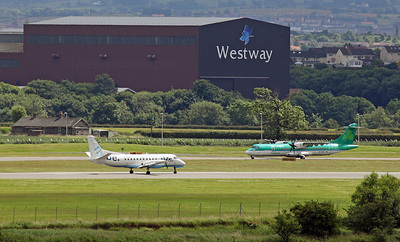 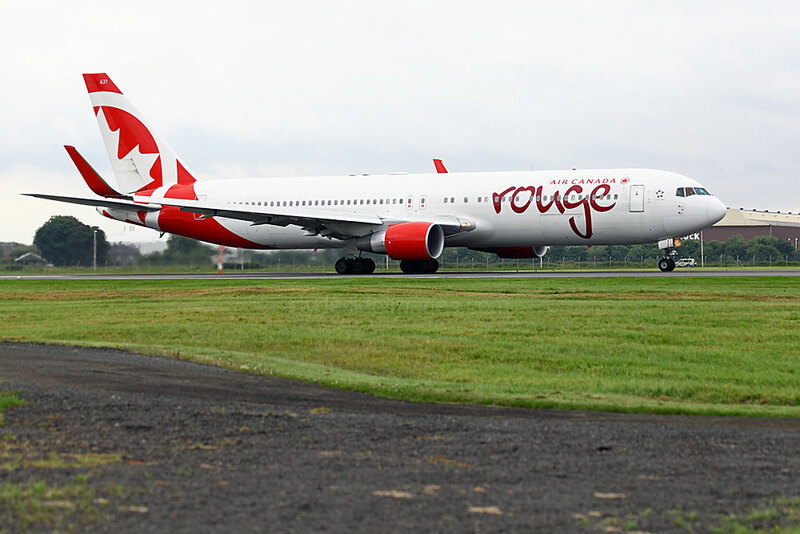 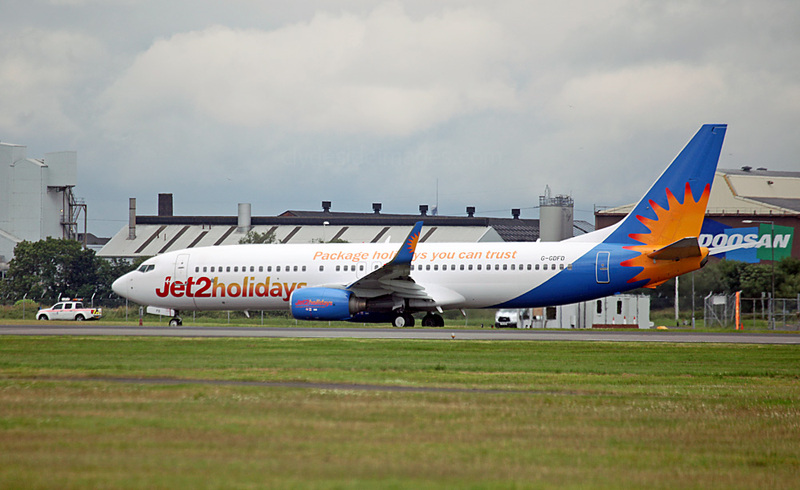 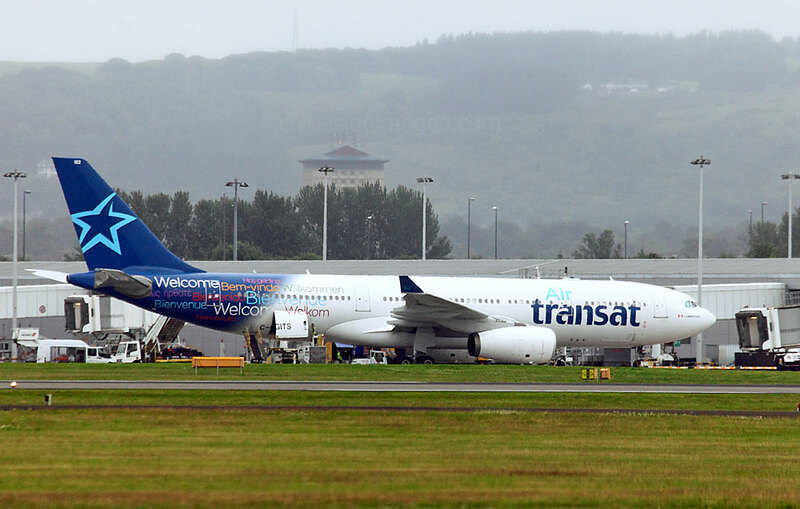 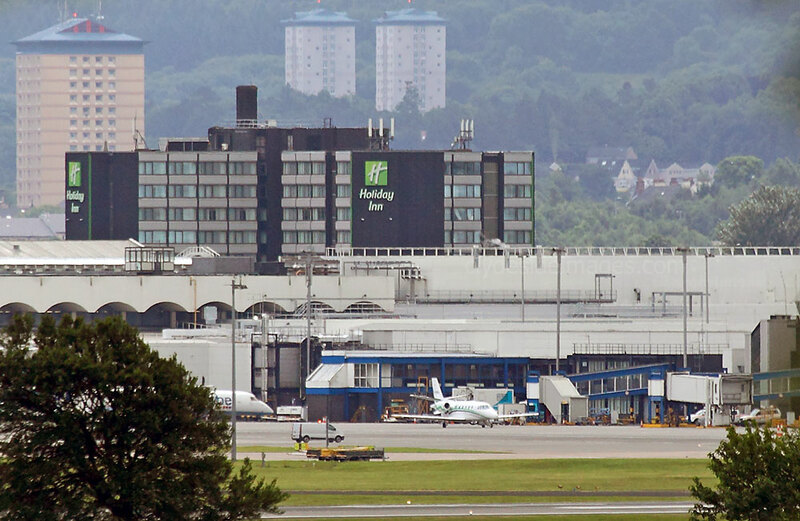 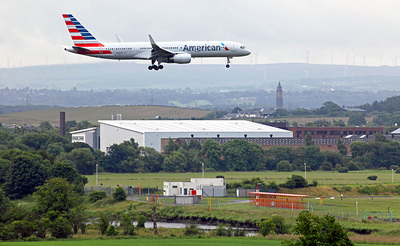 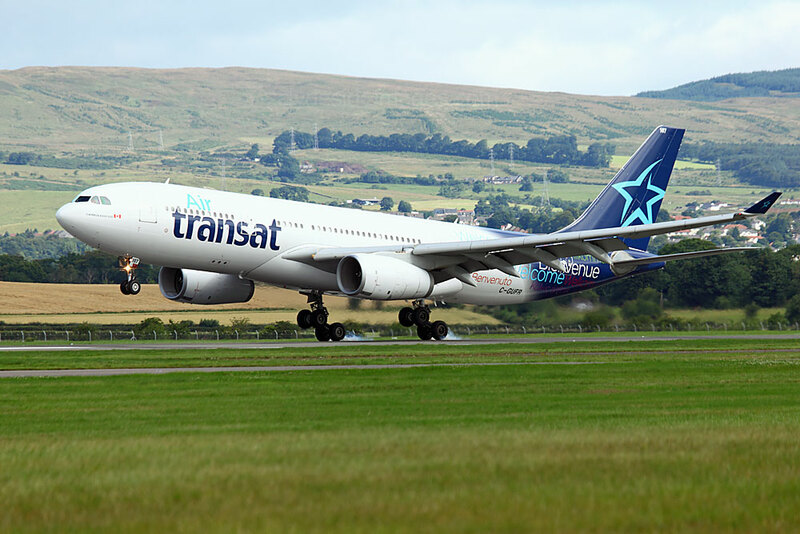 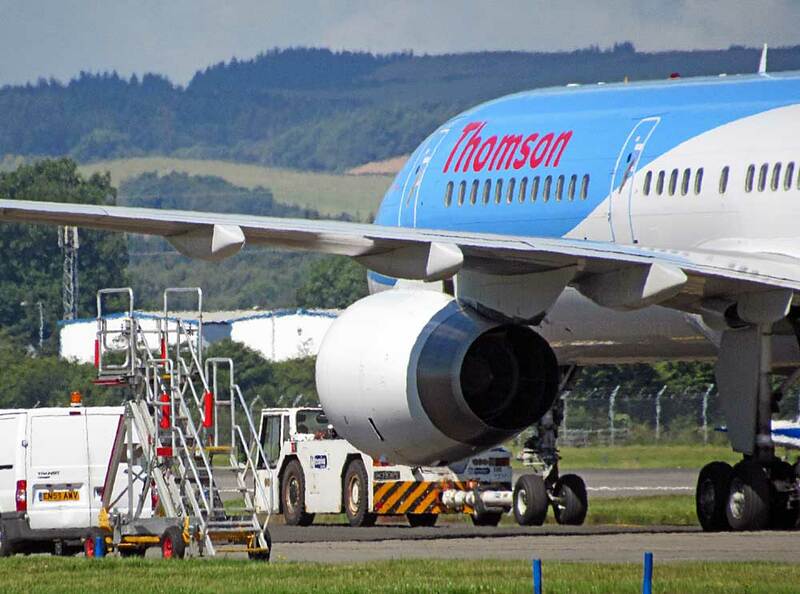 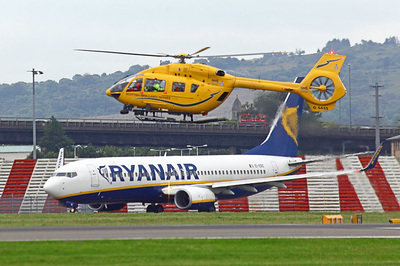 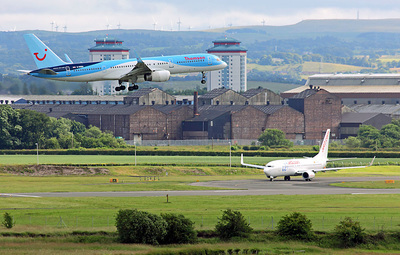 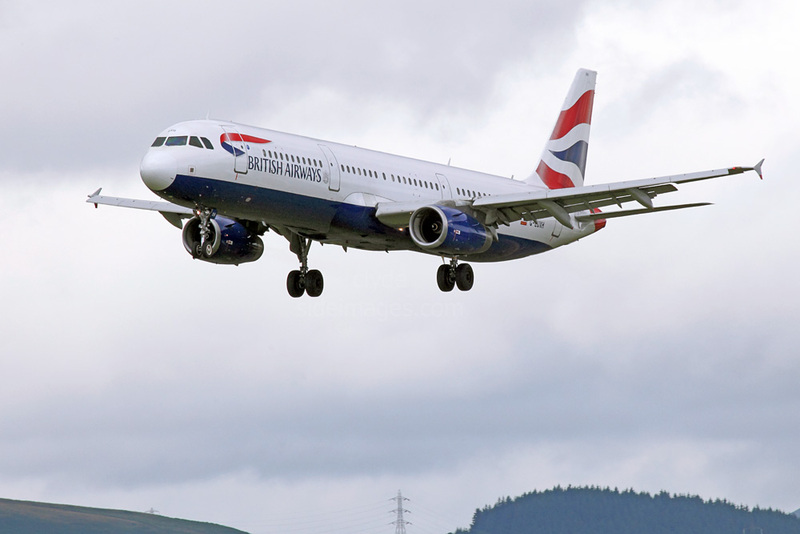 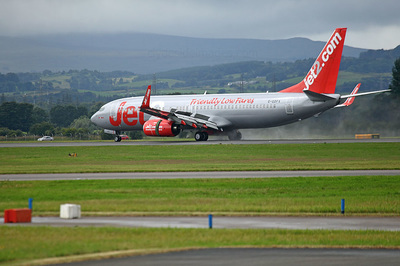 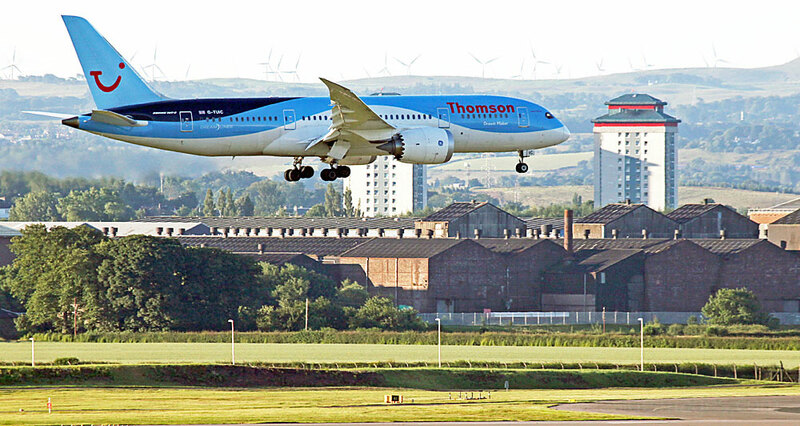 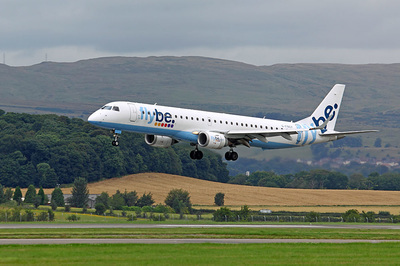 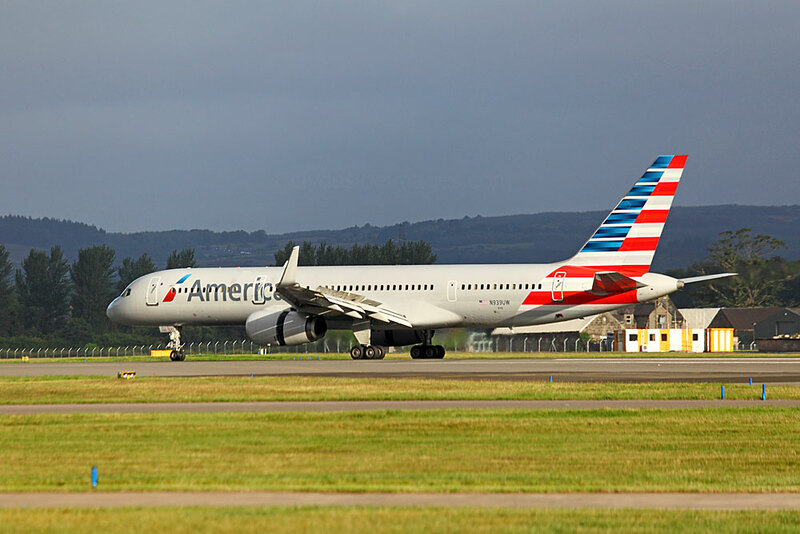 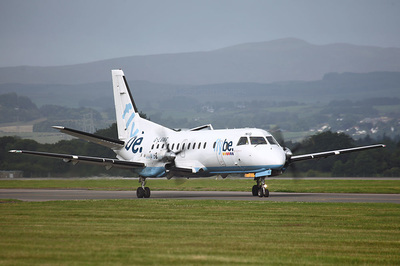 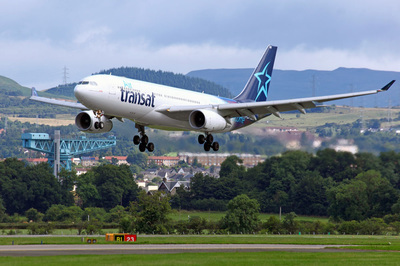 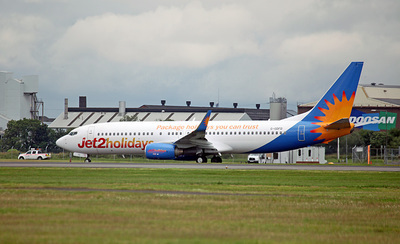 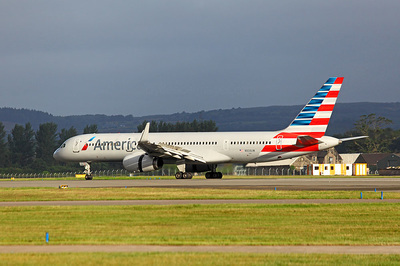 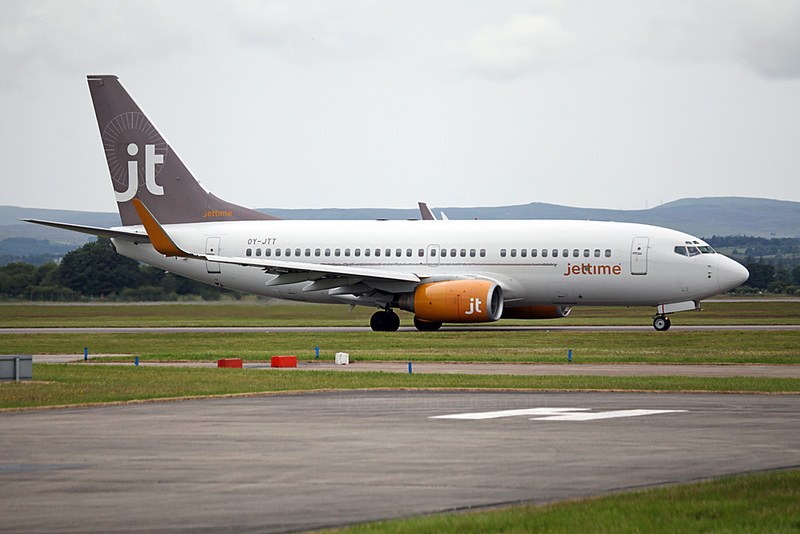 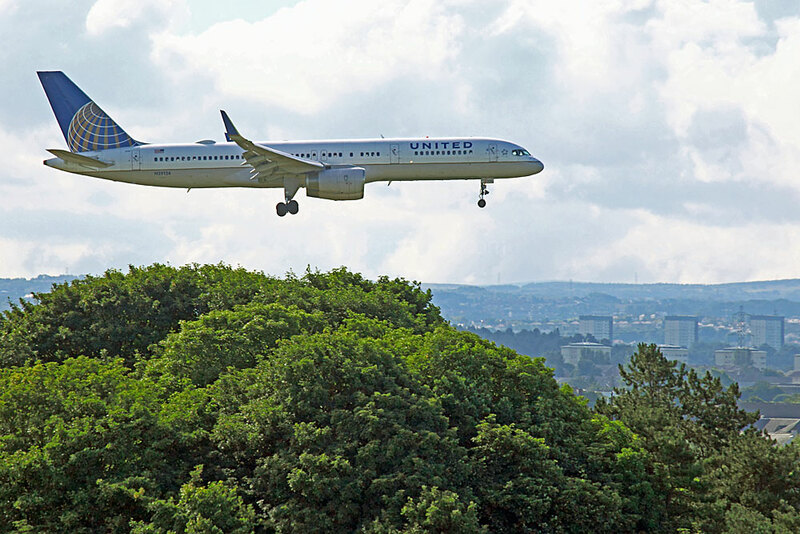 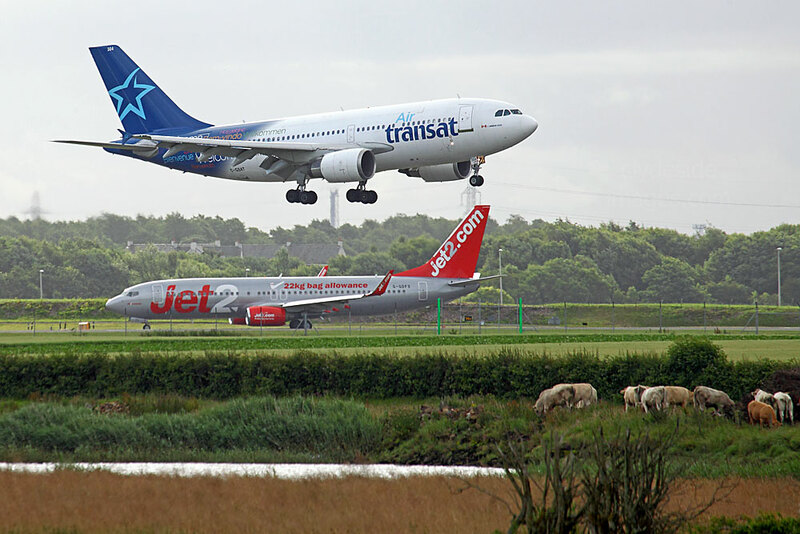 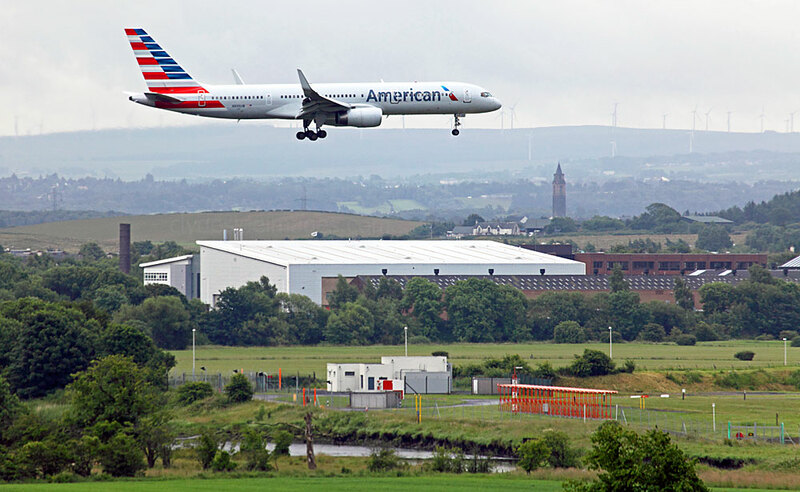 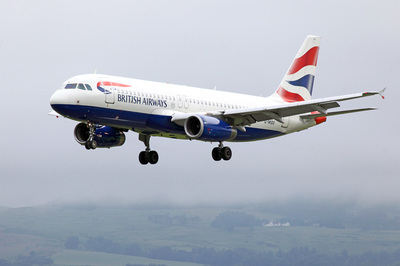 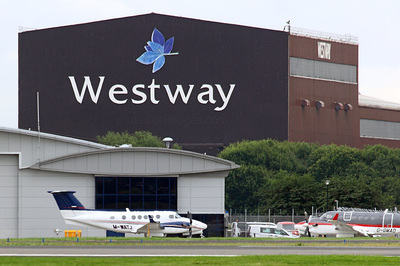 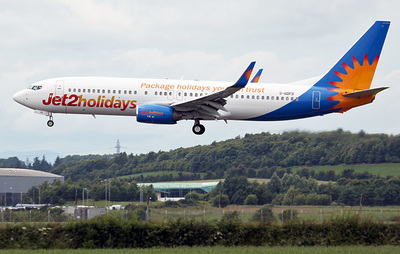 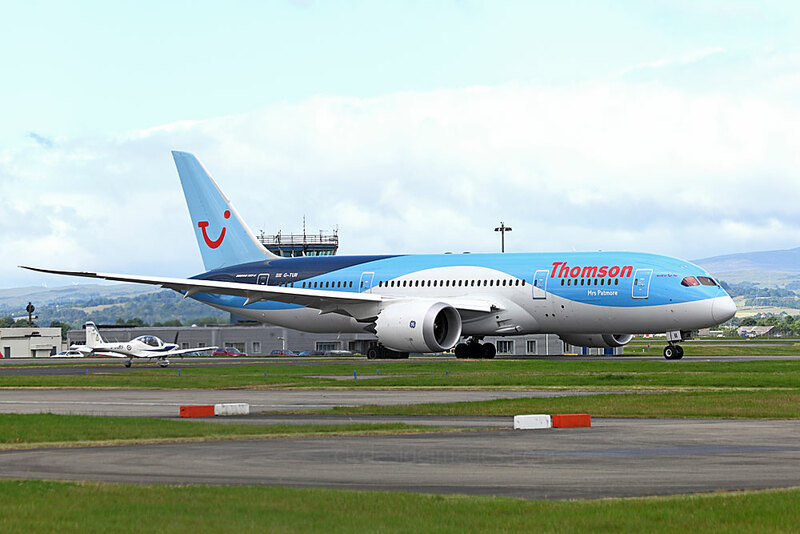 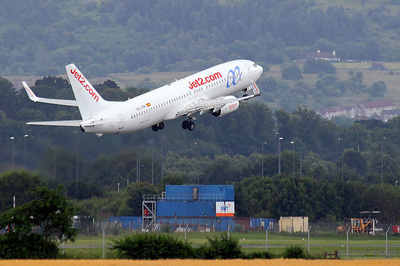 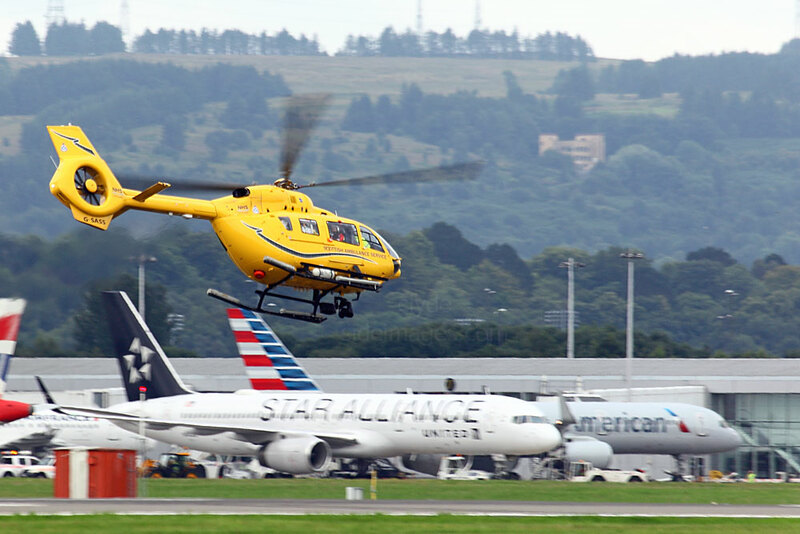 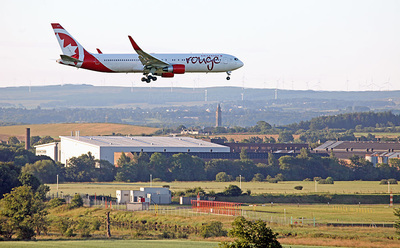 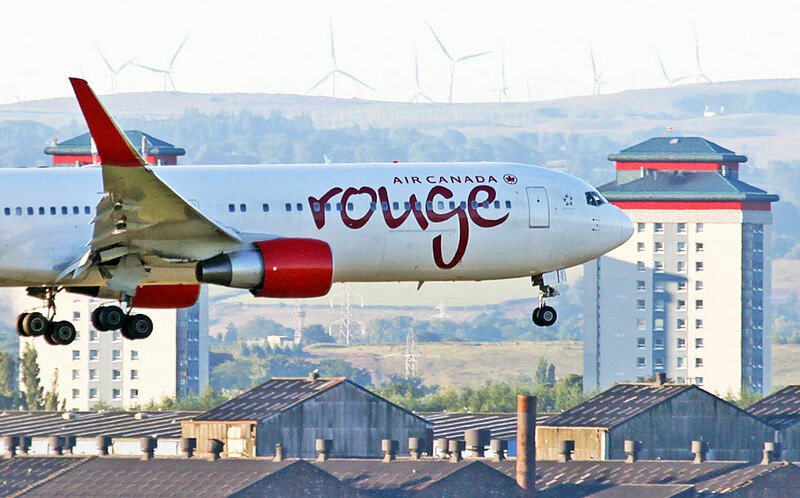 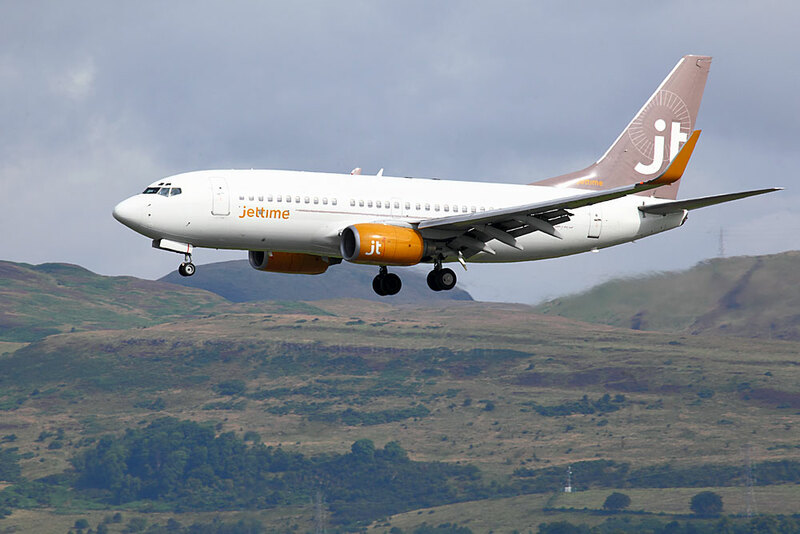 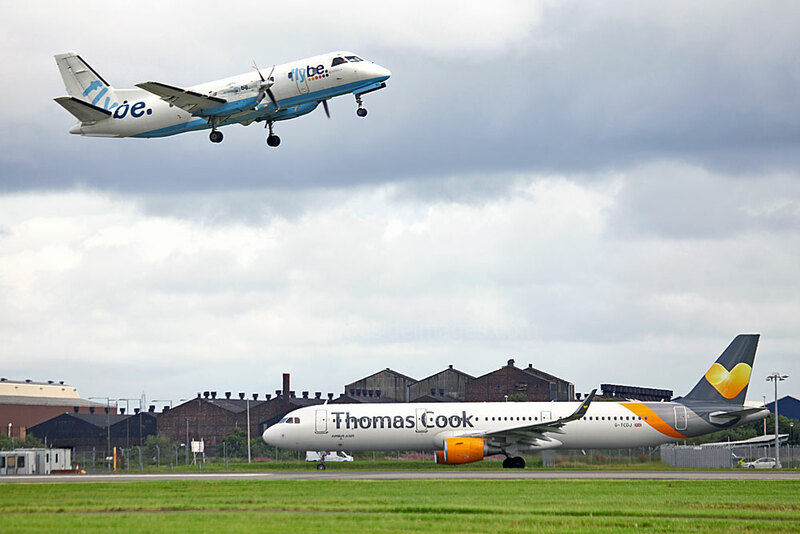 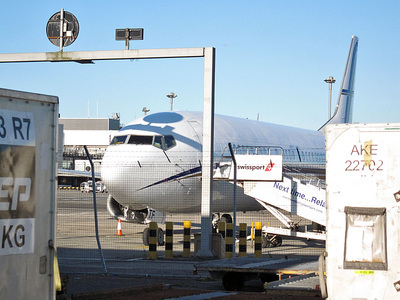 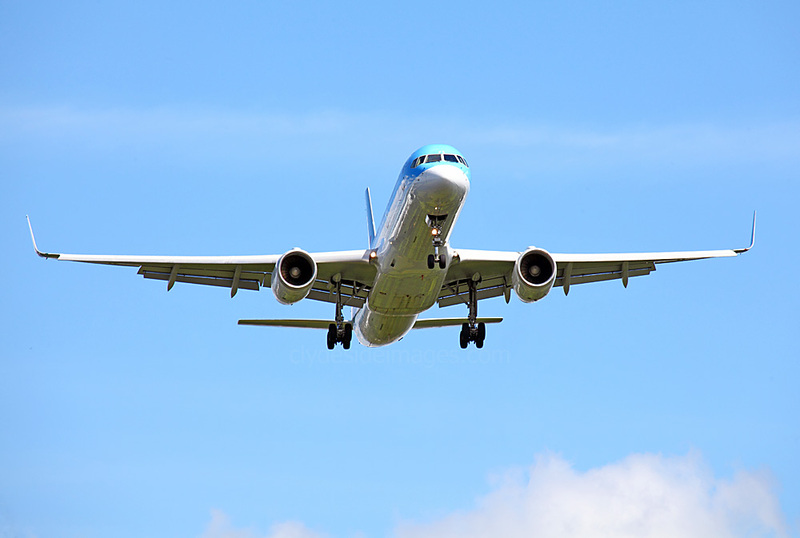 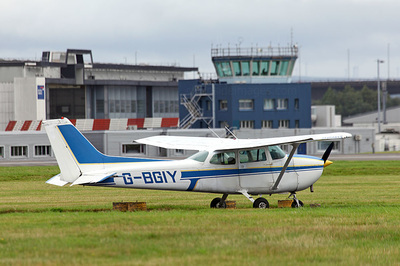 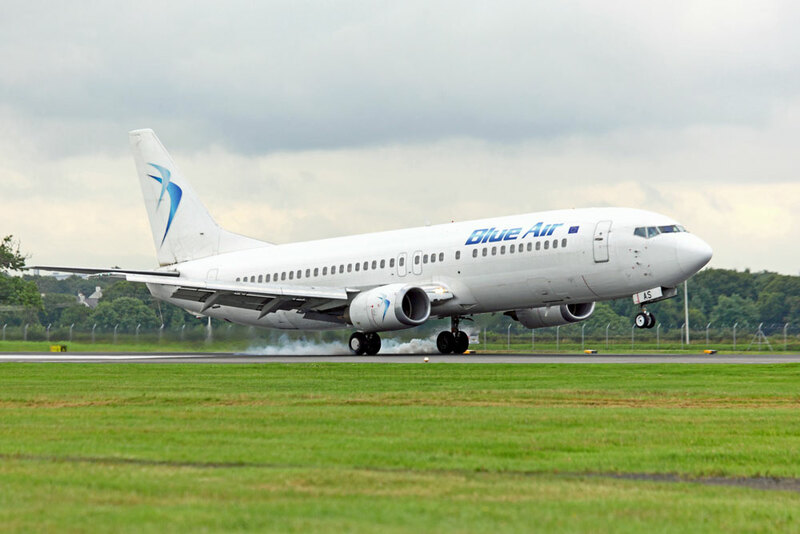 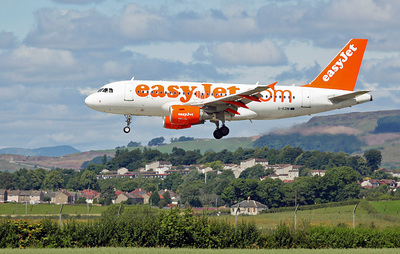 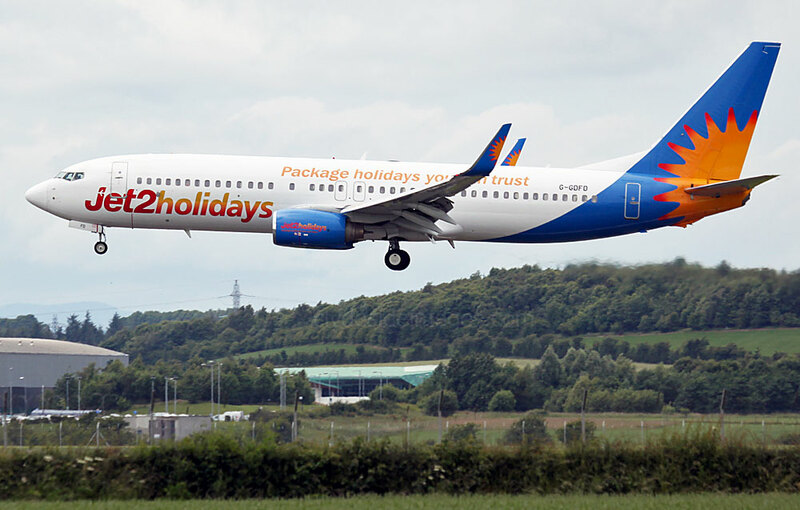 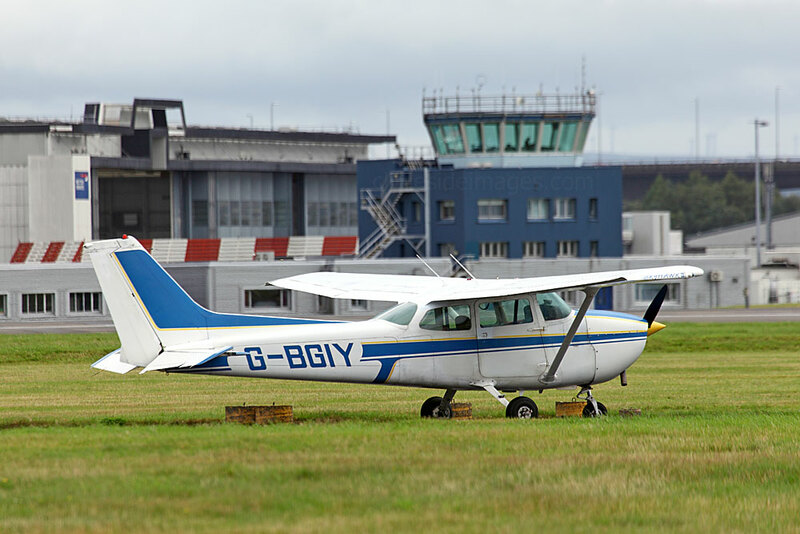 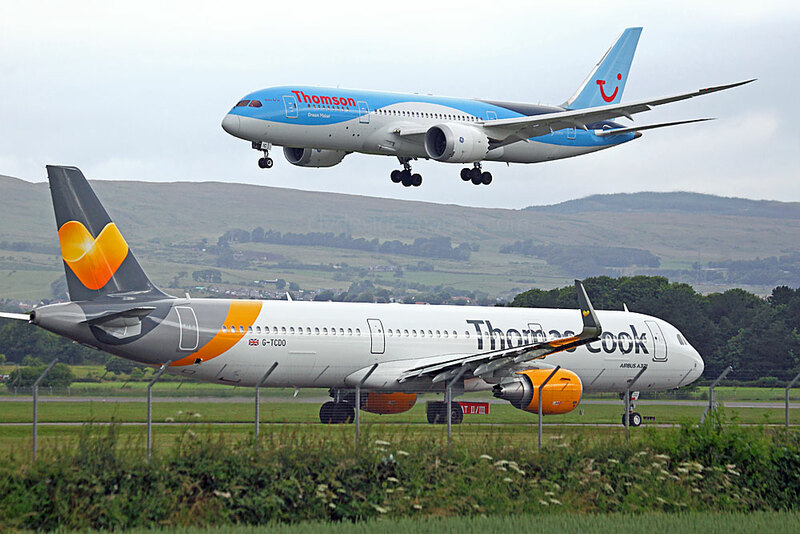 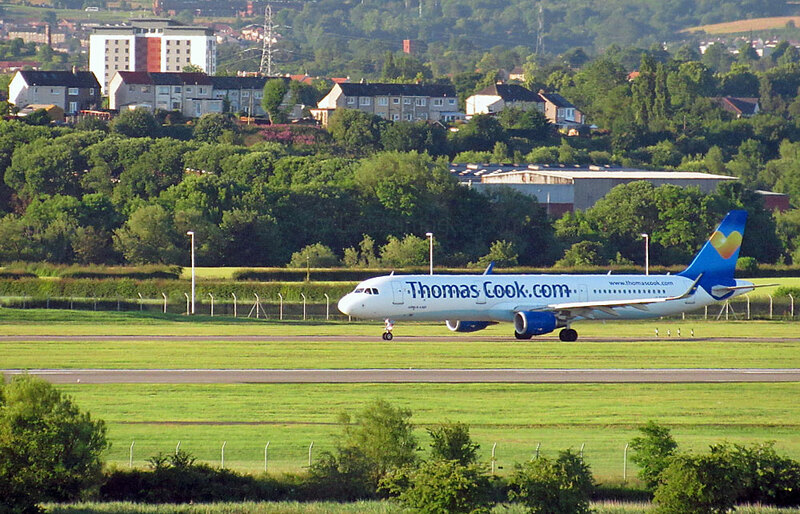 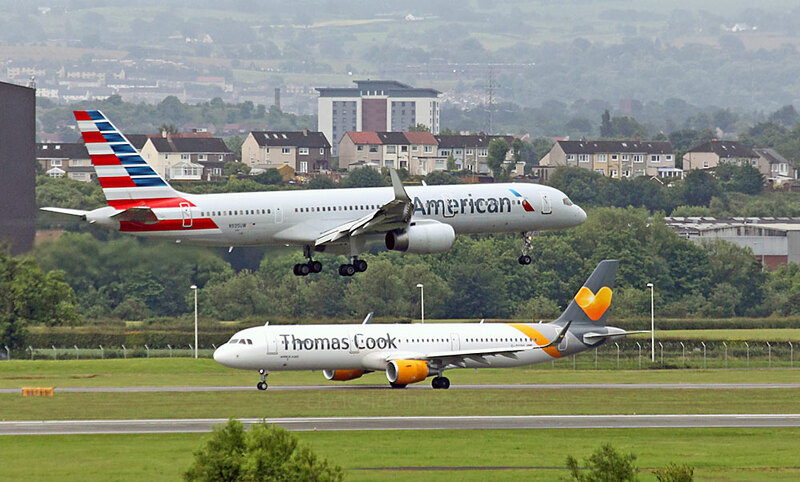 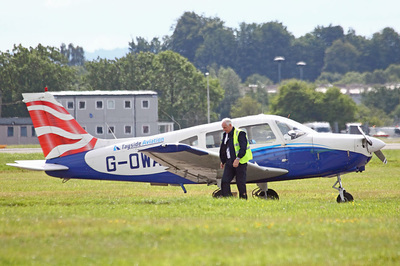 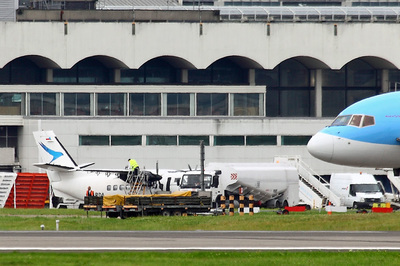 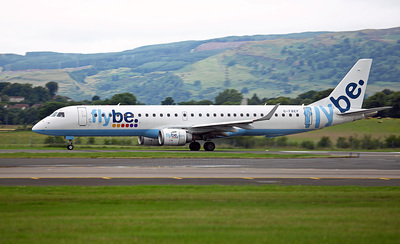 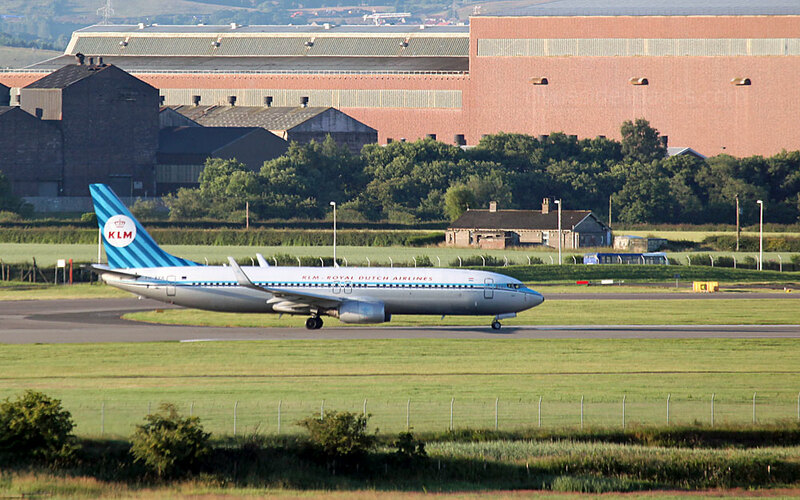 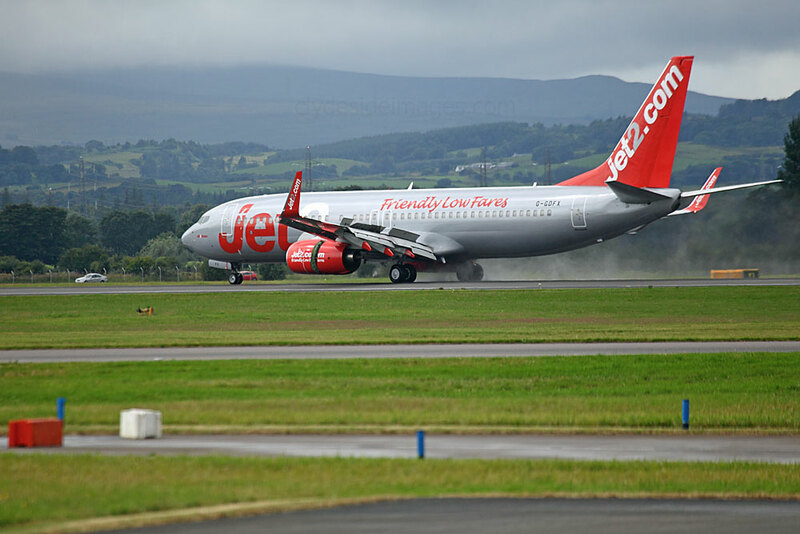 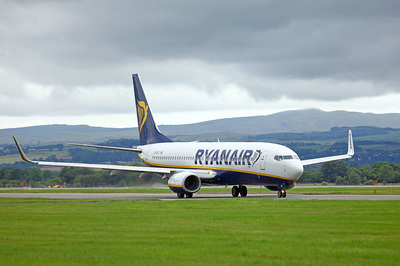 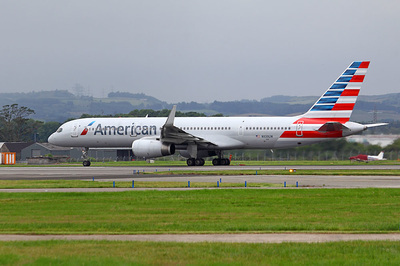 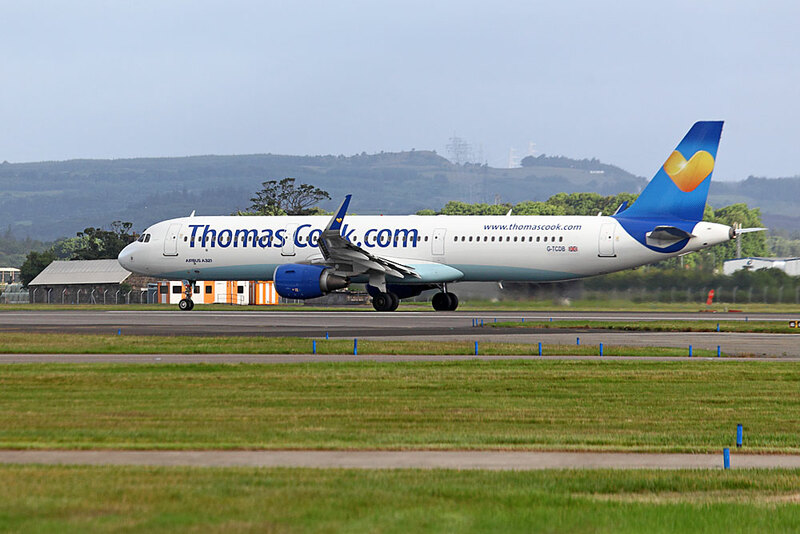 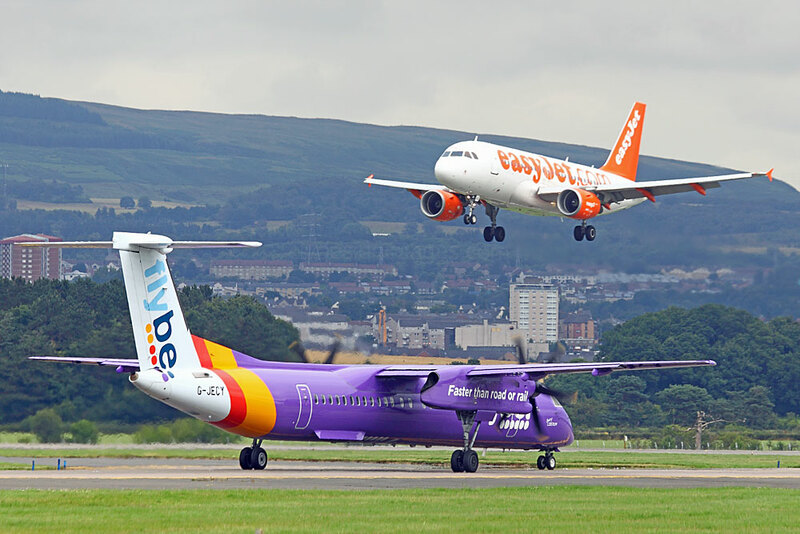 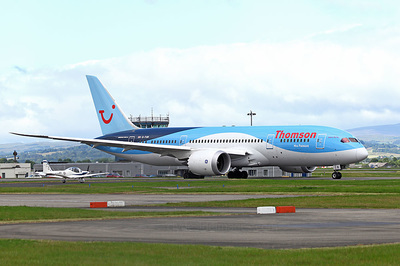 Glasgow Airport was in the headlines on Monday 18 July, when it was announced that two Canadian pilots, a captain and first officer, who were due to fly an Air Transat Airbus from Glasgow to Toronto, had been arrested for being under the influence of alcohol. They made no plea or declaration at Paisley Sheriff Court and were remanded in custody but eventually bailed pending their next appearance before a judge. 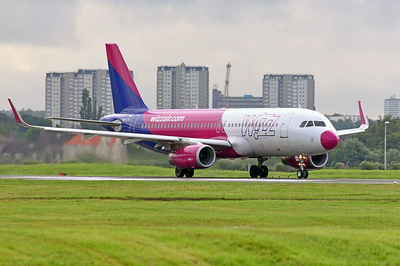 The delayed flight set off on Tuesday morning, with passengers having spent the previous night at nearby hotels. 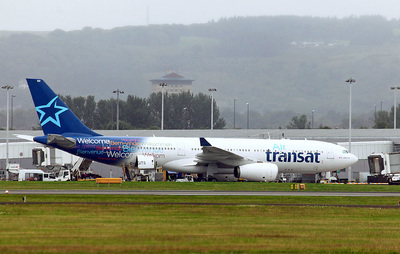 The airline later apologised to those affected and offered them several hundred dollars each as compensation and a discount on their next Air Transat flight - I wonder how many of the passengers will rush to book after this experience, during which the airline was reportedly less than forthcoming initially with information. 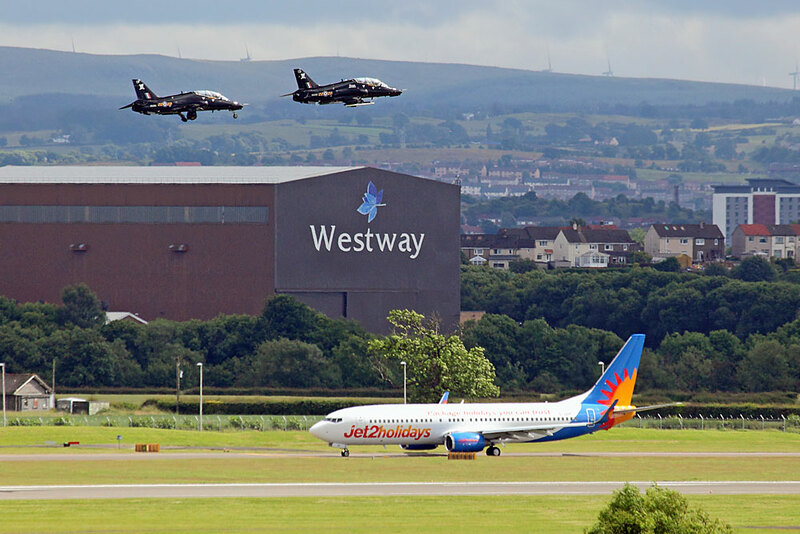 To mark the 50th anniversary of the official opening of Glasgow Airport by the Queen on 27 June 1966, a pair of RAF Hawk T.1As, call-sign "Savage Formation", made a flypast during the afternoon of Friday 8 July, while Princess Anne was being `entertained` by airport officials in the terminal. 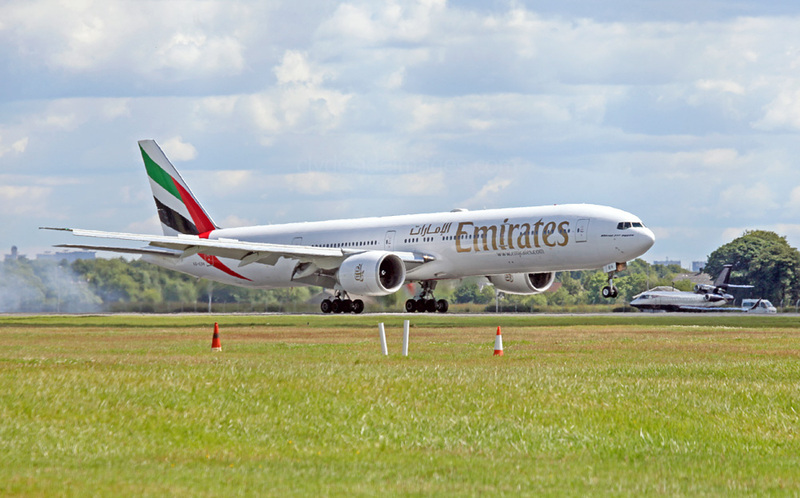 Initially, the time slot given was between 2-4pm and I had hoped to catch the jets in the same frame with the Emirates Triple-seven Dubai flight as it taxied out for take-off. Unfortunately, it was closer to the latter time when the Hawks finally appeared. 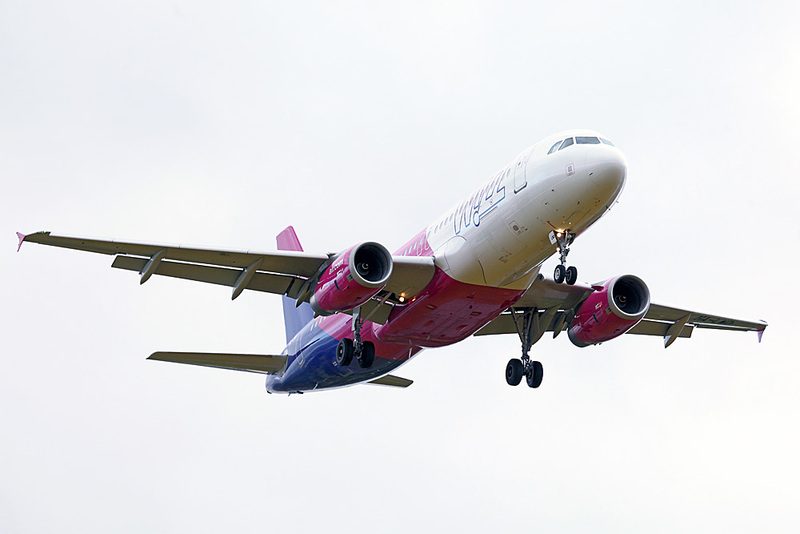 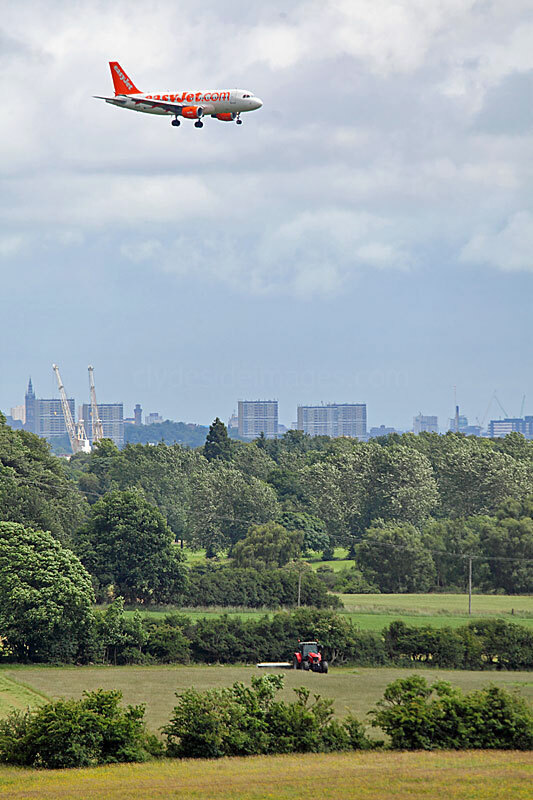 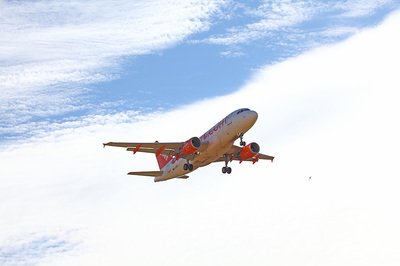 They were also much higher than anticipated, plus I had to settle for a Jet2 737 in shot rather than a wide-body. 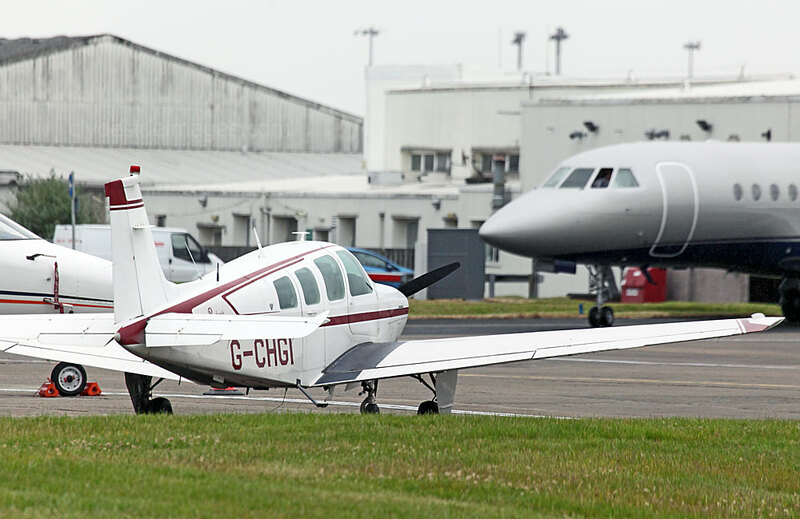 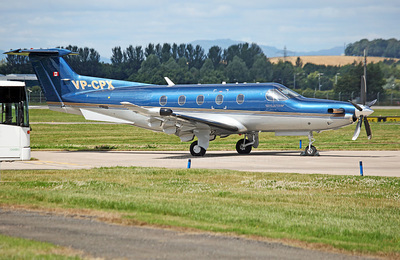 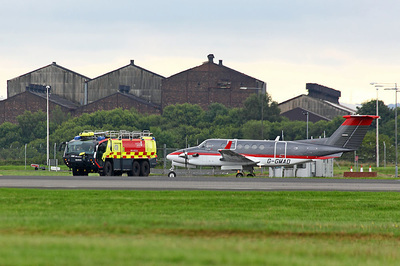 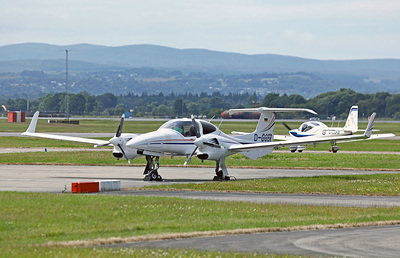 Princess Anne`s taxi, Cessna 560XL Citation Excel G-SIRS, below left, had positioned itself next to one of the piers to facilitate the Princess Royal`s `getaway` at the conclusion of proceedings. 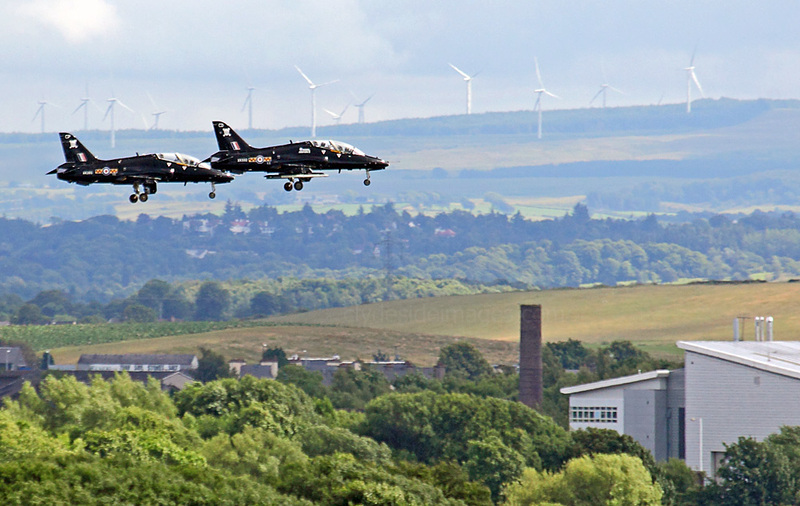 The Hawks were XX332 (CD) and XX265 (CP) of 100 Squadron. 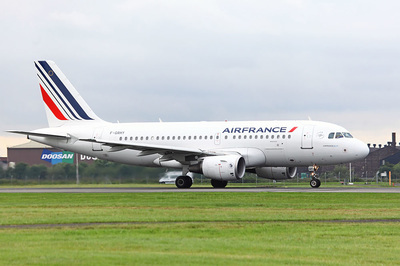 A320-214 F-GKXS Air France in Skyteam colours (f/v), A330-223 LZ-AWA BH Air, Challenger 605 9H-VFB VistaJet (f/v), Dassault Falcon 2000EX CS-DLG, King Air 200 G-WNCH and Eurocopter EC-135T2 G-GLAA (f/v) (17th); ​A320-214 F-GKXS again, Textron AirLand Cessna E530 Scorpion N531TA (f/v), Cessna 680 Citation Sovereign N680CS (f/v), Challenger 605 9H-VFH (18th); ​​Boeing 737-73S(WL) F-GZTO ASL Airlines, Challenger 604 D-AFAA (f/v), Challenger 350 OE-HGG (f/v), SOCATA TBM-930 N232MA (f/v). 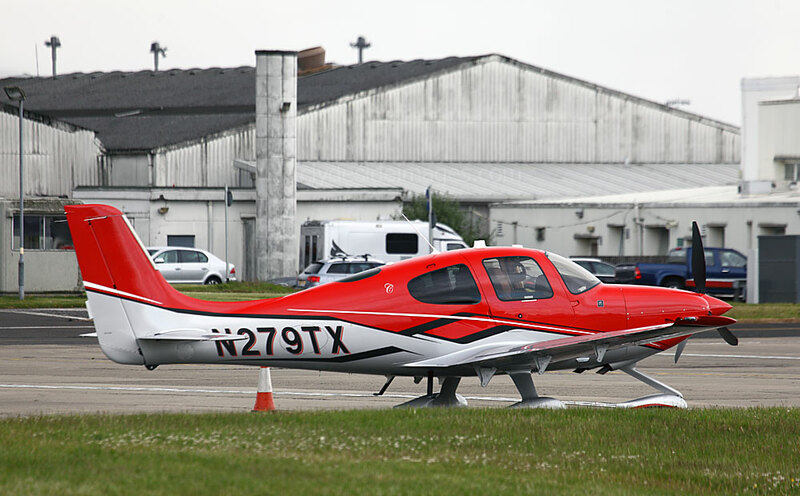 Also making an appearance was Textron Aviation`s AT-6C Texan II N630LA (19th). 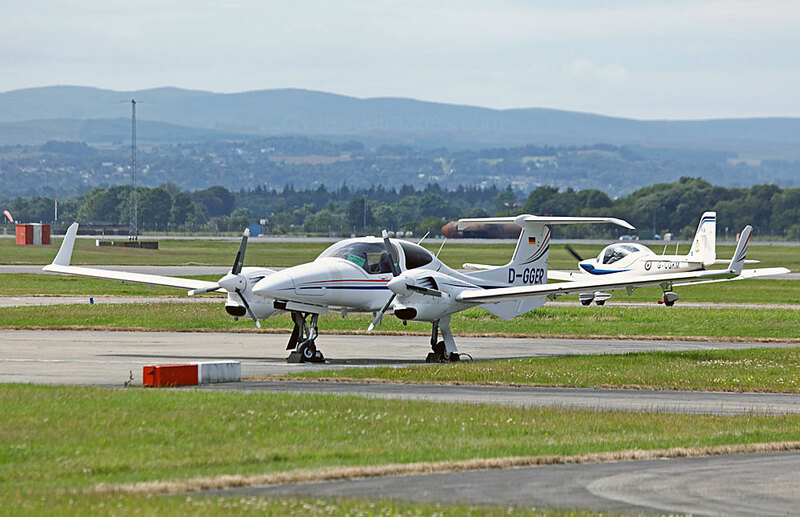 Although it would have been nice to catch the Textron planes in the air at Glasgow, I`d managed to photograph both on static display at the RIAT at Fairford earlier this month. 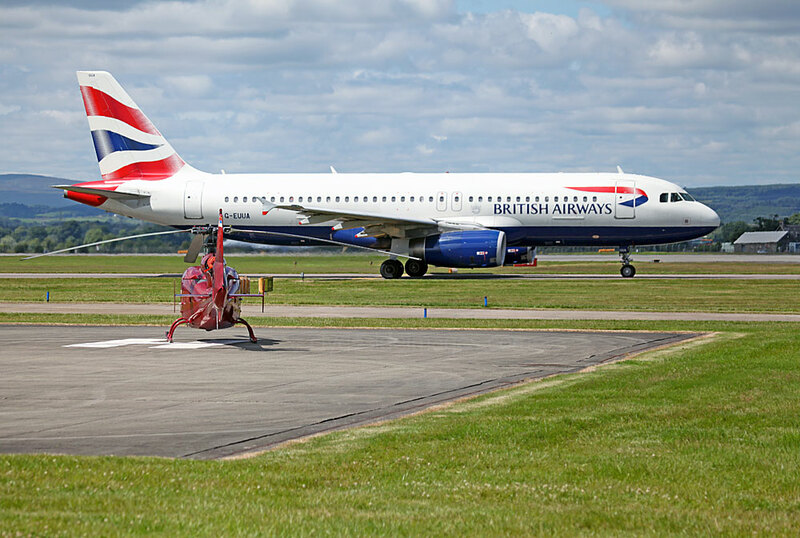 "I thought Red Nose Day was ages ago!" 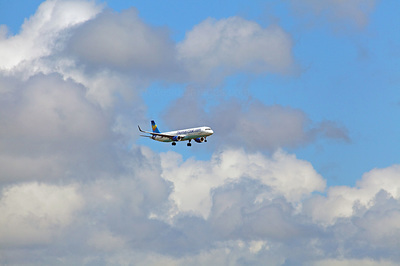 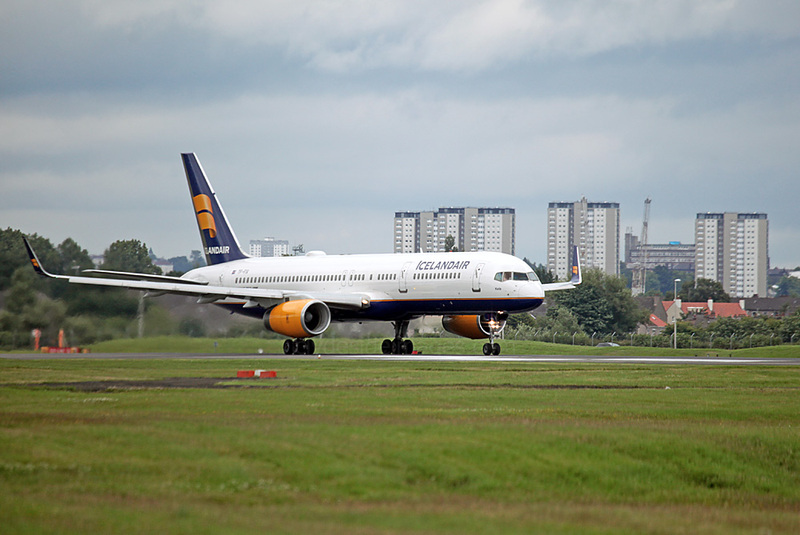 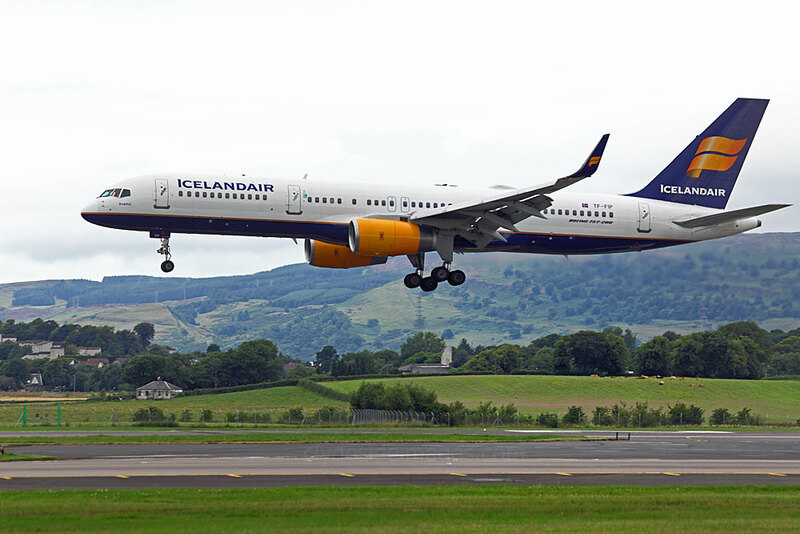 During the afternoon of Wednesday 27 July, a problem with the Air Traffic Control at Keflavik resulted in three of Icelandair`s homeward-bound flights diverting to Glasgow, namely TF-FIK from Manchester, TF-ISR from Paris Charles de Gaulle and TF-FIT from Geneva. 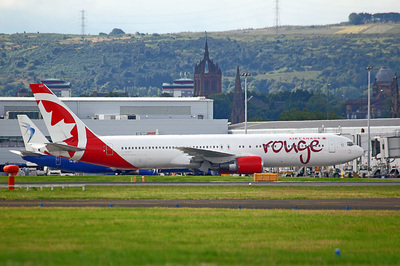 Glasgow also offered to take a further 757 and 767 but they continued towards their destination after holding for a while. 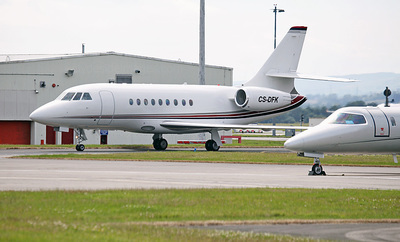 The only other visitors of note were Eurocopter EC135-T2 G-SCAA and Gulfstream 4SP N724DB (f/v) (27th); ​Boeing 757-2K2 G-TCSX TAG Aviation, Citation XLS D-CEFO, Challenger 350 CS-CHD and CASA CN-235-200 N5025 of Prescott Support. 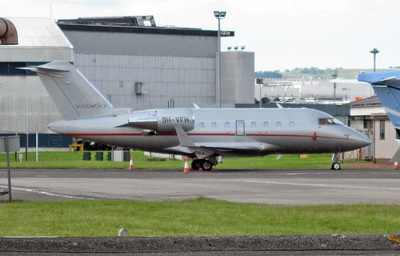 It departed at 08:00hrs the following morning (28th); ​Challenger CL350 9H-VCB VistaJet, Learjet 45 G-SOVB and Cessna 177B G-BRDO (f/v) (29th); ​British Airways A318-112 G-EUNA (f/v) went into the company hangar for maintenance, A319-112 OE-LDG Austrian (f/v), Citation XLS CS-DXX, Learjet 31A D-CGGG LJ31A and Embraer EMB135BJ Legacy D-AVIB (f/v). 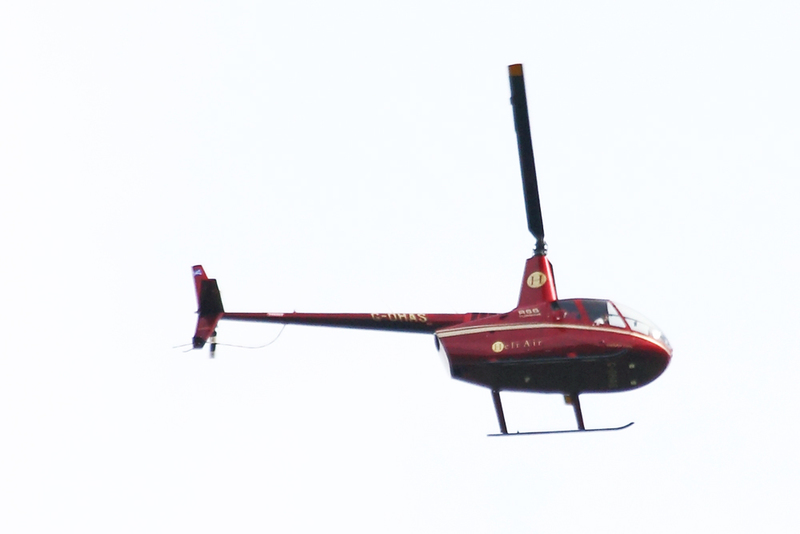 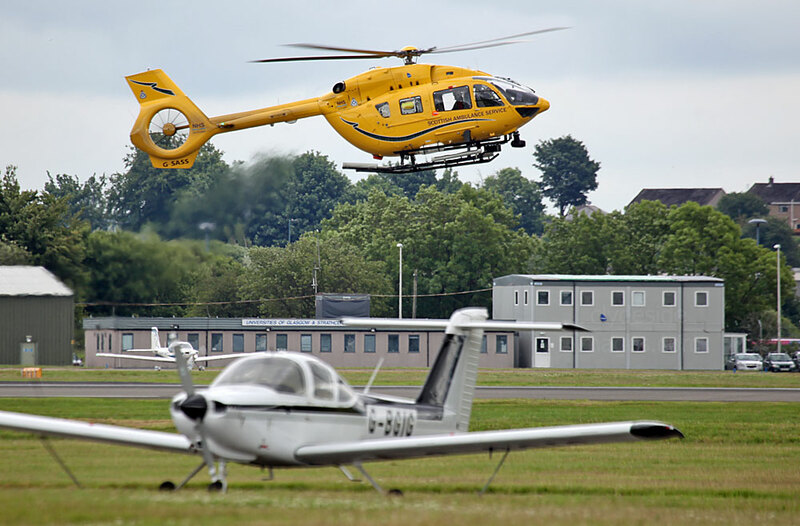 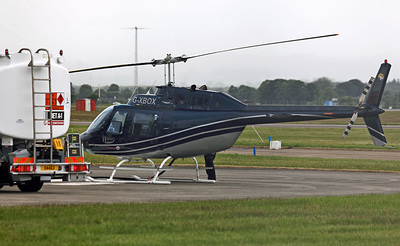 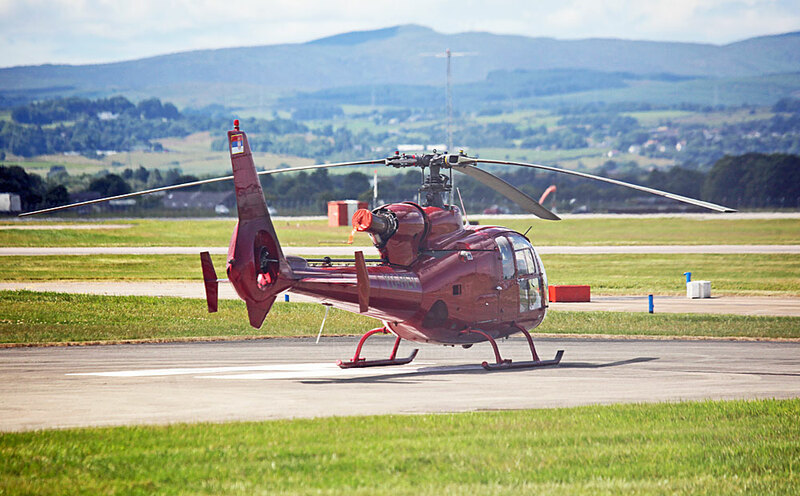 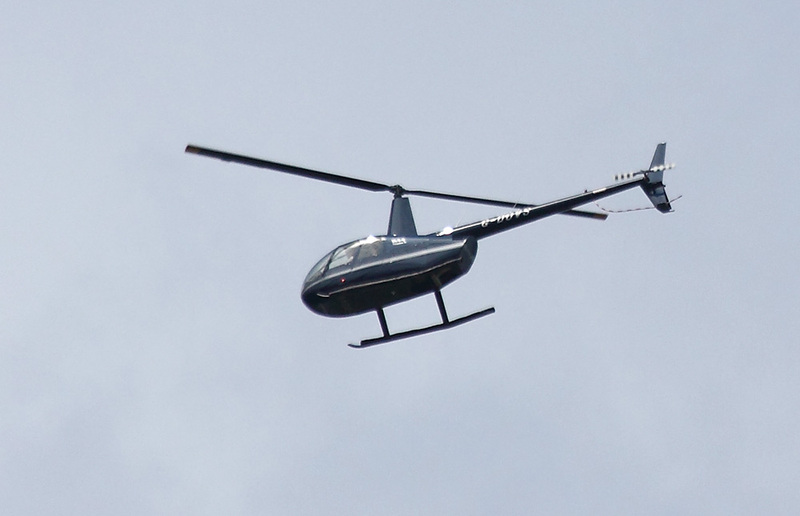 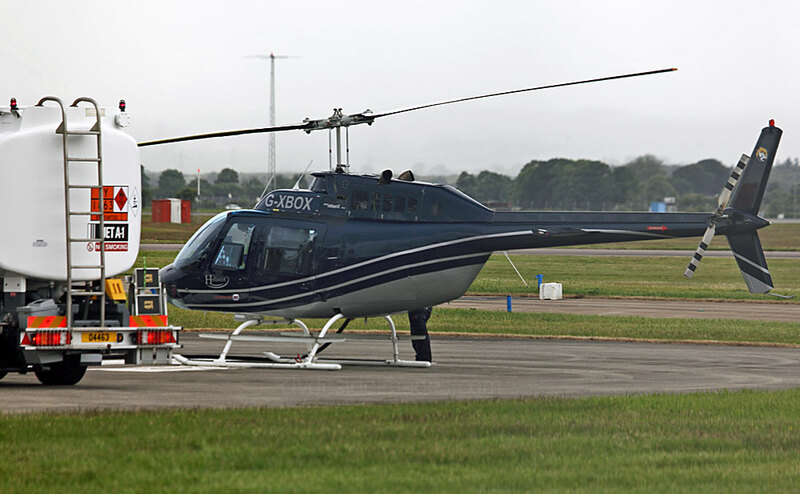 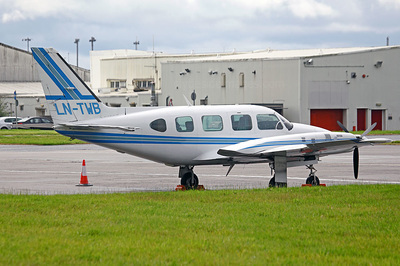 Bell 206 Jet Ranger G-ONTV was operating pleasure flights locally from a farm near Bishopton (30th); ​A330-223 LZ-AWA BH Air, Boeing 737-86Q EC-III Air Europa, Challanger CL650 9H-WII (f/v), Cessna 425 N425HB (31st). 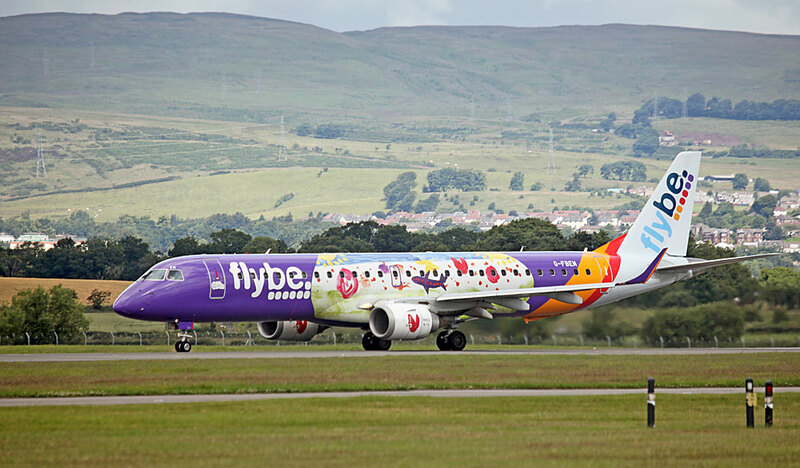 Flybe`s recent UK-wide art competition held in support of its charity partner, Cancer Research UK Kids & Teens, was won by five-year old Meg Clark from Kent. 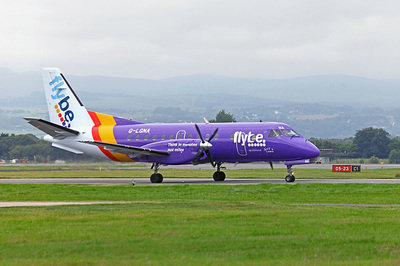 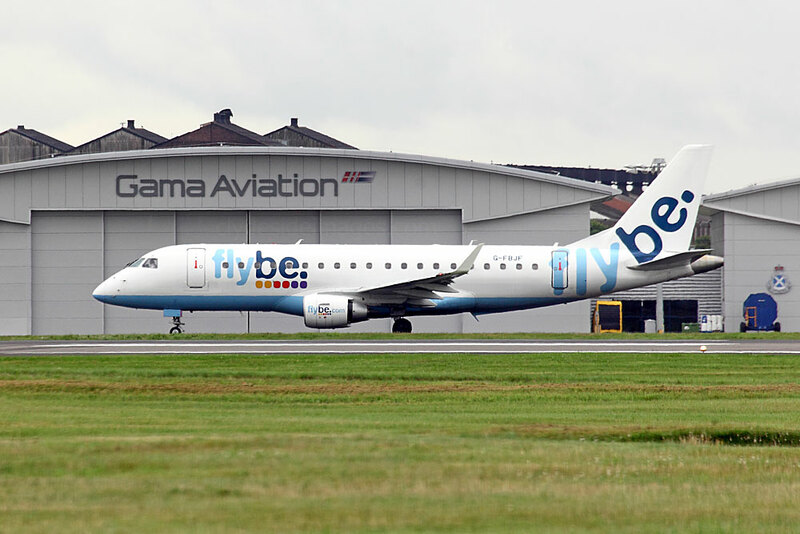 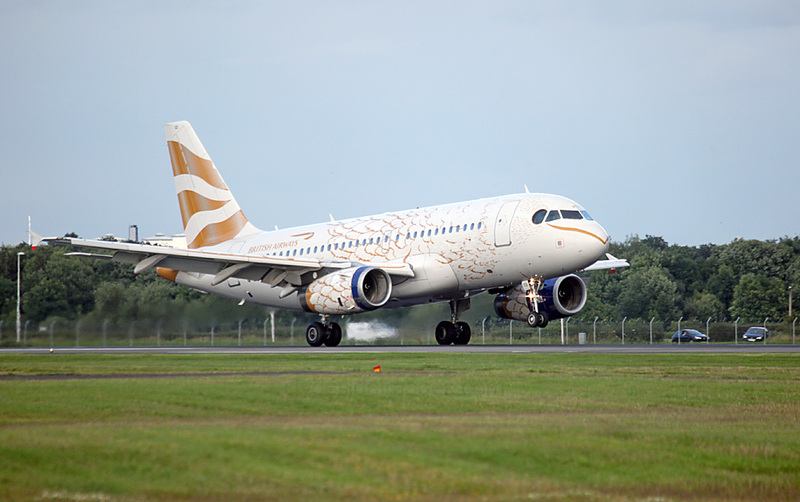 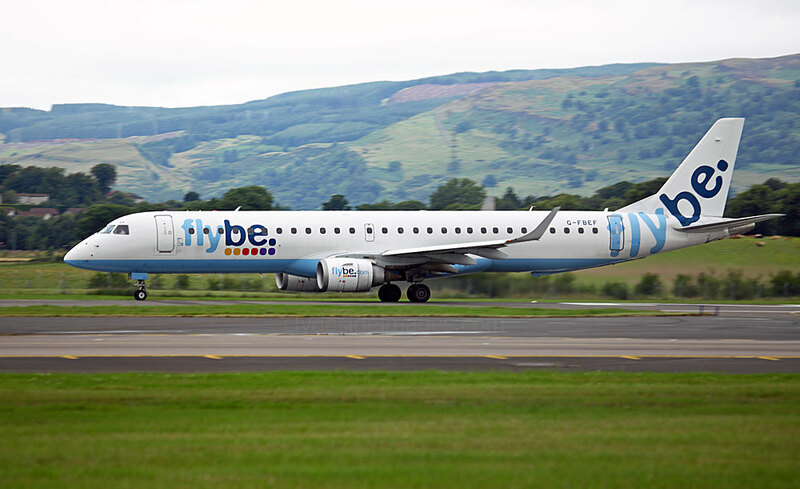 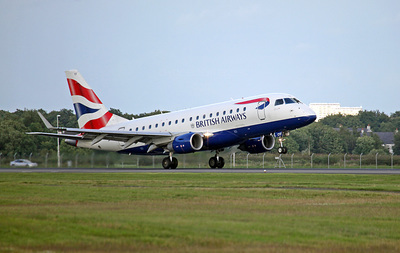 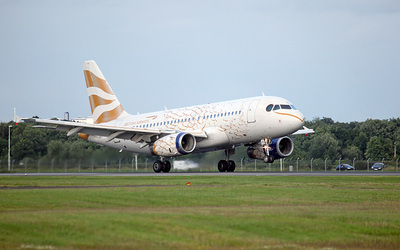 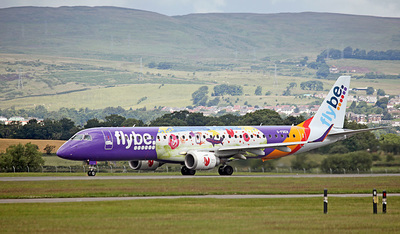 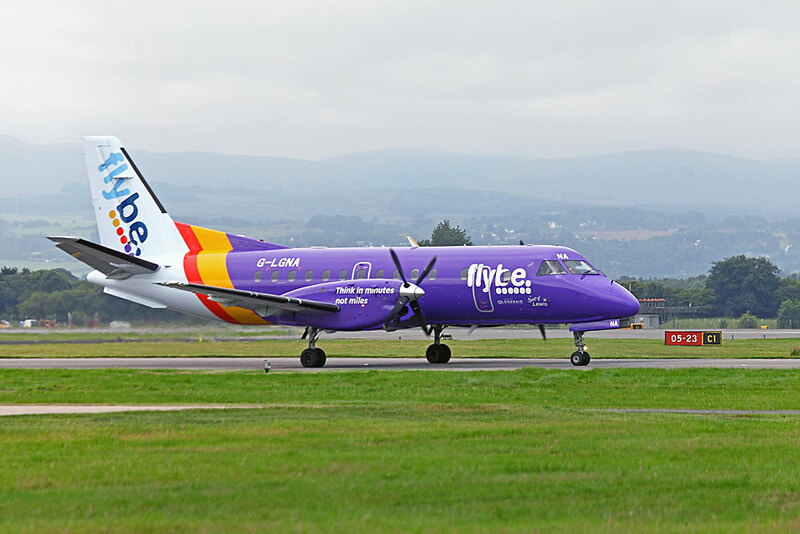 Her design now adorns G-BFEN, the airline's first purple branded Embraer 195 jet, which has called in at Glasgow a few times this month. 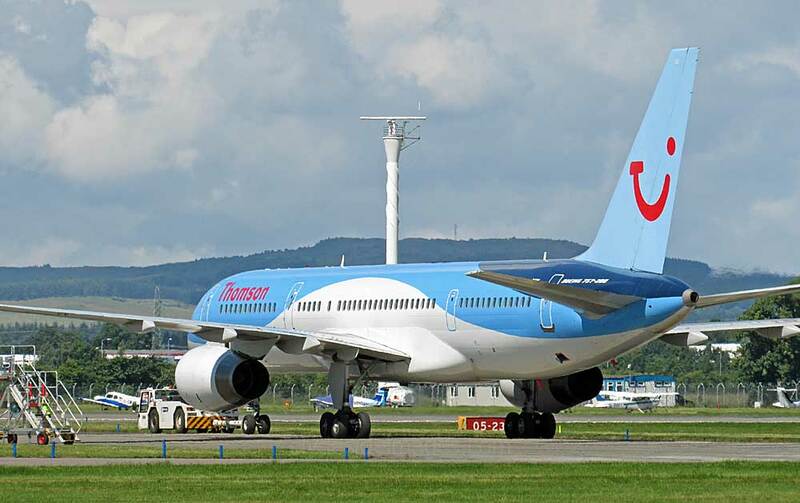 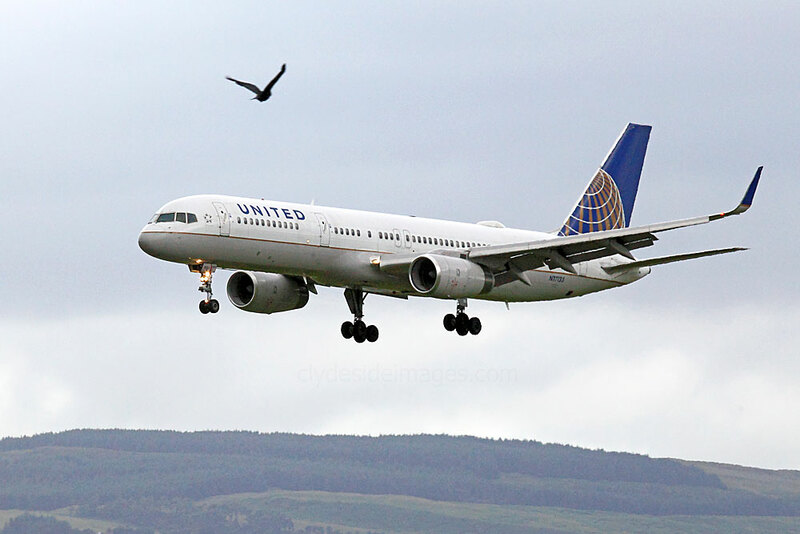 ​Driving by the airport on Thursday 21 July, I saw this tug towing Thomson Boeing 757 G-CPEU past Area Juliet, apparently after the airliner had `went tech`. 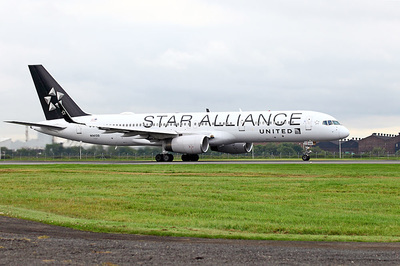 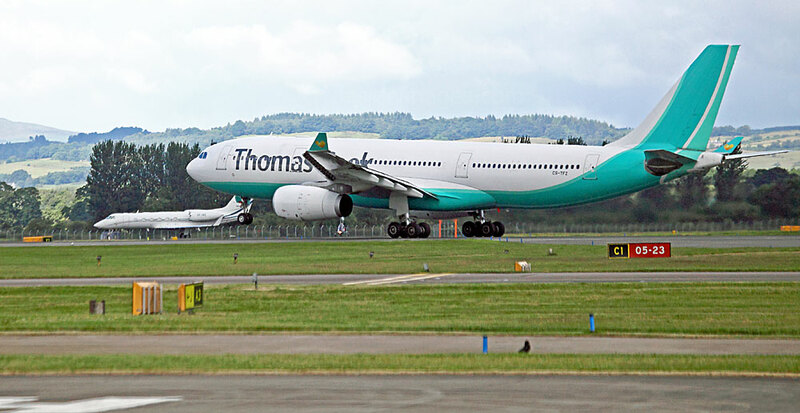 It came to a halt on what looked like Taxiway `C` and steps were brought over to allow the crew to disembark. 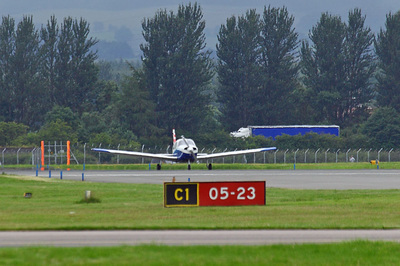 This was the first time I`d seen an aircraft parked at this spot. 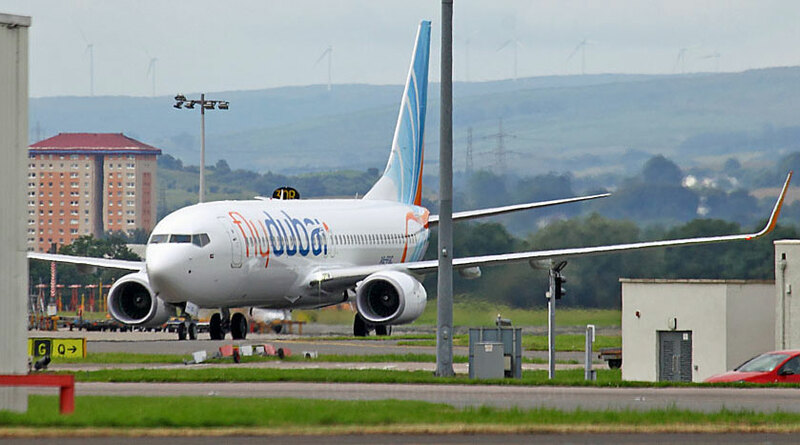 ​Legally the Dubai Aviation Corporation, `flydubai` is a government-owned low-cost airline with its base in Terminal 2 of Dubai International Airport. 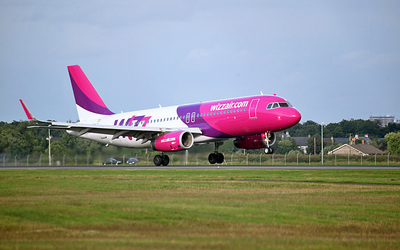 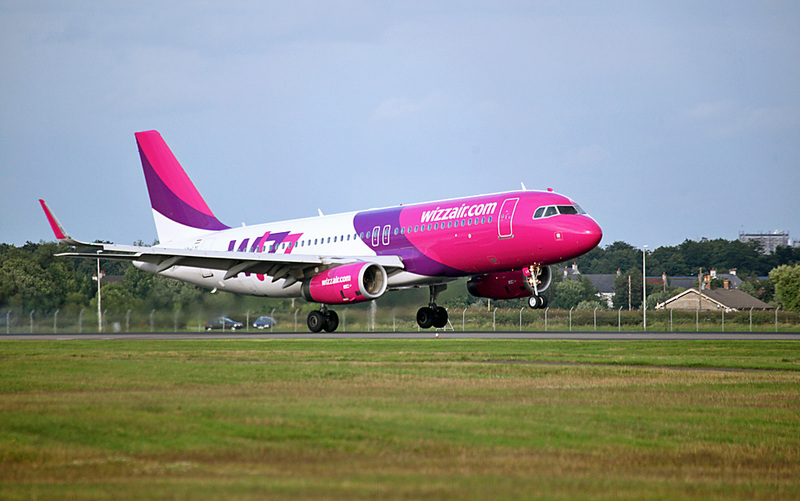 The airline serves a total of 95 destinations from there, throughout the Middle East, Africa, Asia and Europe. 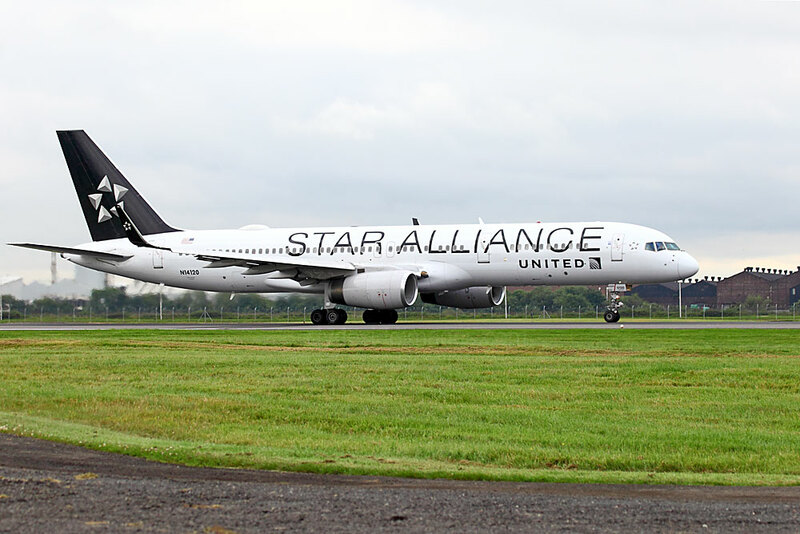 ​The airline began operations in 2009 ​and has steadily increased its fleet to over 50 Boeing 737-800s with several more on order. An additional order has been placed for 75 Boeing 737 MAX8s. 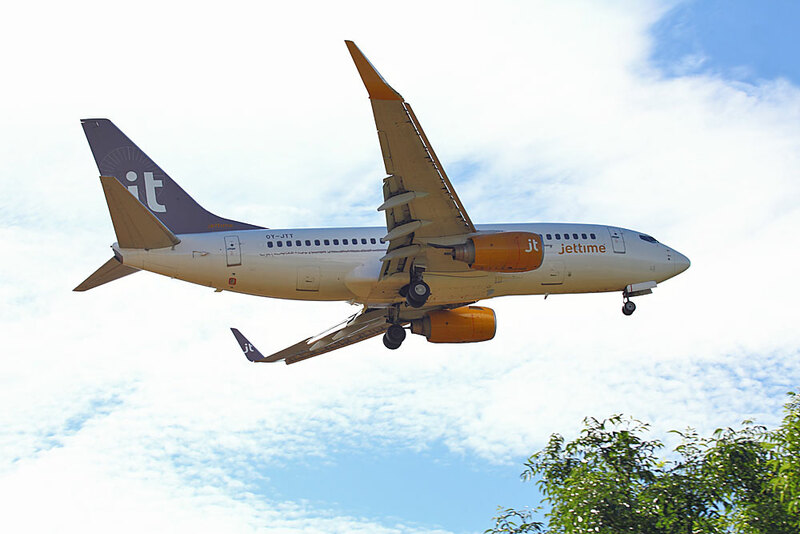 The MAX is the fourth generation of the 737 family, the first being scheduled for delivery (to a US customer) sometime next year. 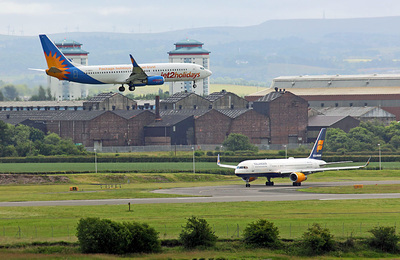 Hopefully those destined for flydubai will come through Glasgow. 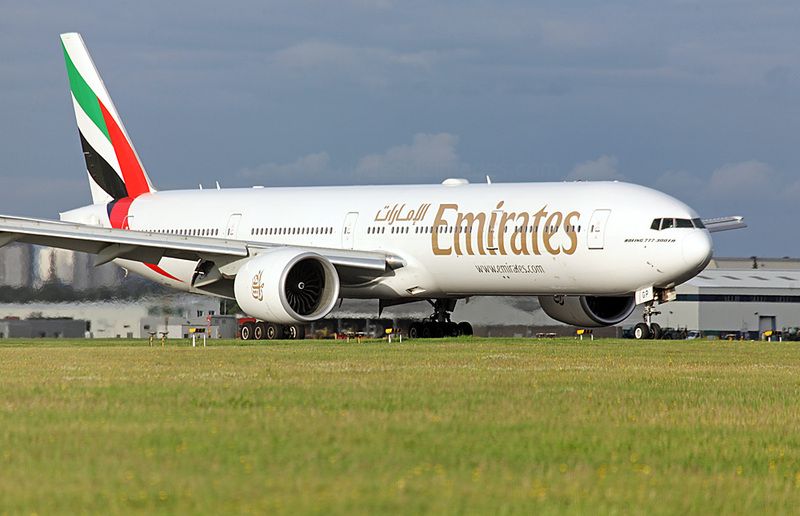 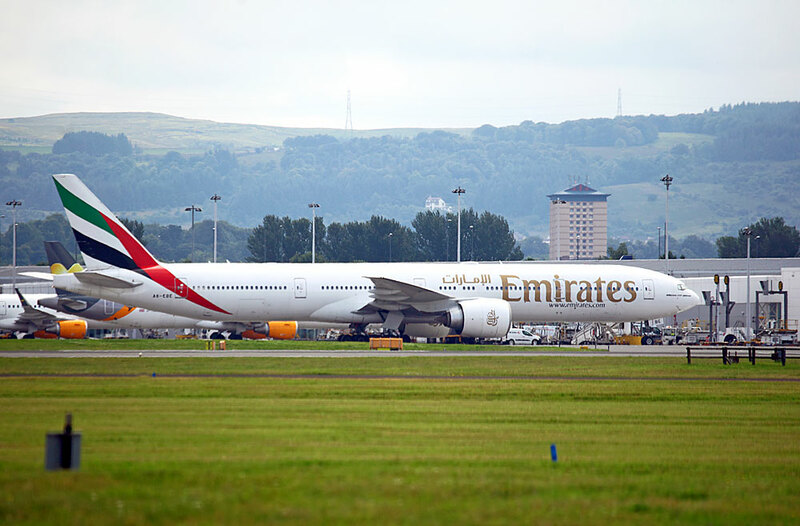 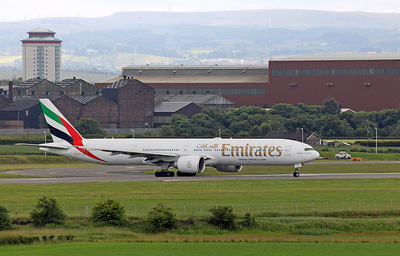 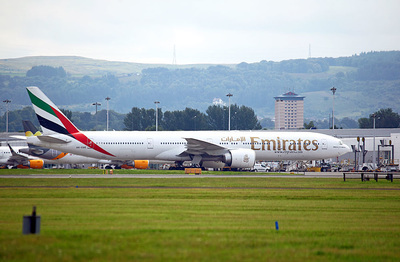 Boeing 777-31HER A6-EGP operated the second Emirates flight of the day on 12 July. On Friday 8 July, Icelandair Boeing 757 TF-FIJ, about to depart via Runway 23, taxis past Area `Juliet`. 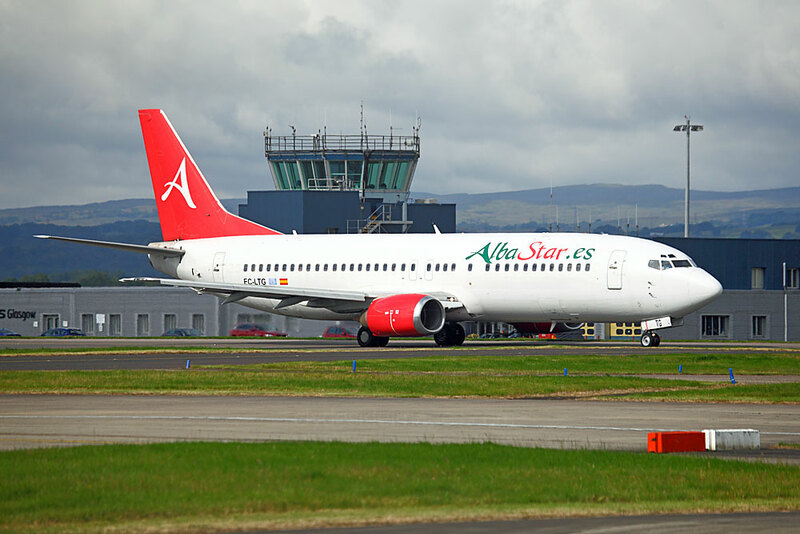 EC-LTG Alba Star Boeing 737-4K5 was photographed on the last day of the month. 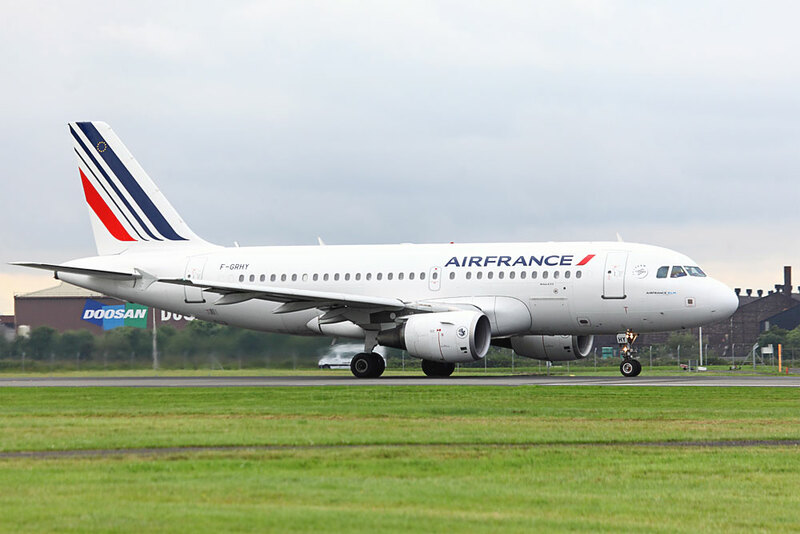 F-GRHY Air France Airbus A319-111. 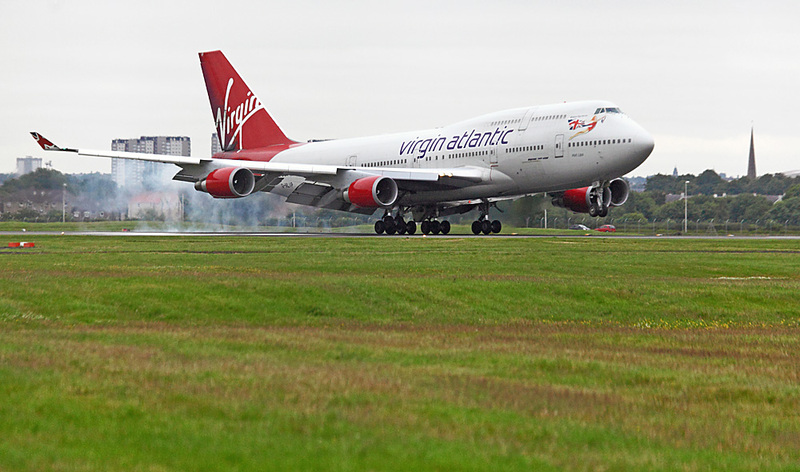 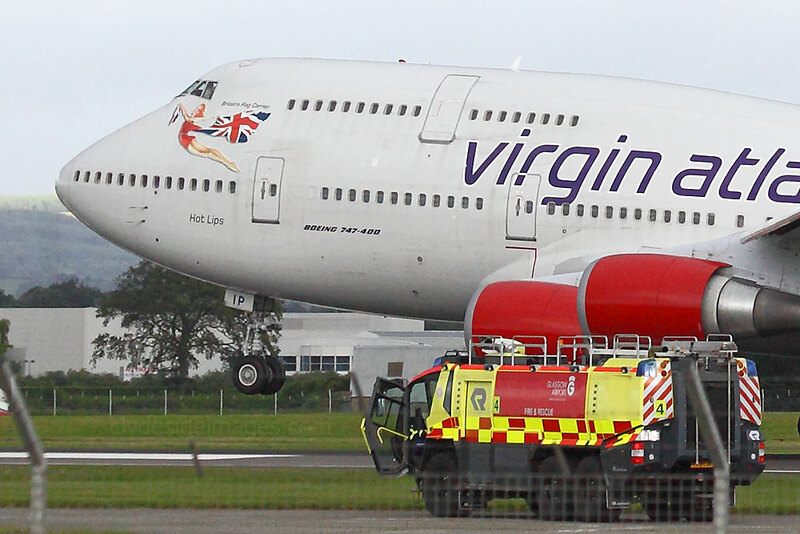 Virgin Atlantic Boeing 747-443 G-VLIP touches down on Glasgow Fair Friday, 15 July, just before the traditional torrential downpour began! 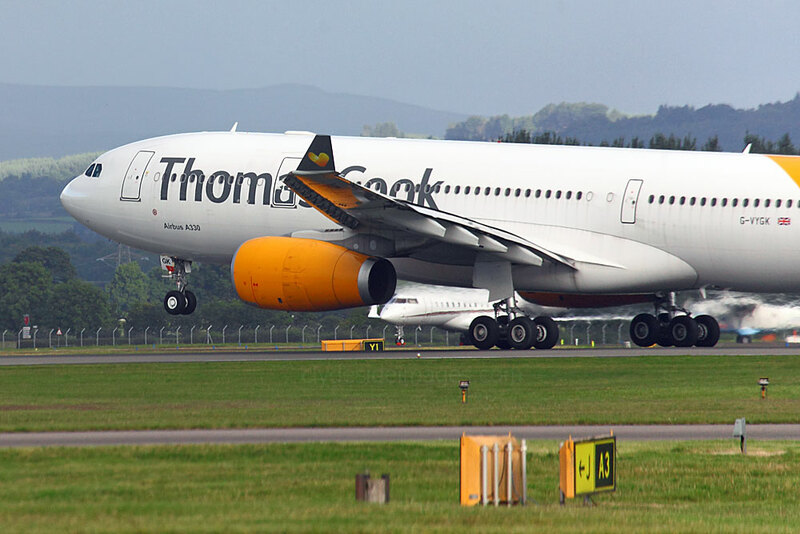 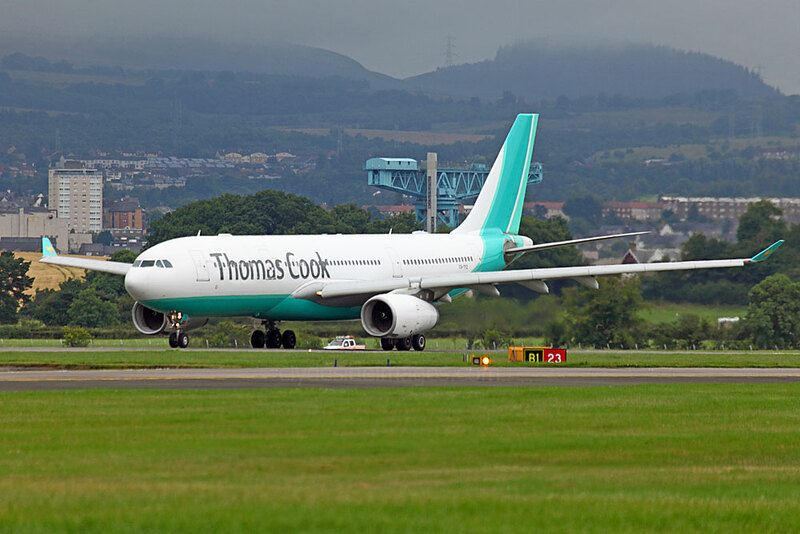 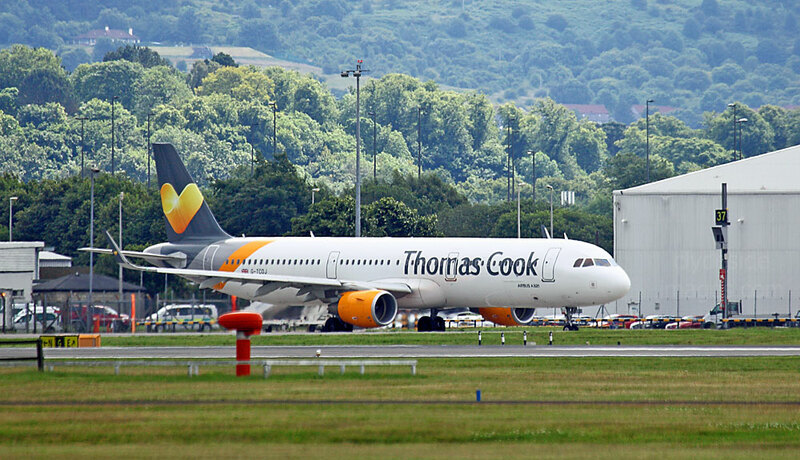 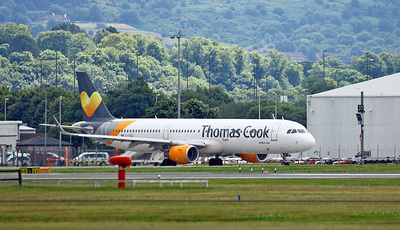 Portuguese-registered Hi Fly Airbus A330-243 CS-TFZ now sports Thomas Cook titles. 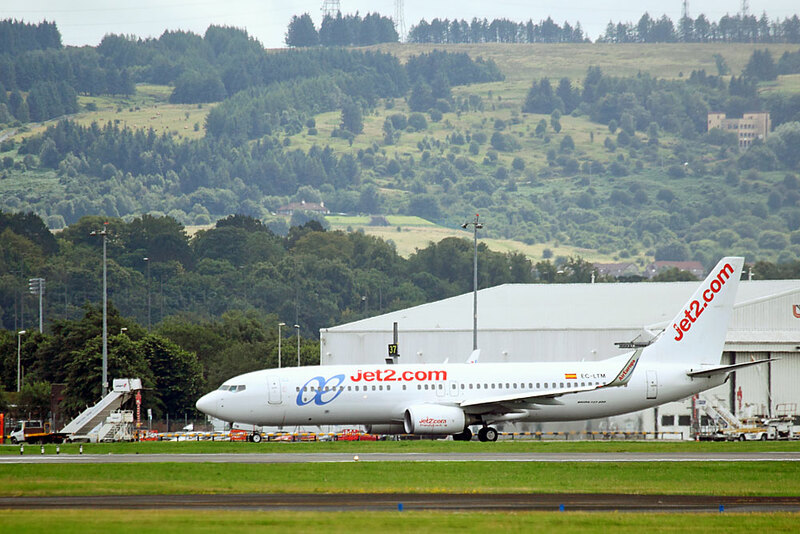 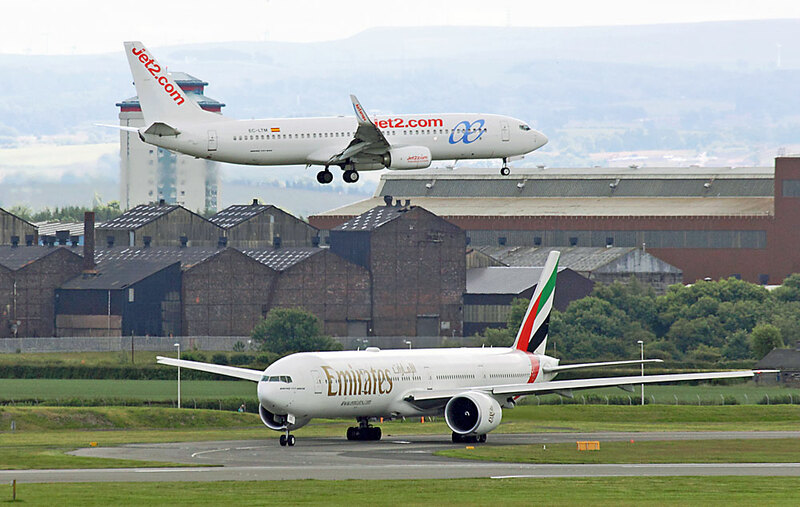 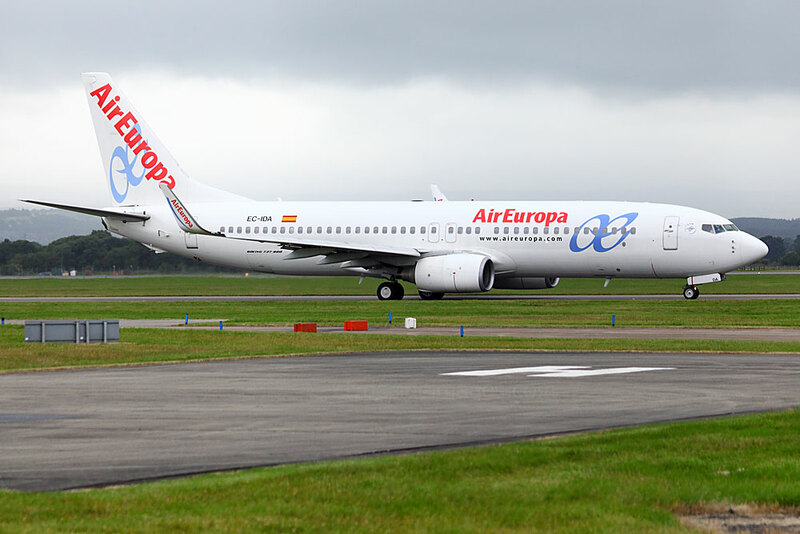 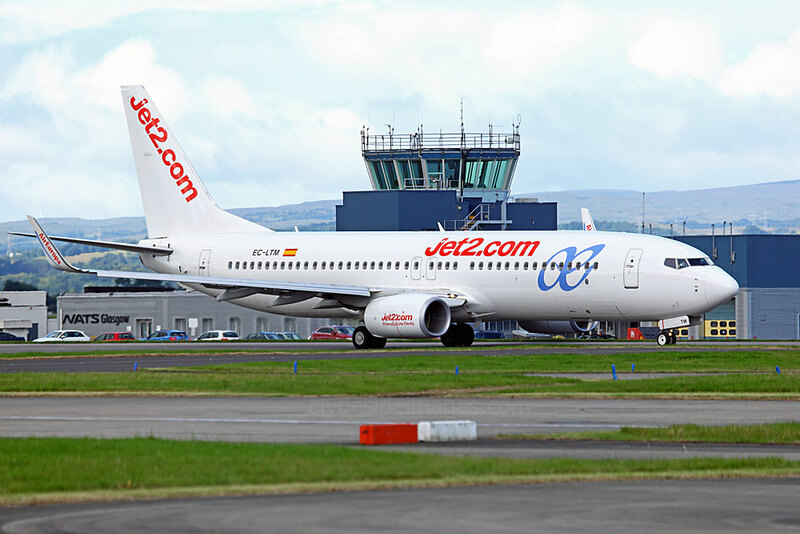 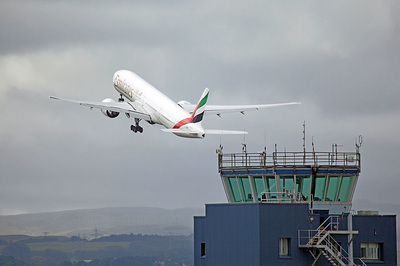 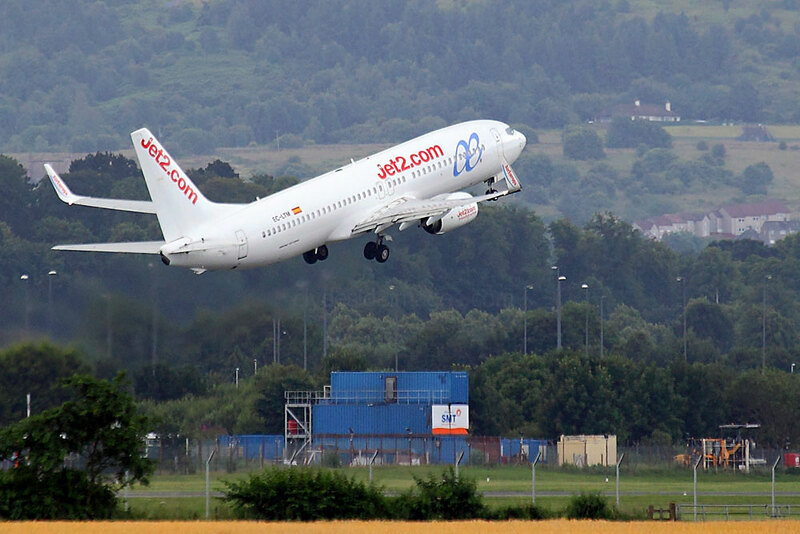 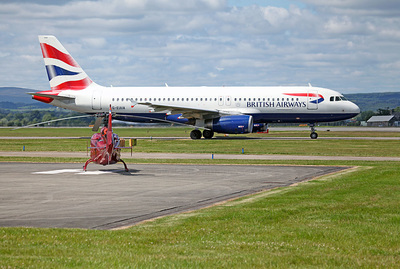 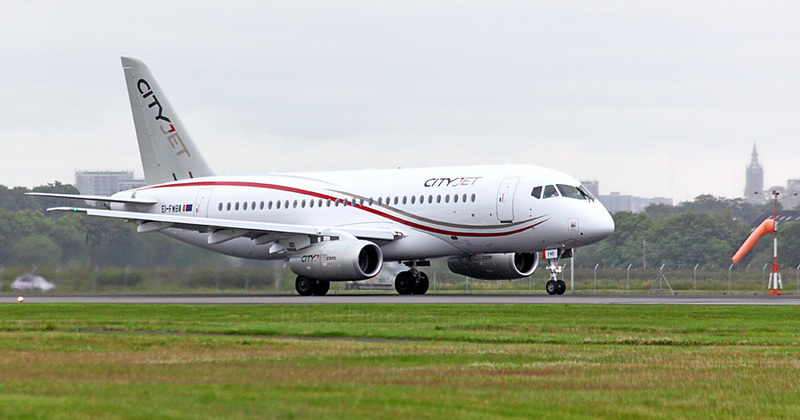 On Friday 8 July, Emirates Triple-seven A6-EGS holds at `Alpha One` while Jet2`s ex-Air Europa Boeing 737 EC-LTM lands. 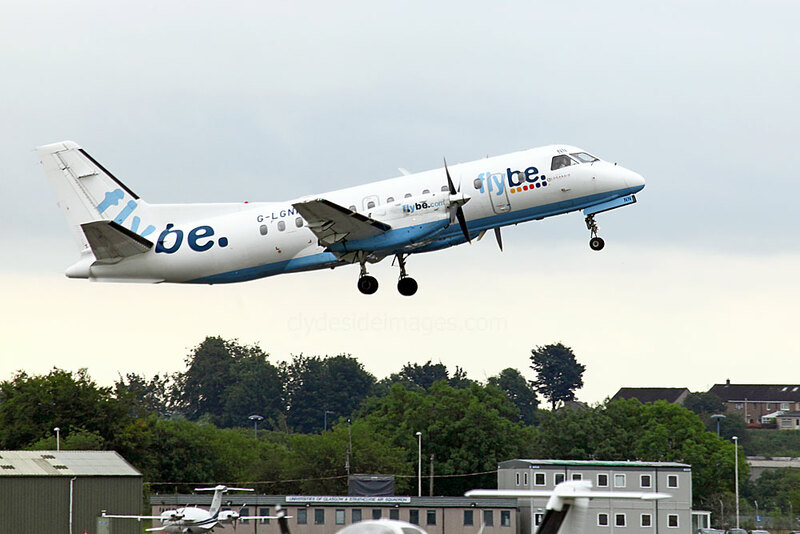 Flybe Bombardier DHC-8-Q-402 G-ECOG touches down in the evening sunshine, Tuesday 12 July. 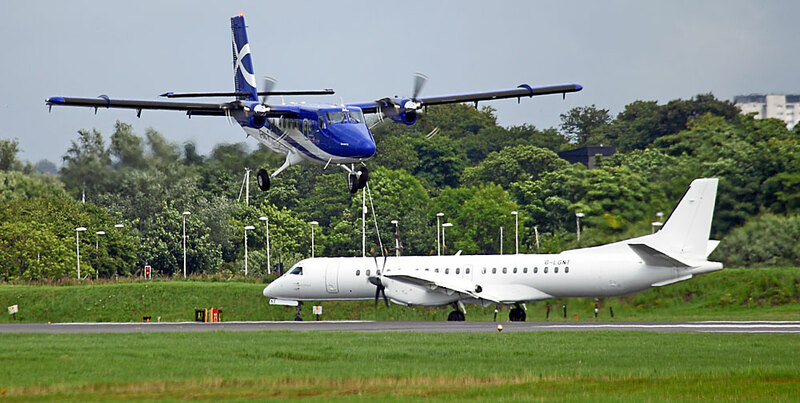 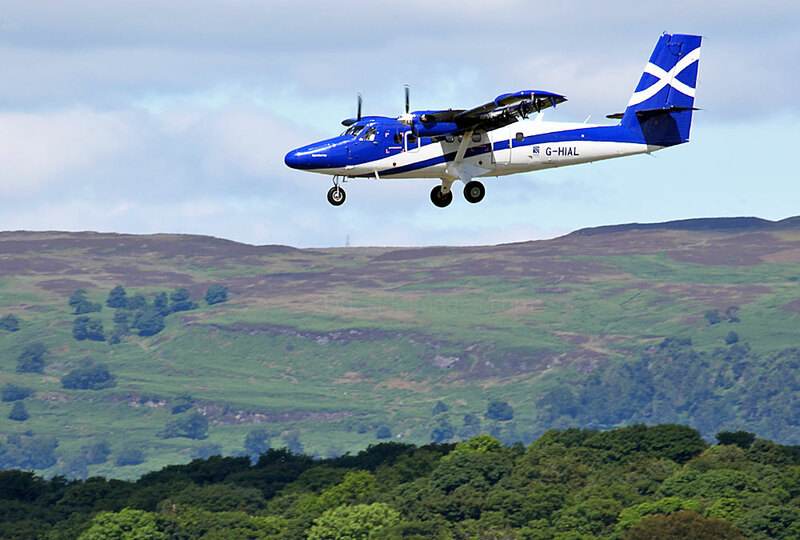 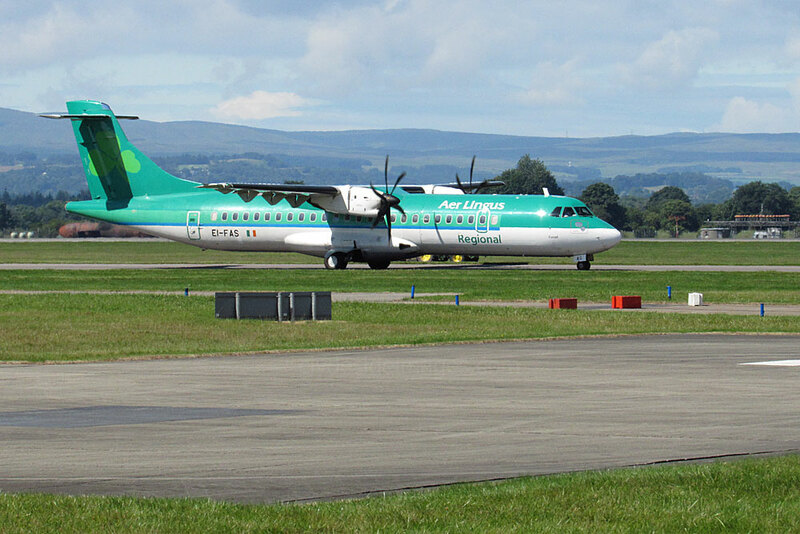 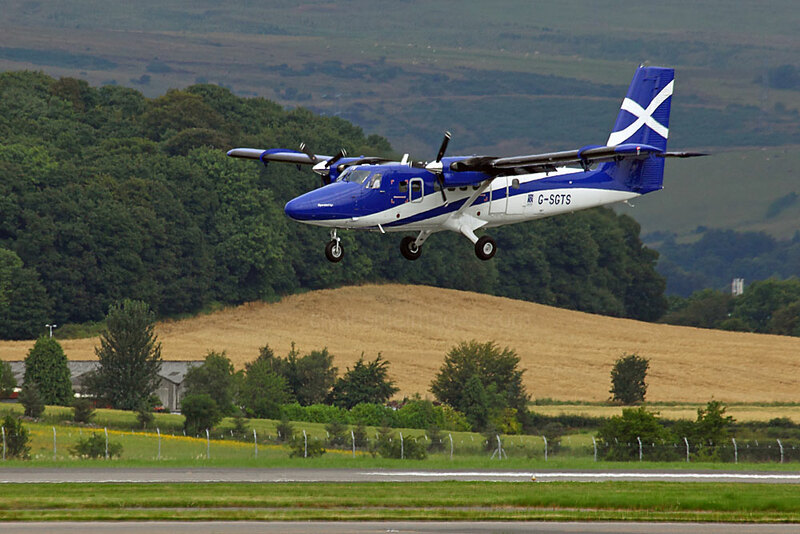 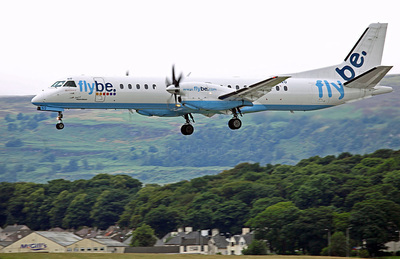 Loganair Pair: Twin Otter G-HIAL and Saab 2000 G-LGNT. 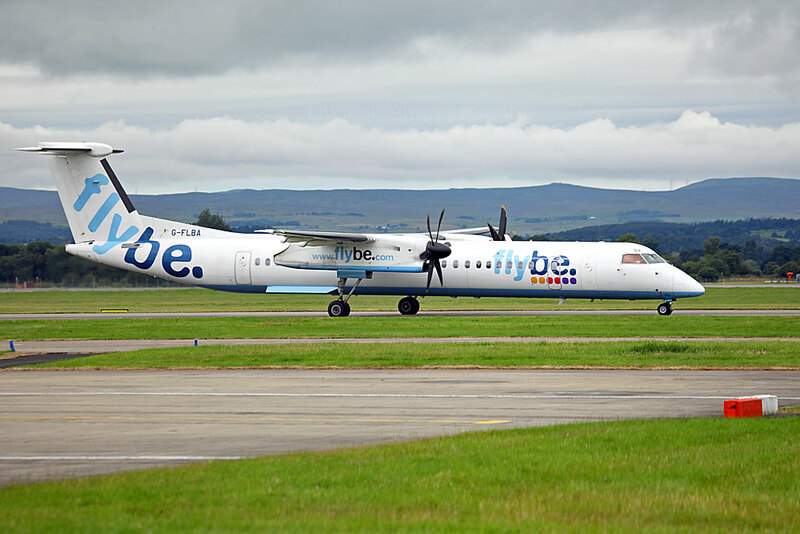 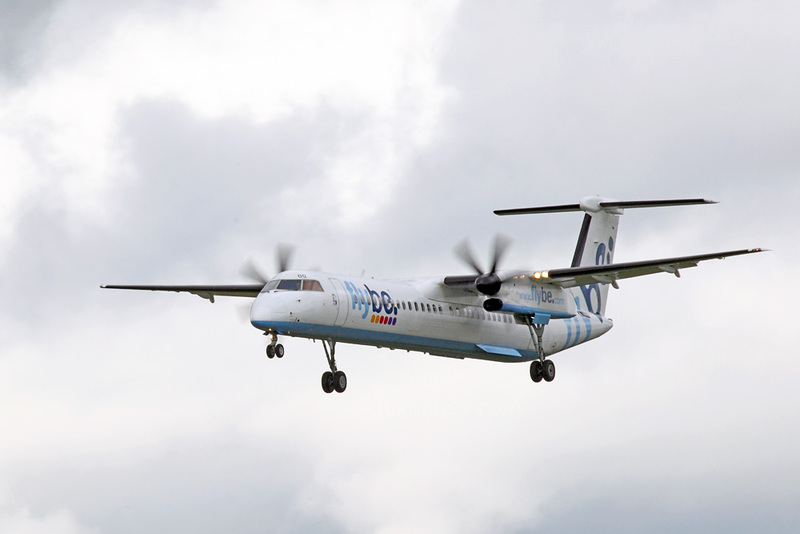 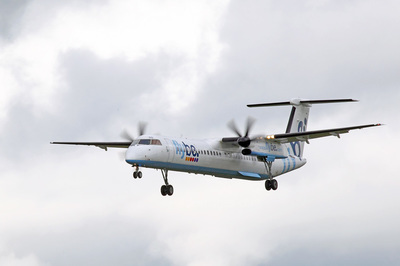 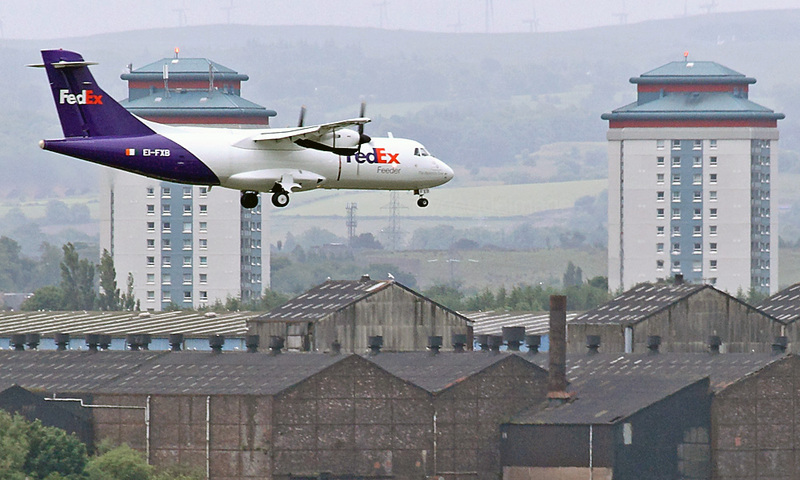 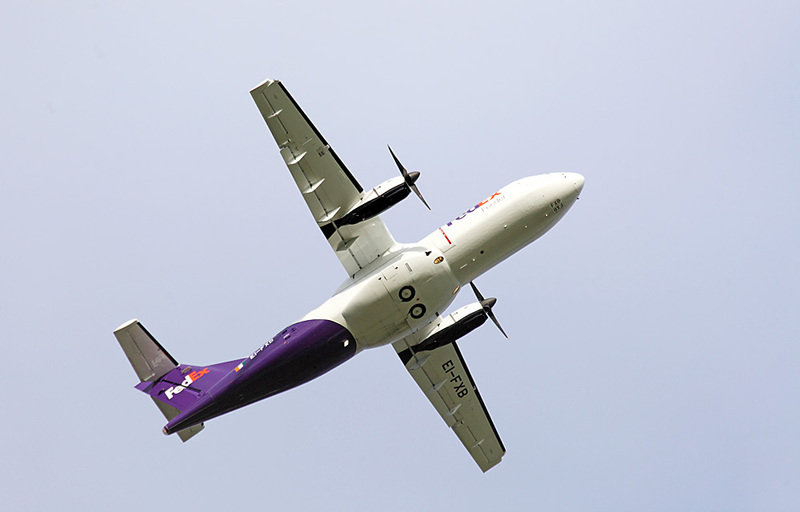 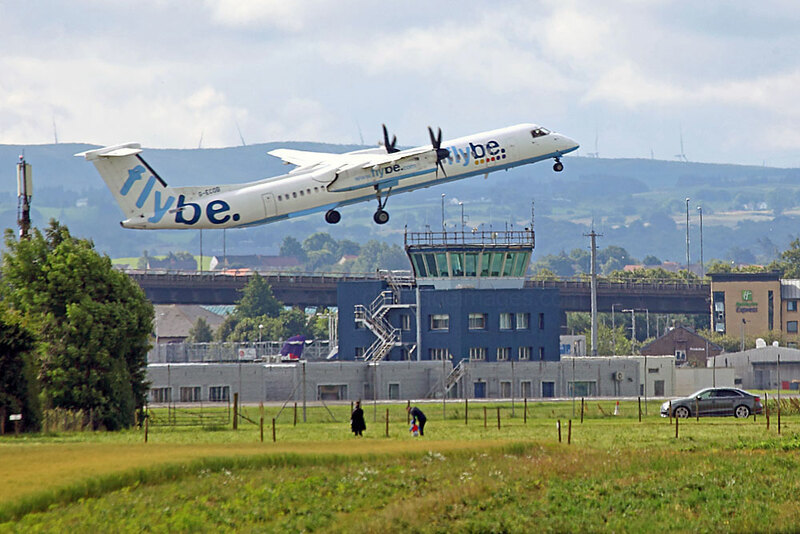 Flybe Dash 8 G-FLBA lifting off from Runway 23, Monday 25 July. 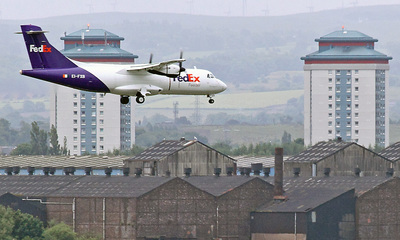 Area `Juliet` mid-afternoon on Saturday 16 July. 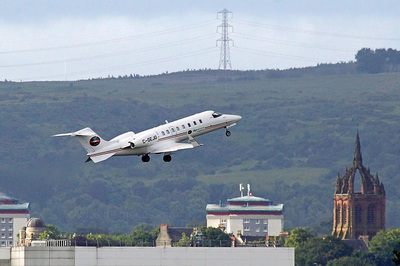 Bombardier Challenger 350 CS-CHE of NetJets Europe is seen here departing on the afternoon of 11 July after making its first visit to Glasgow. 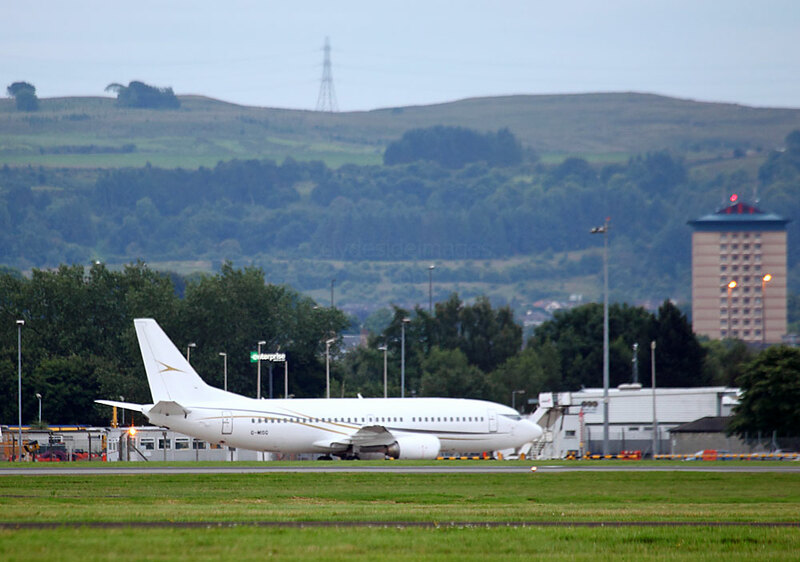 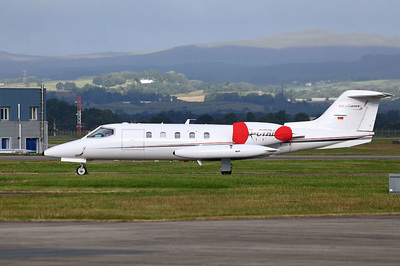 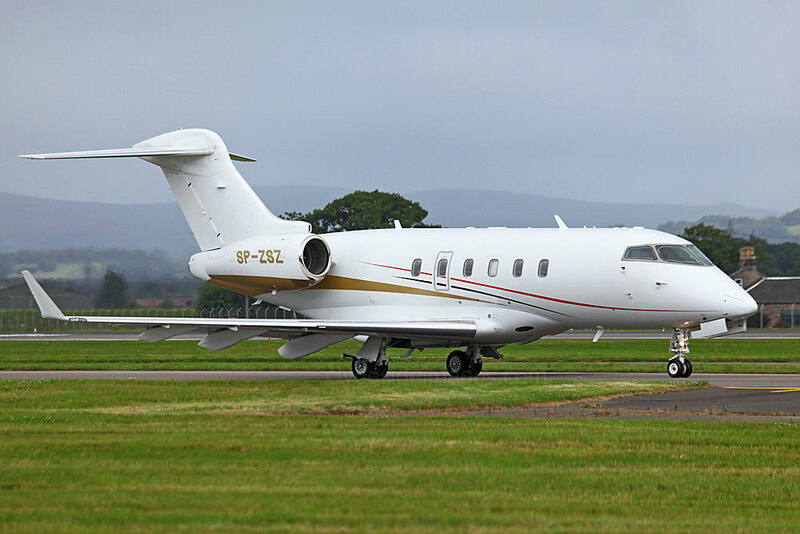 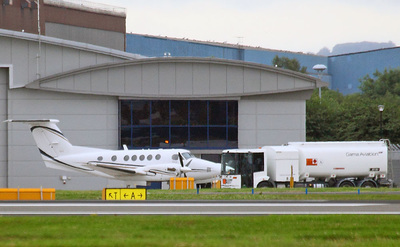 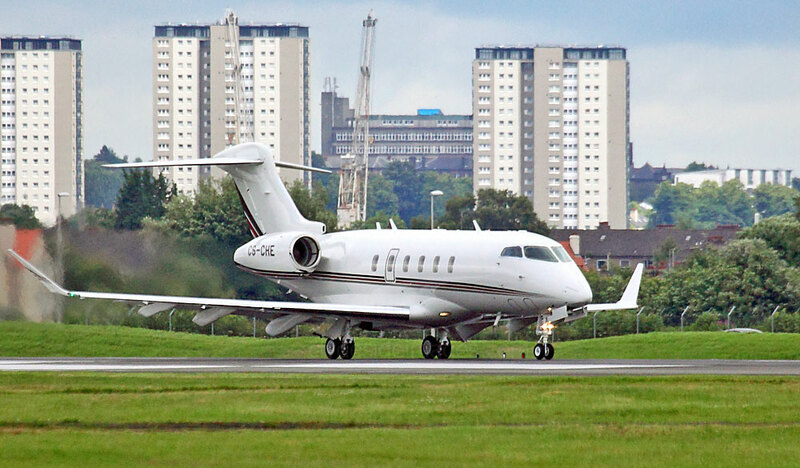 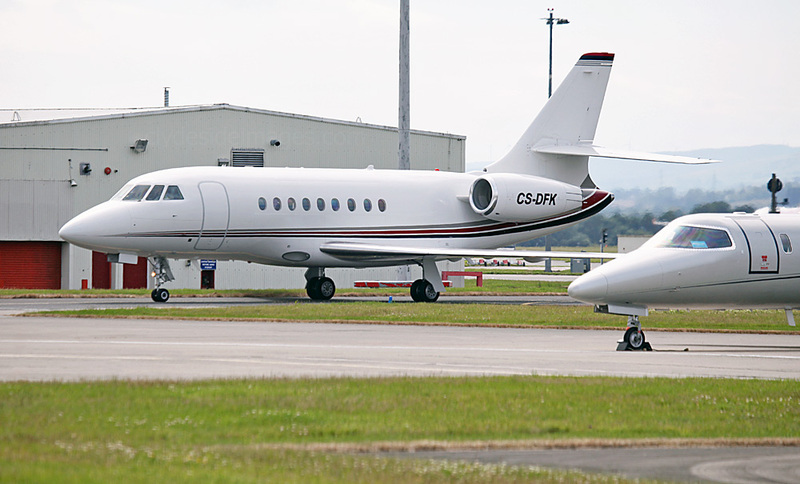 Atlas Executive Air`s Maltese-registered Raytheon Hawker 750XP 9H-BSA has visited Glasgow on numerous occasions. 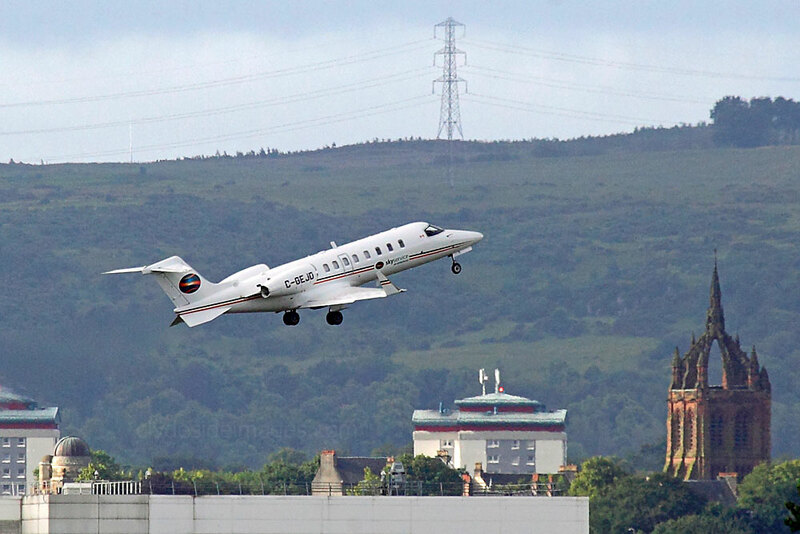 Learjet 45 C-GEJD of Skyservice Business Aviation departing Runway 23, Saturday 16 July. 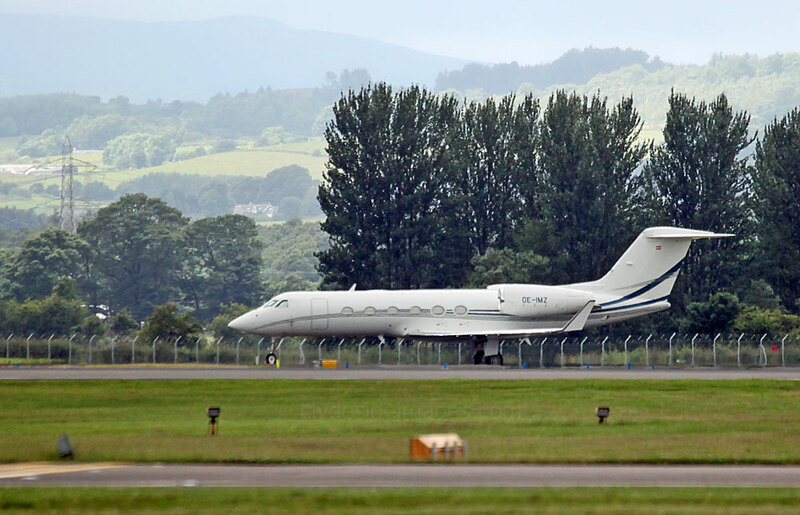 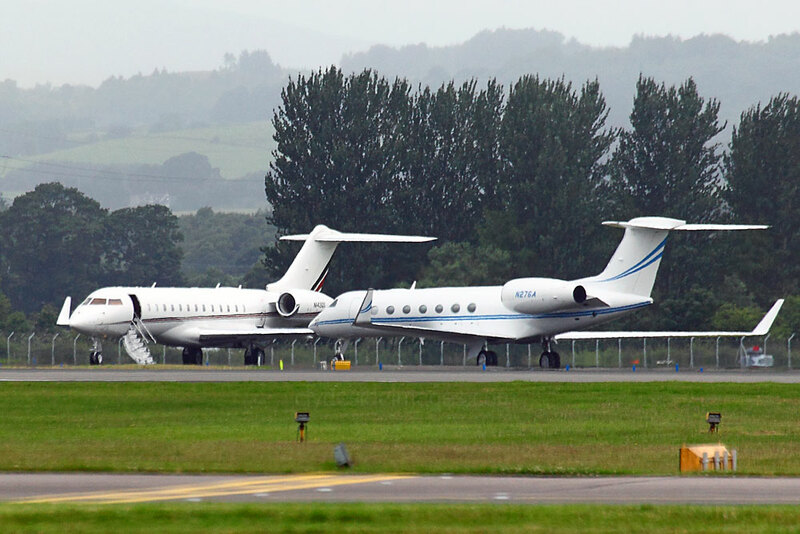 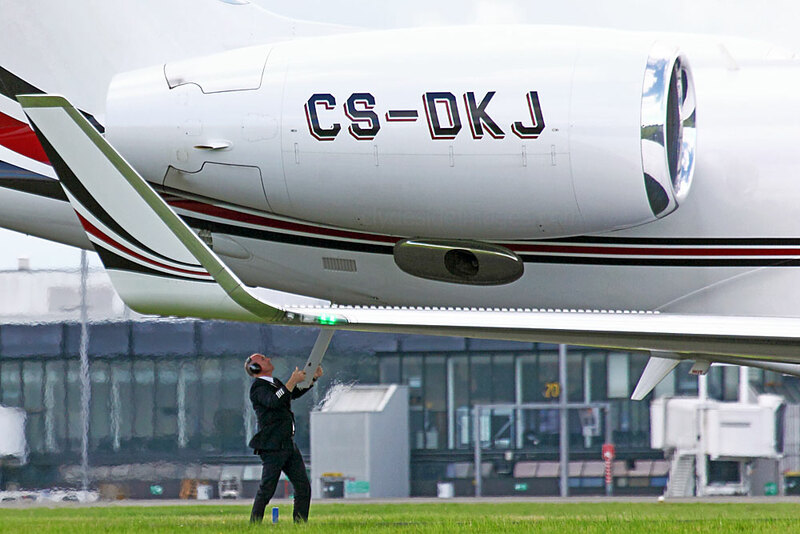 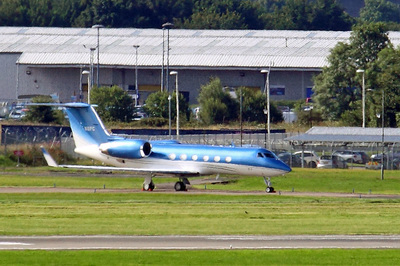 Austrian-registered Gulfstream G450 OE-IMZ (f/v), pictured here on Monday 11 July, had arrived the previous day. 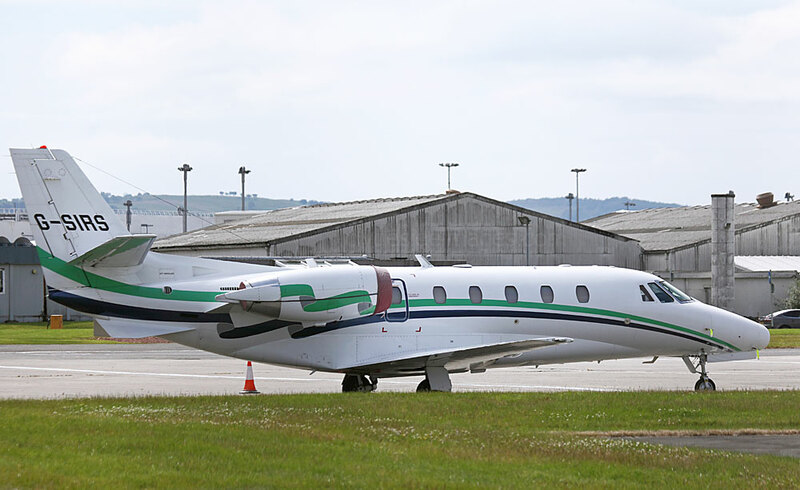 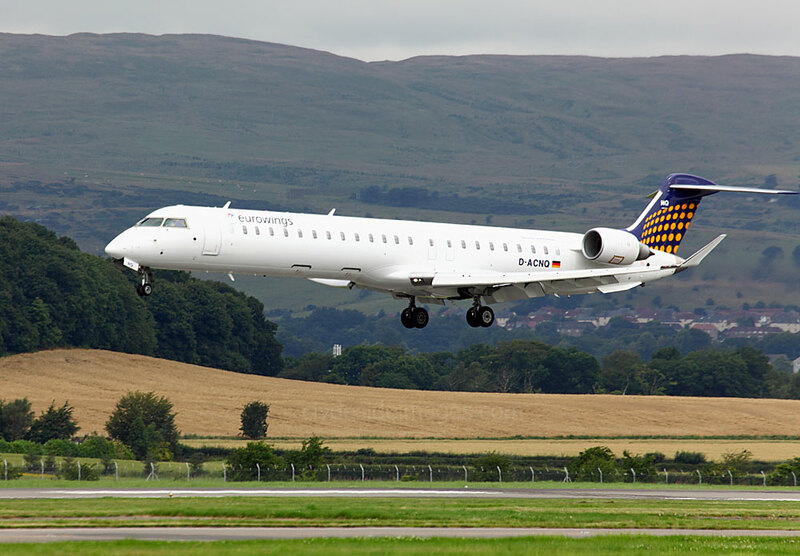 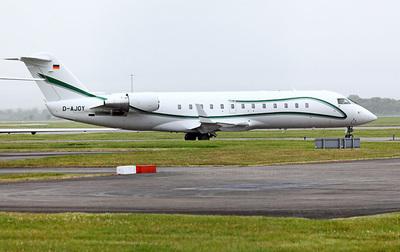 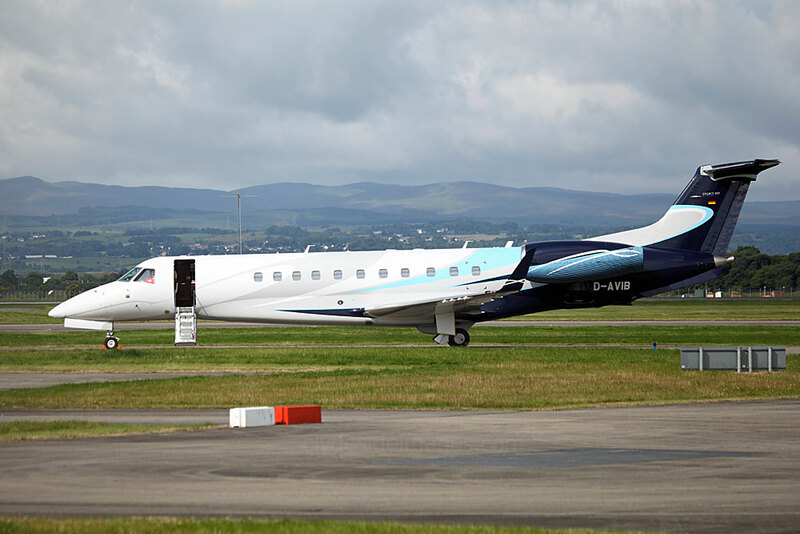 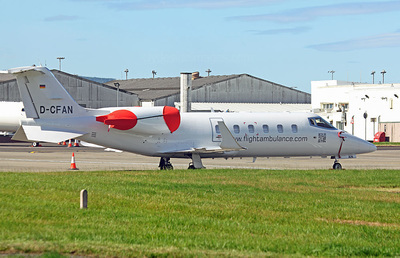 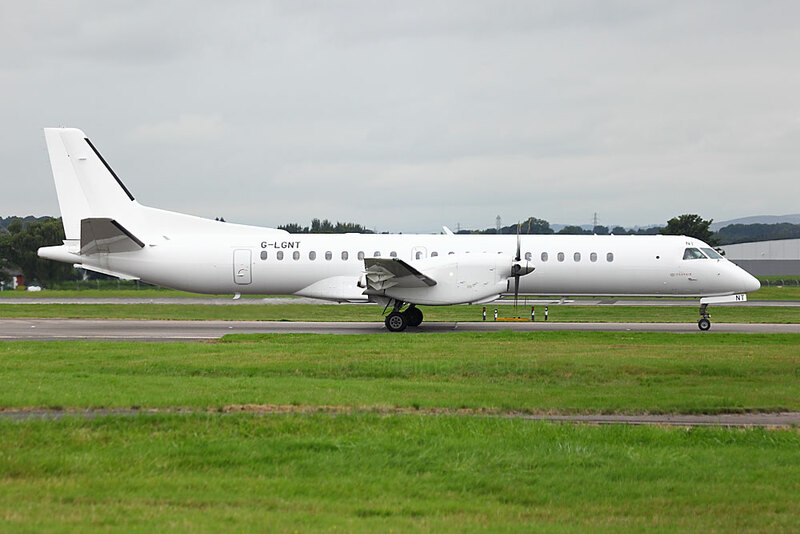 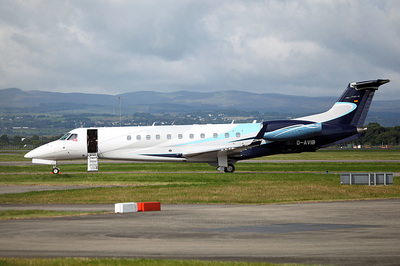 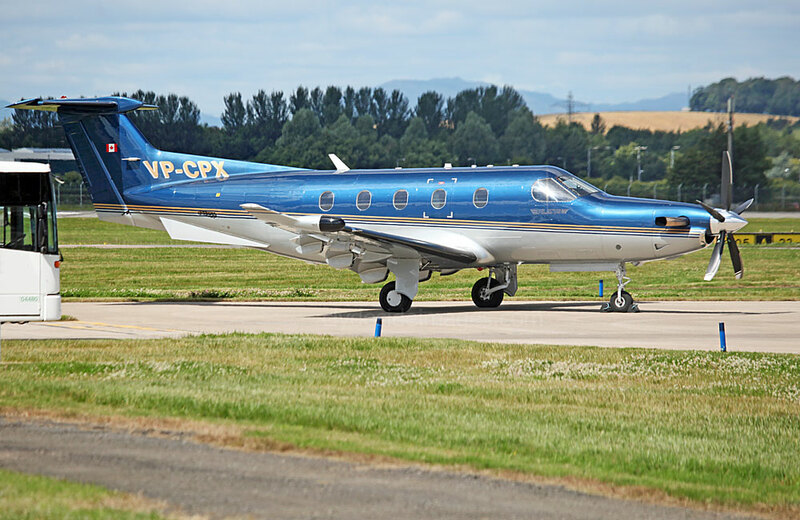 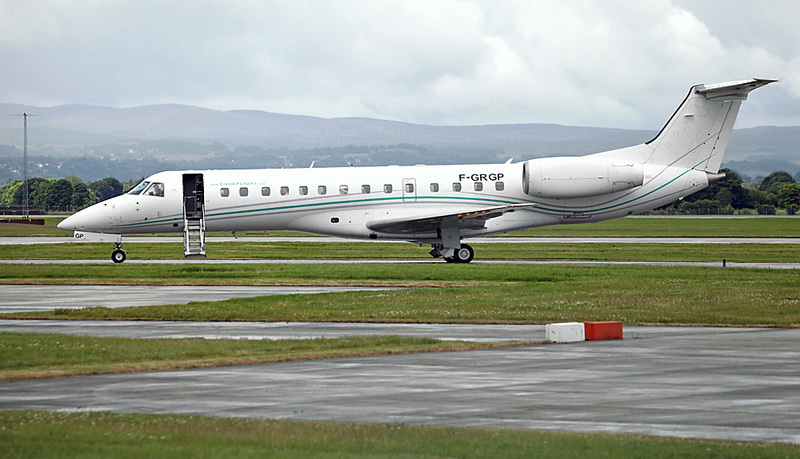 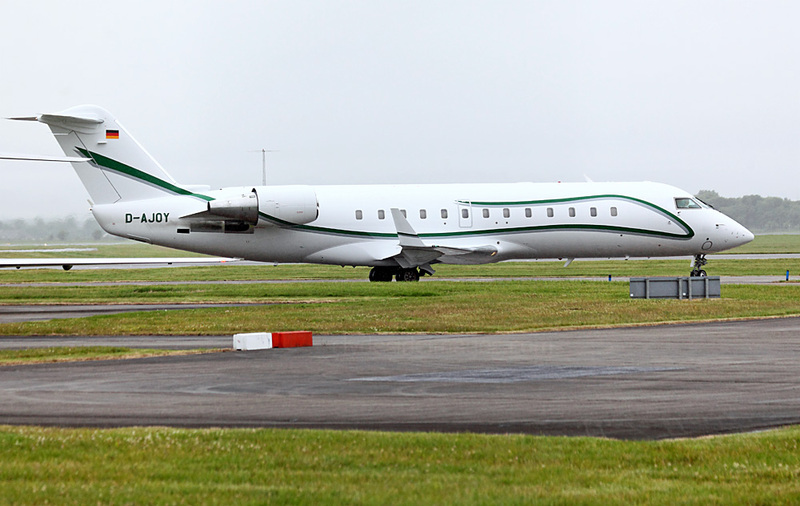 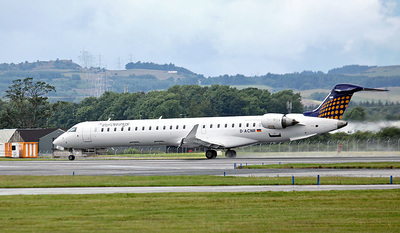 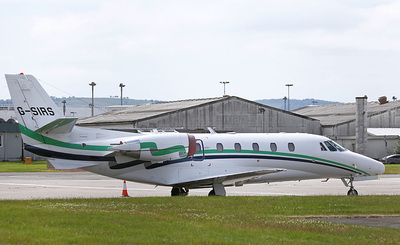 ​Embraer ERJ-135-ER F-GRGP of Equalflight Service, which is based in the Republic of Congo, Central Africa, called in on Wednesday 13 July. 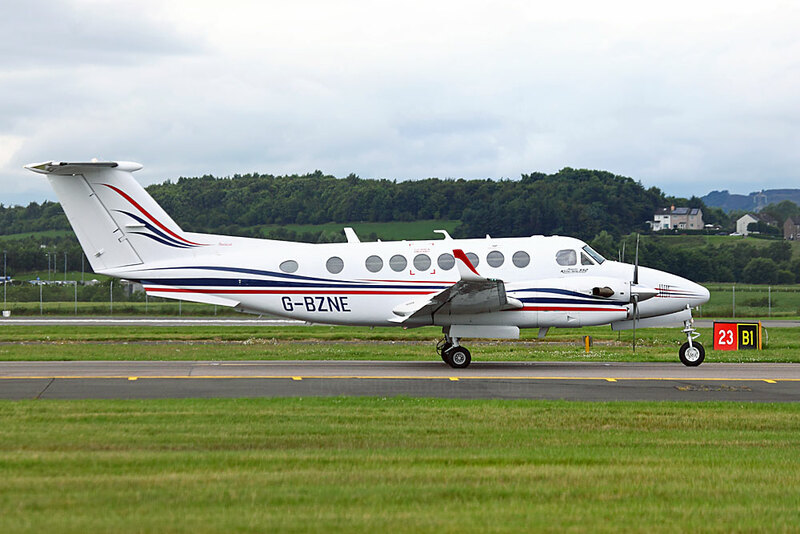 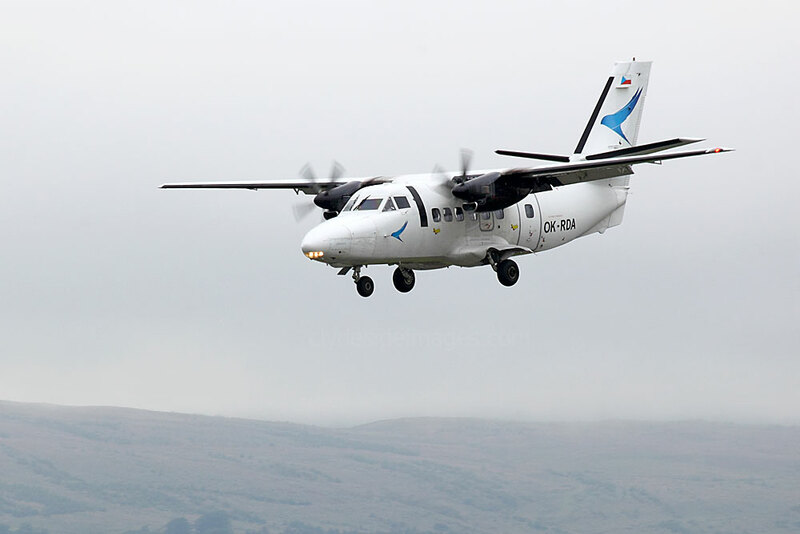 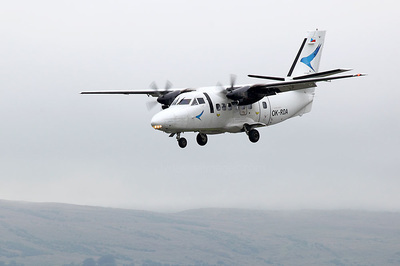 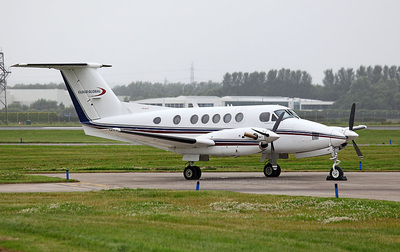 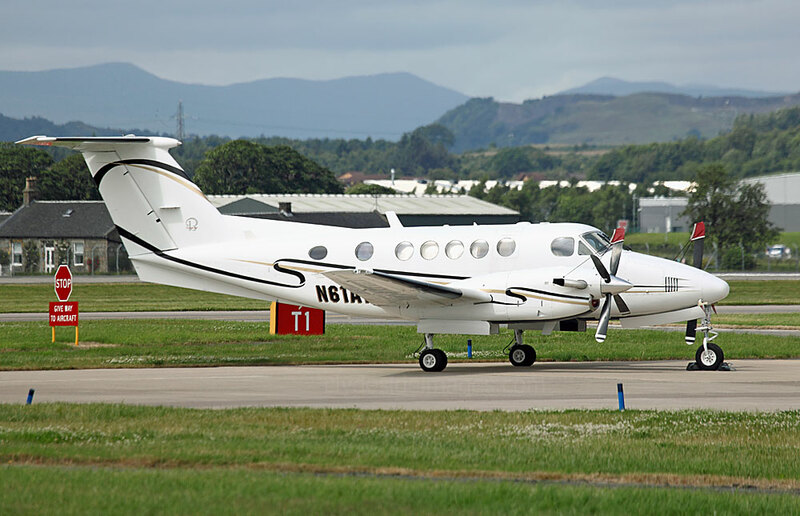 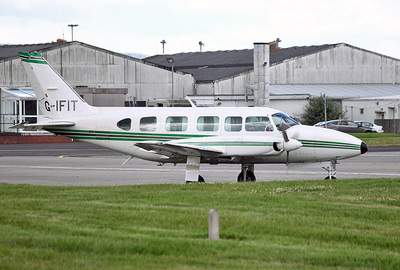 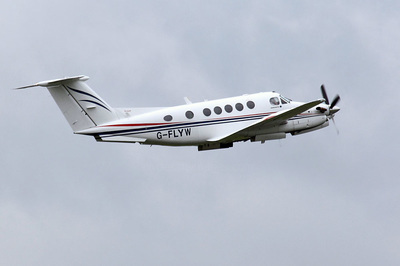 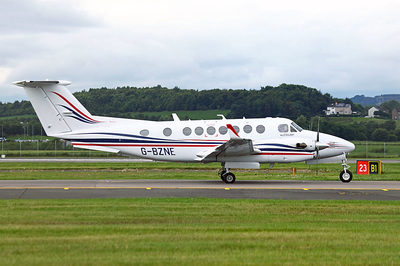 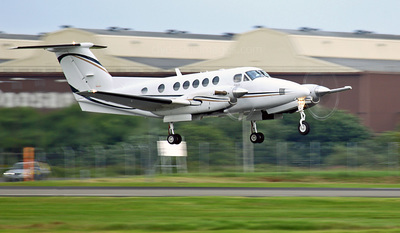 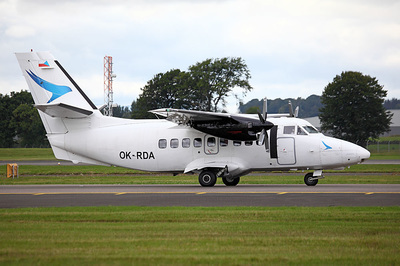 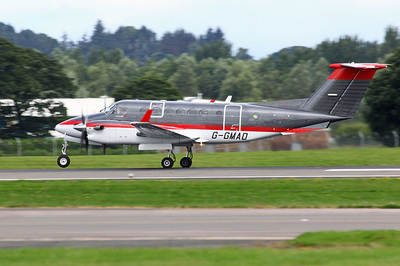 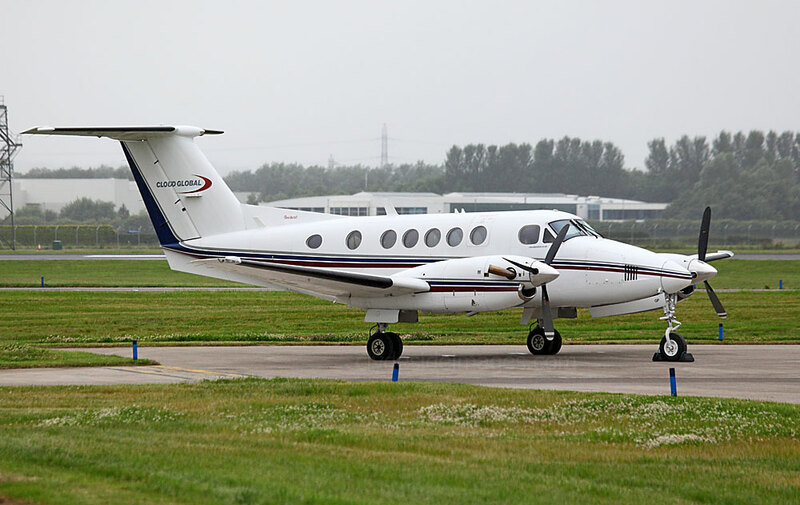 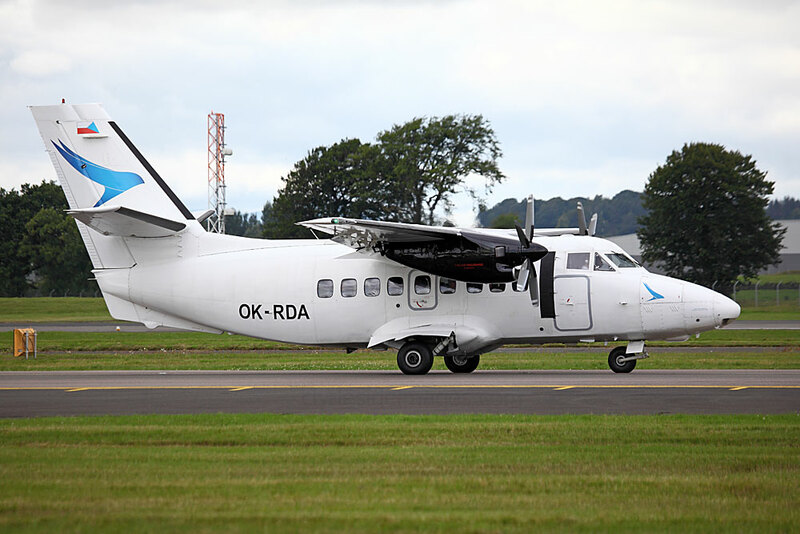 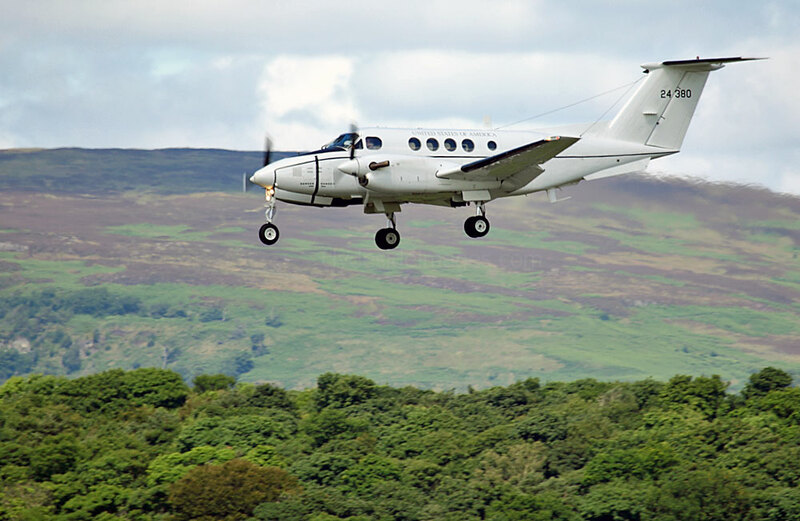 The company also have Beechcraft 1900C and Dornier Do228-200 aircraft in their inventory. 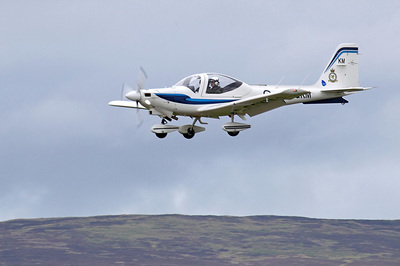 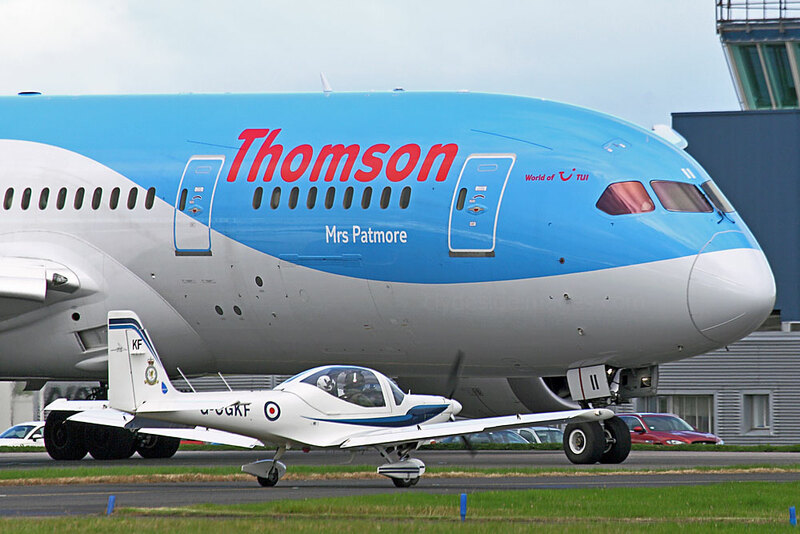 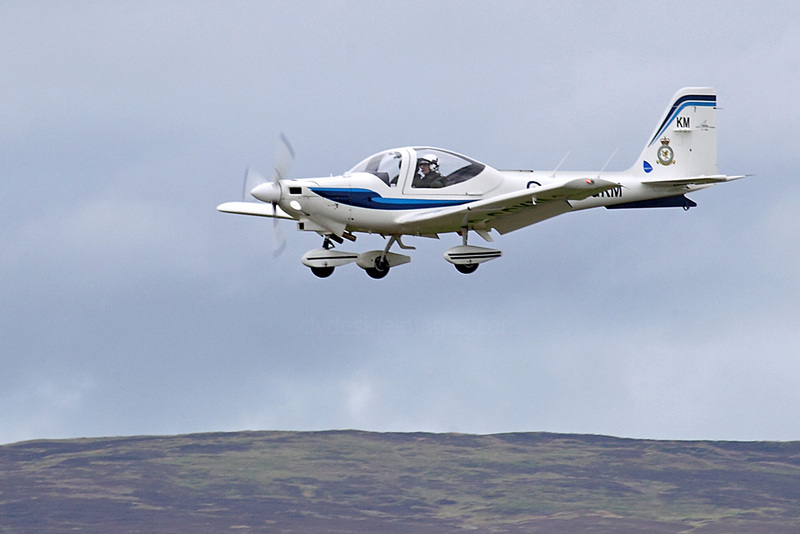 Grob G.115E G-CGKF of the University Air Squadron gives way to Thomson Dreamliner G-TUII before following on for a Runway 23 departure. 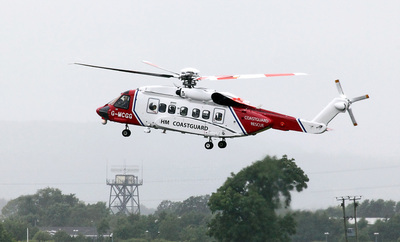 G-MCGG Sikorsky S-92A HM Coastguard. 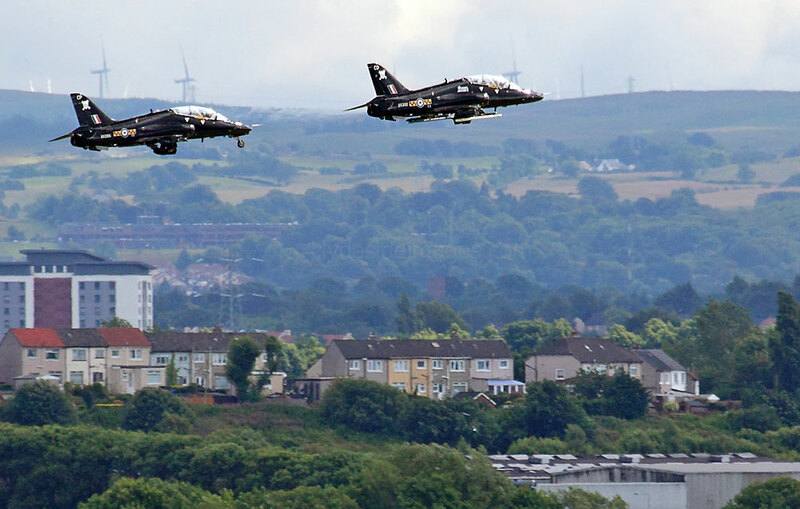 Another view of the Hawks on Friday 8 July. 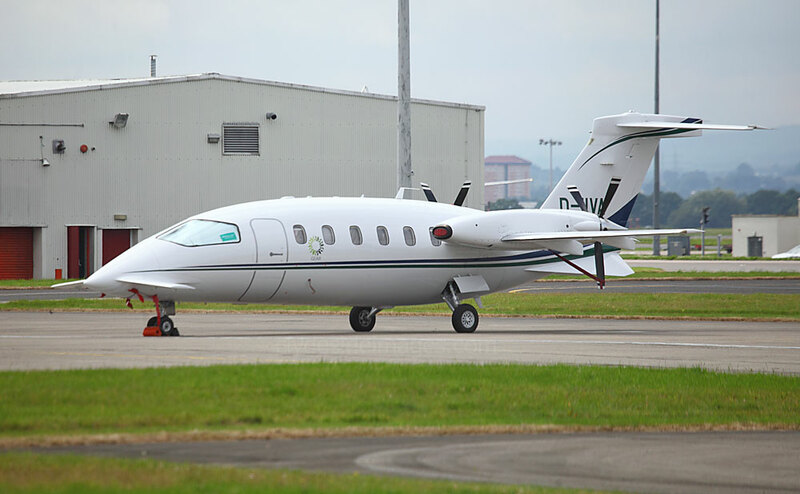 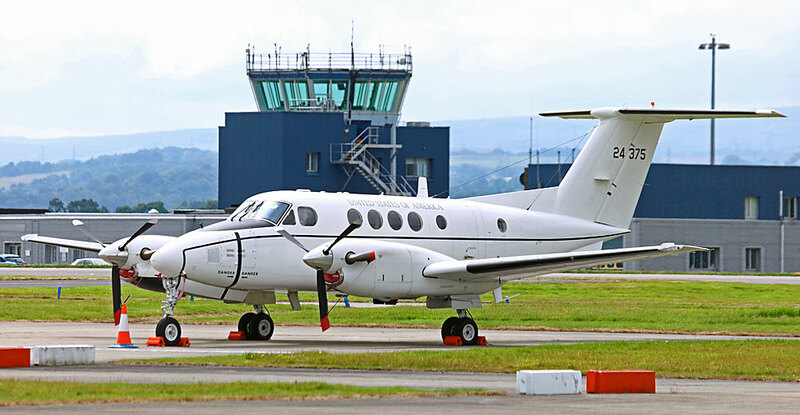 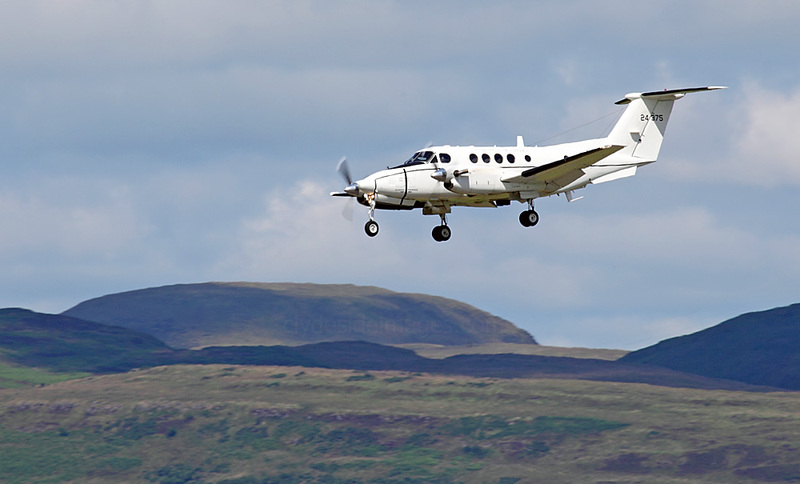 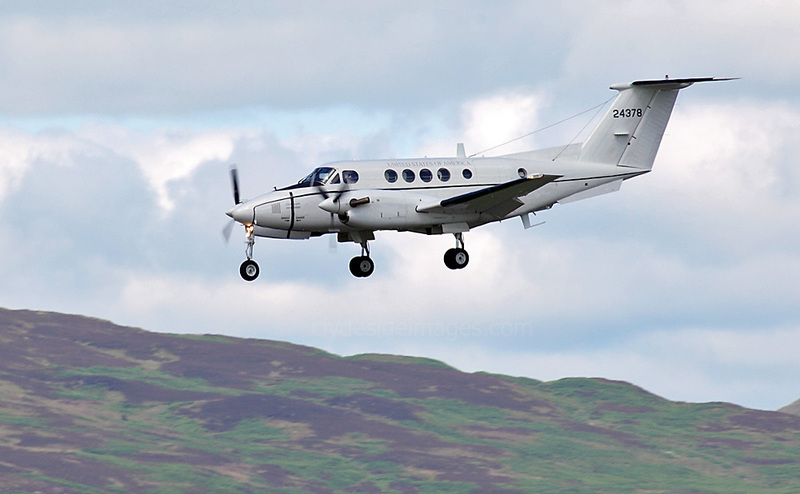 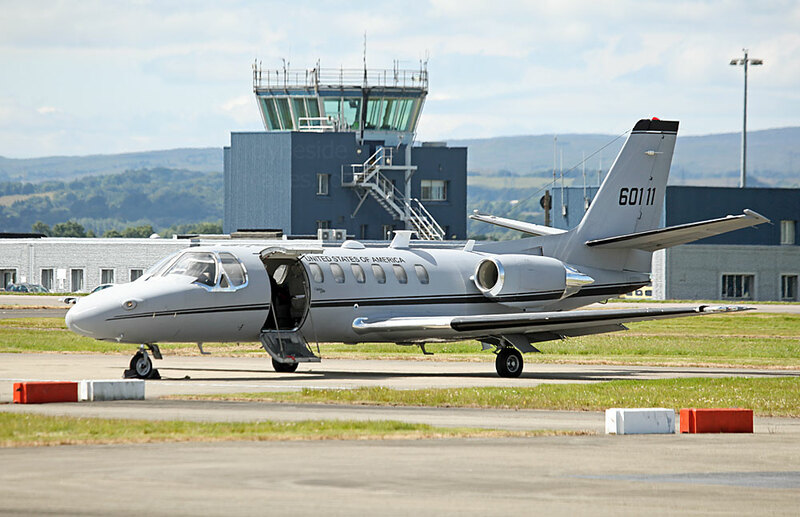 ​Not a busy month overall for military traffic although on Thursday 14 July, US Army Cessna UC-35A Citation Ultra, serial number 96-0111 landed around lunchtime, closely followed by three Beech C-12U Hurons, serial numbers 84-24375, 84-24378 and 84-24380. 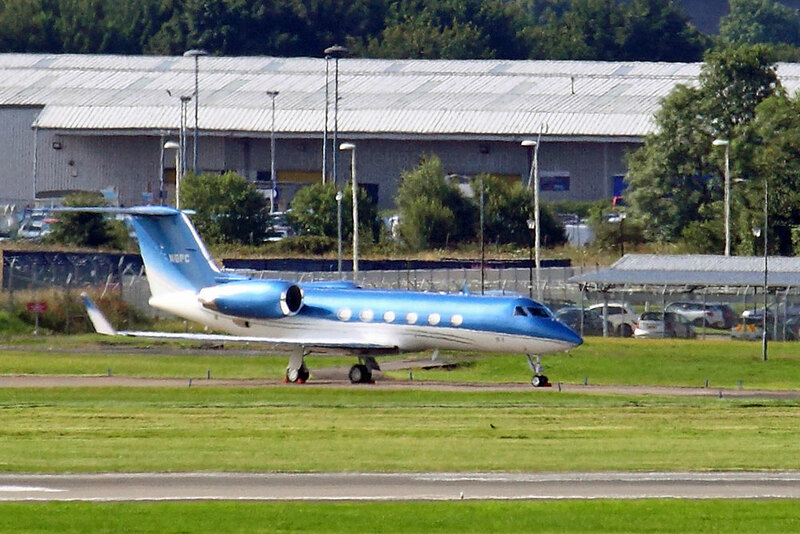 All four were first time visitors. 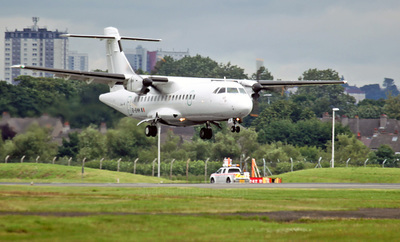 Call-signs used were `Wing 84`for the UC-35A and `Wing 78`, `Wing 95`and `Wing 83` for the Hurons. 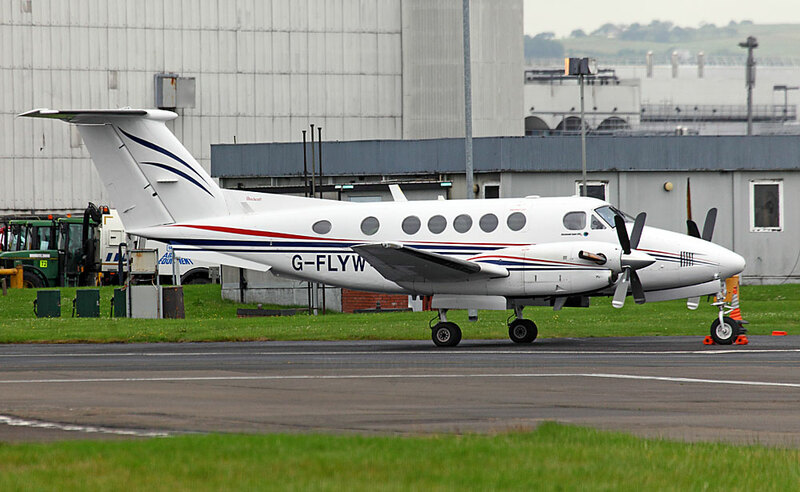 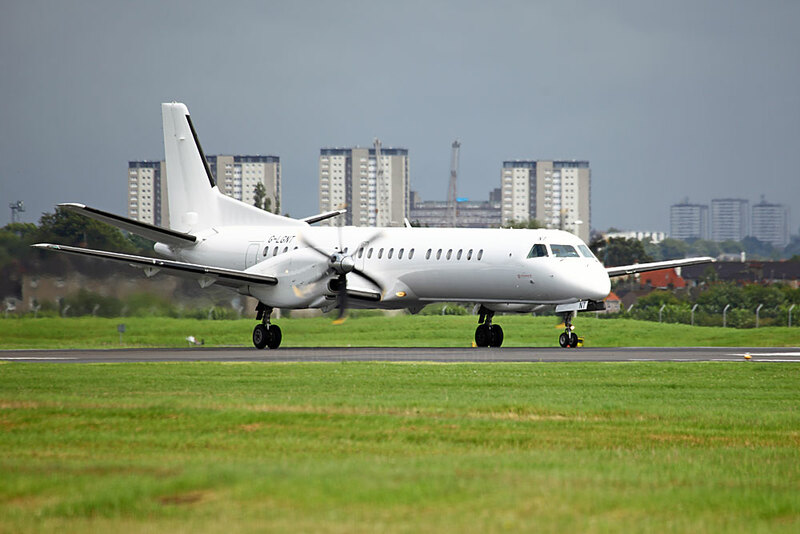 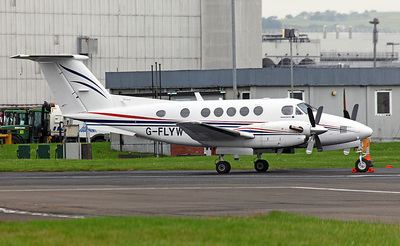 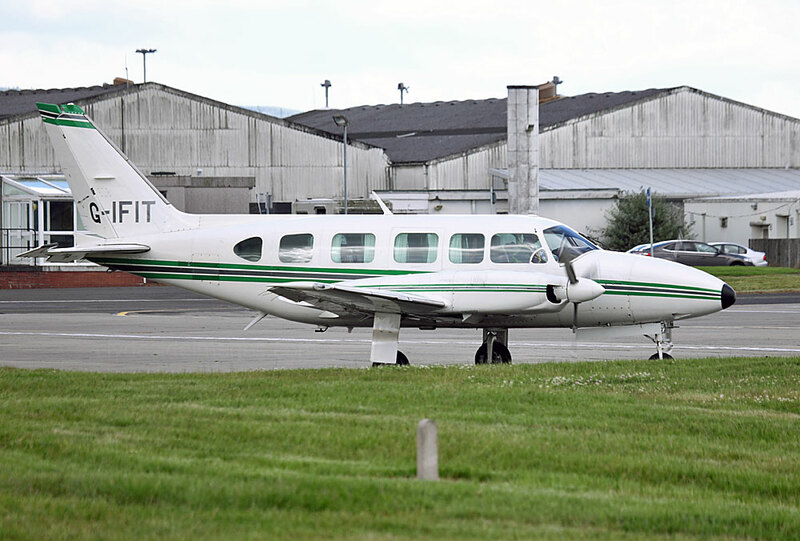 All four passed through Glasgow again on Monday 18th taking off with an hour or so, apart from C-12U 84-24375 which was grounded due to a technical problem and subsequently disappeared into the Gama Aviation hangar. Huron 84-24375 didn`t reappear until Friday 29 July, and finally departed at 1230 hrs that day. ​UC-35A Citation Ultra serial number 95-0123 another `first timer` here, landed earlier that morning with 375`s flight crew. 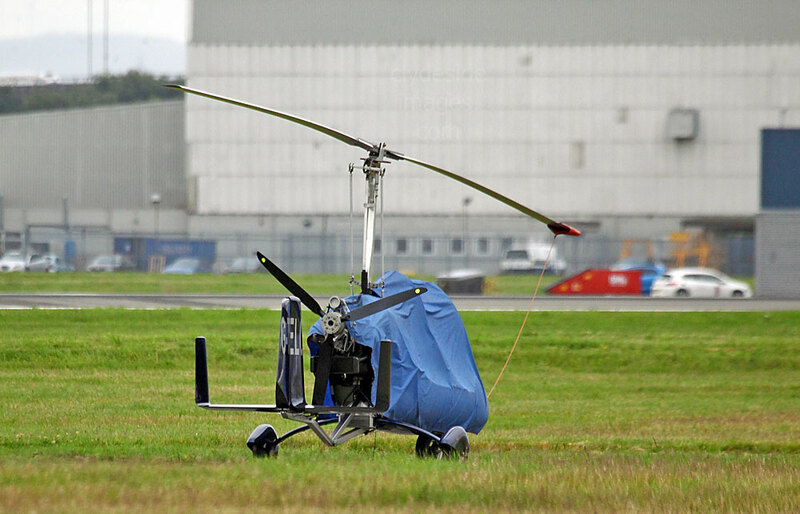 The UC-35A had used the call-sign `Duke 51`.